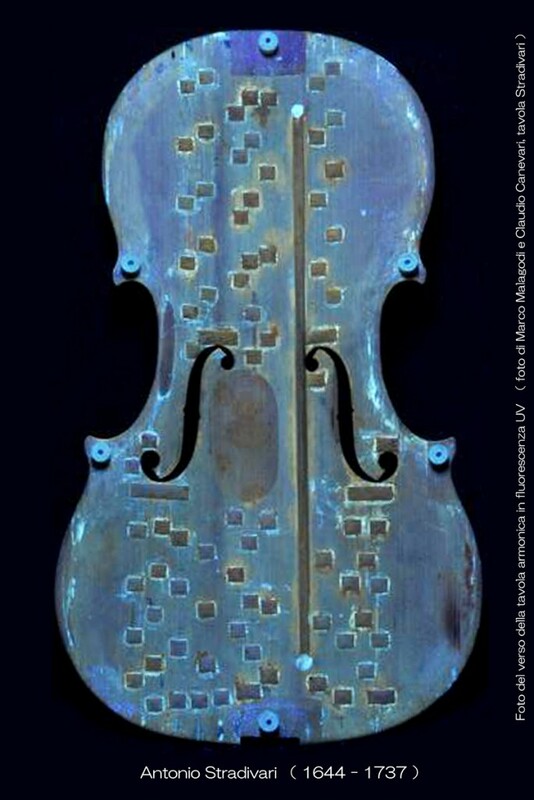 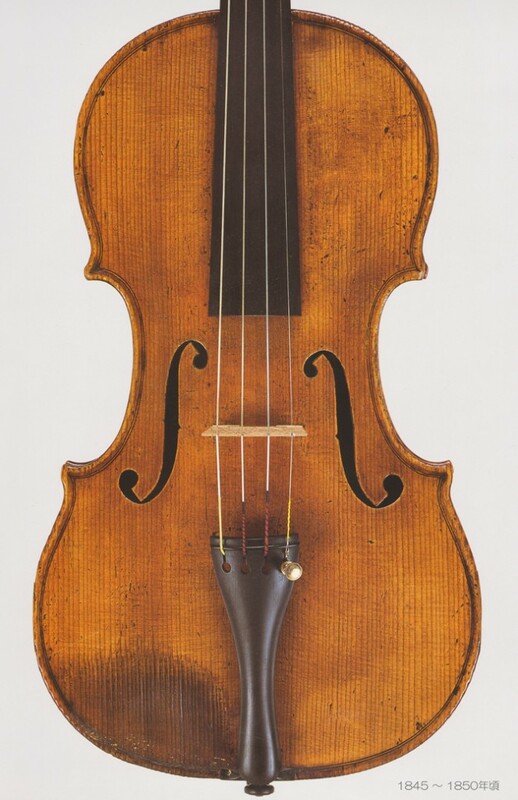 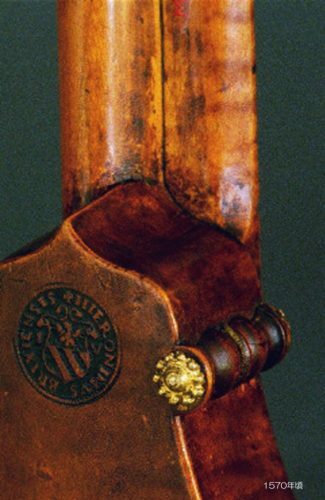 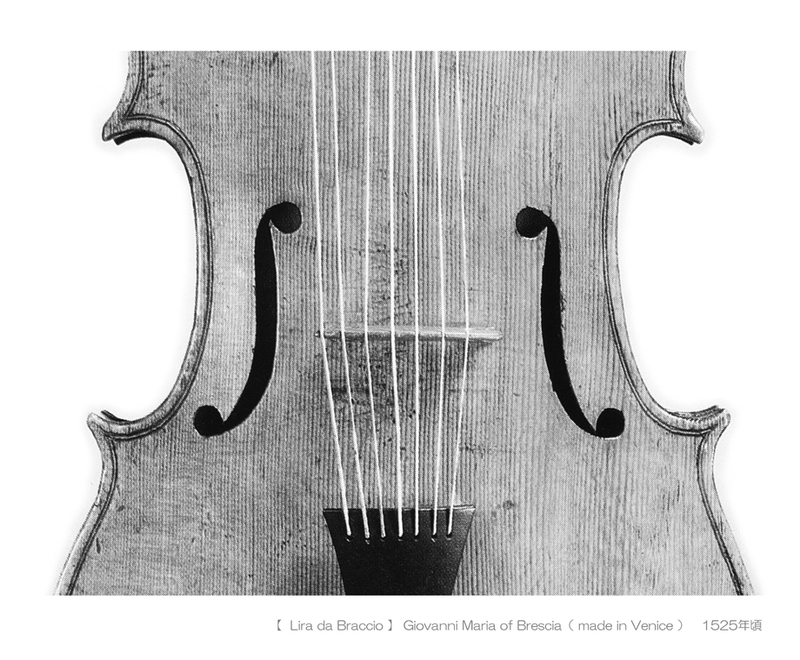 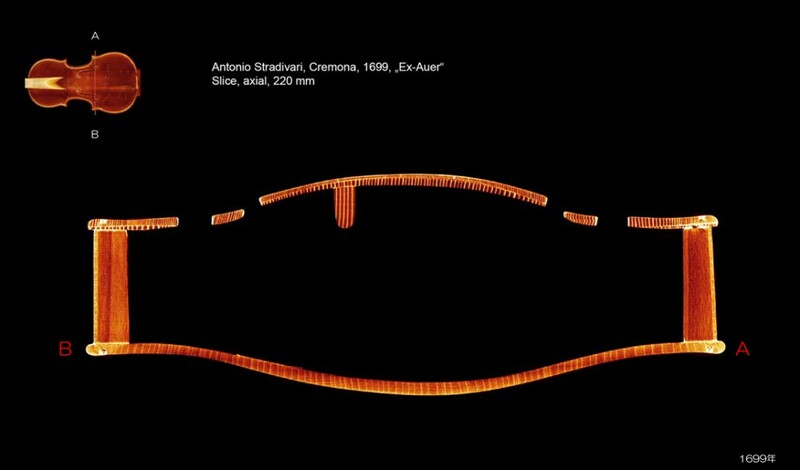 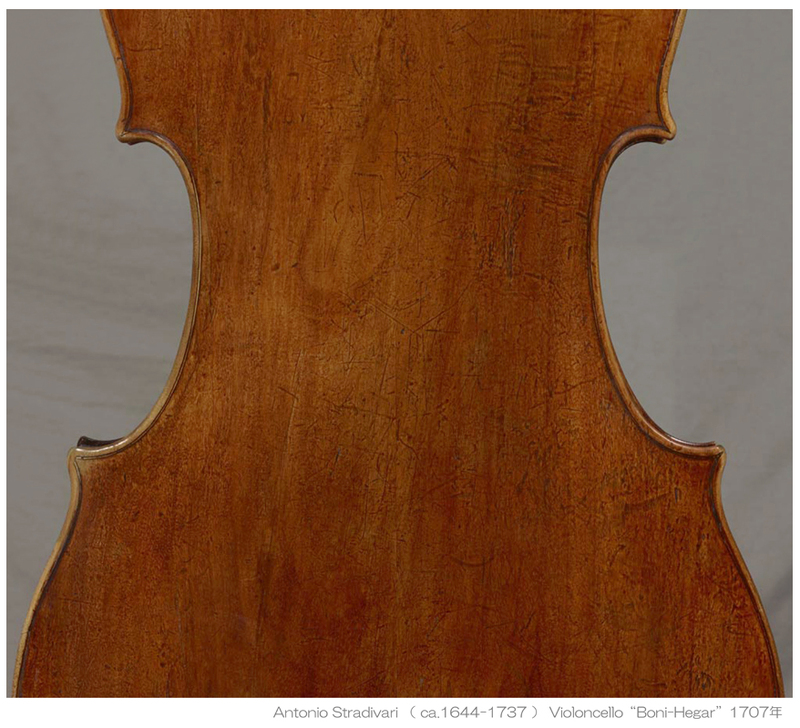 Antonio Stradivari, Violin 1715 Cremona, “The Lipinski” . 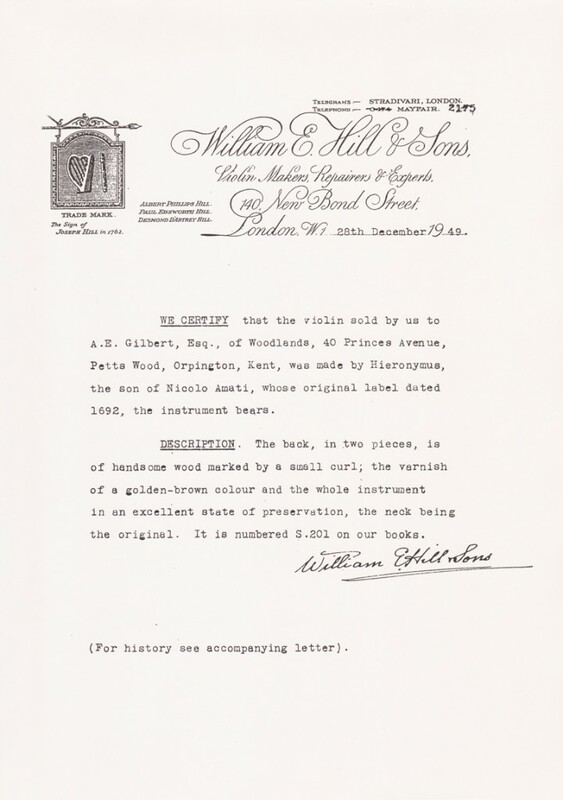 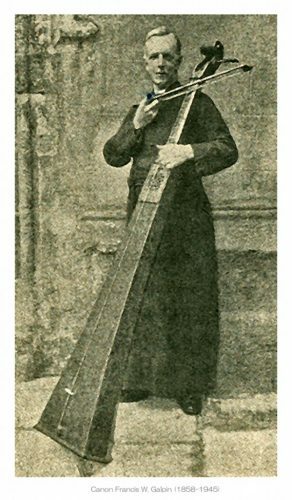 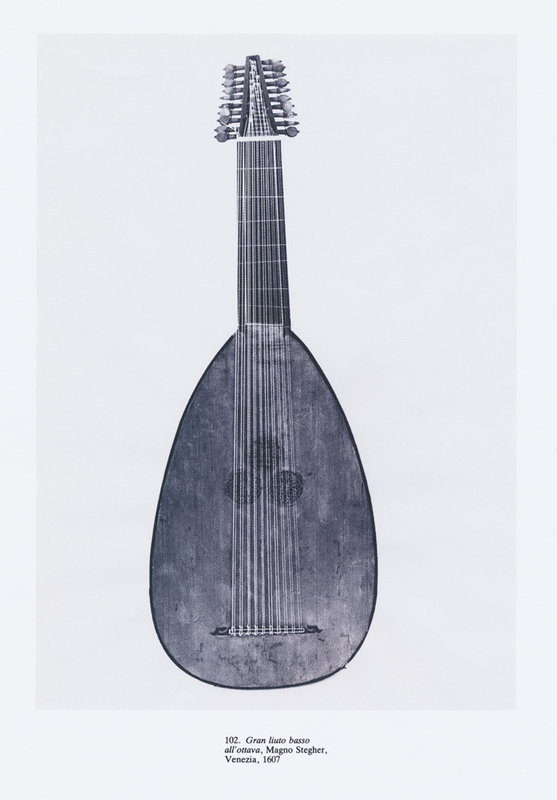 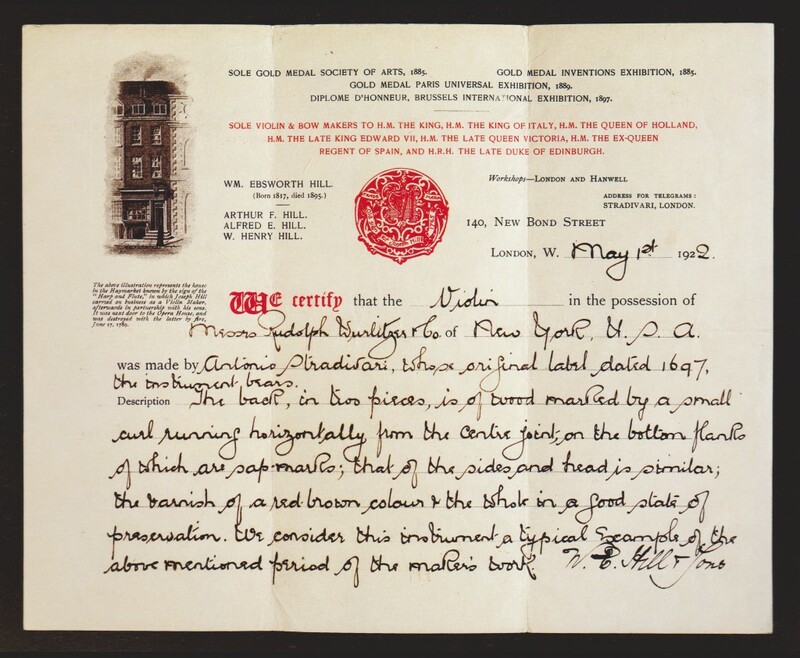 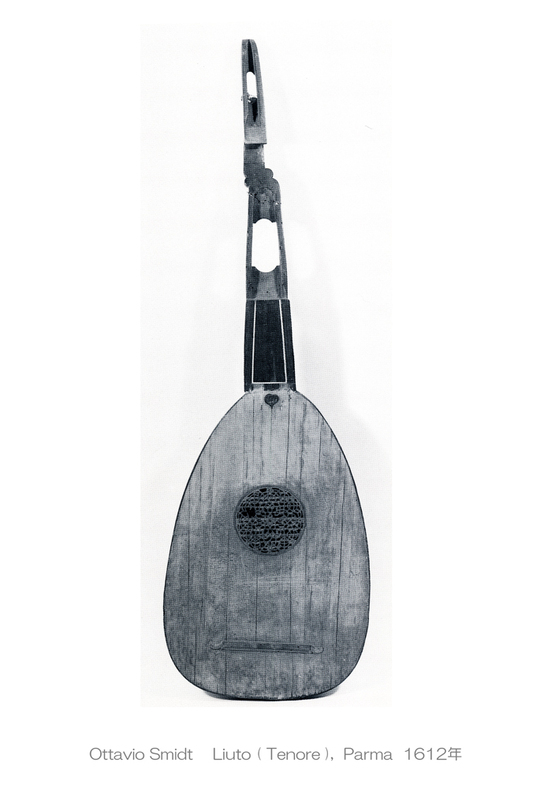 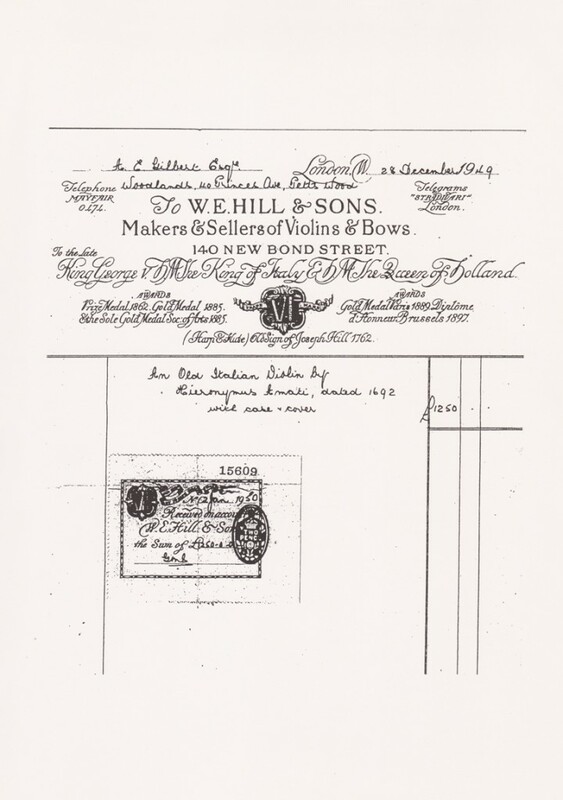 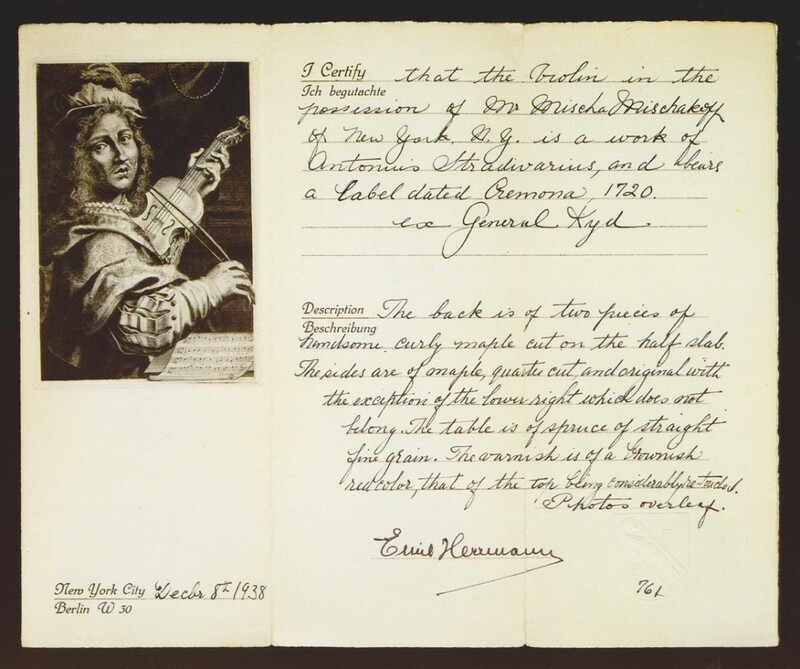 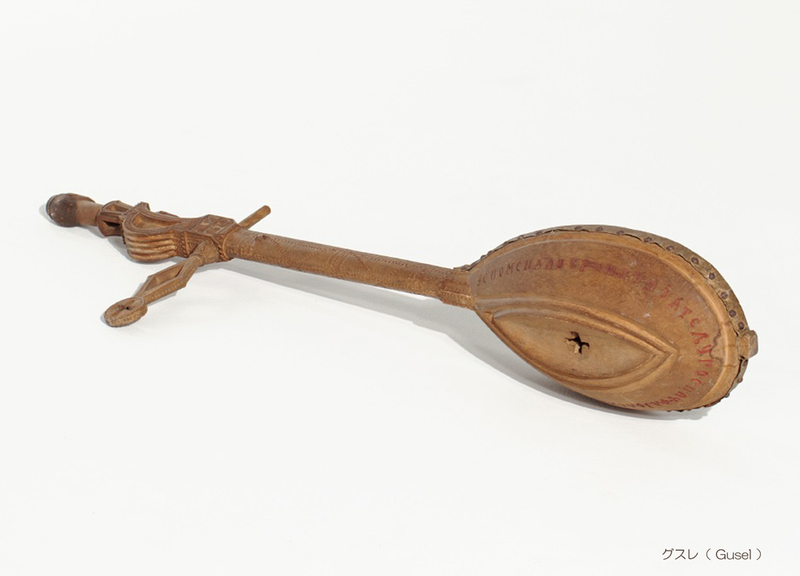 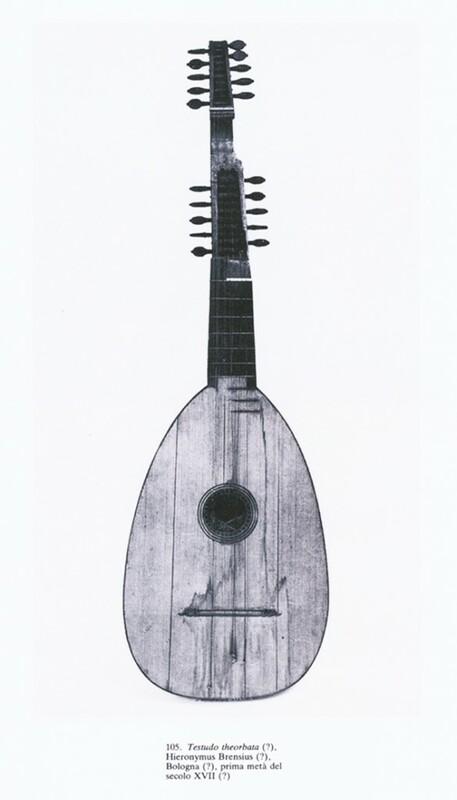 1922, Letter : ” The label the instrument bears is not the original but I am sure that it dates from 1739, 40 or 41, and consider ‥. 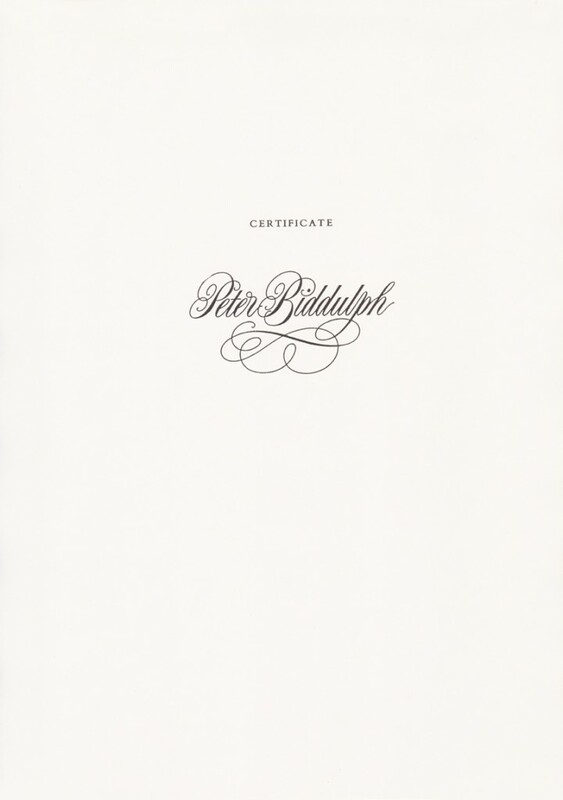 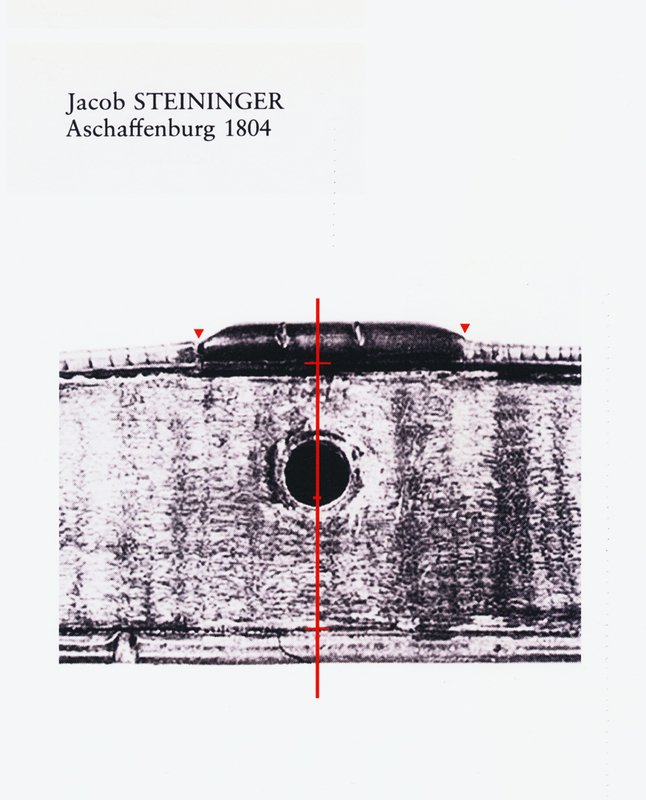 Original in concept and perfect in execution, it was the product of hard graft, assisted by Mendelssohn’s friend and chosen soloist, Ferdinand David. 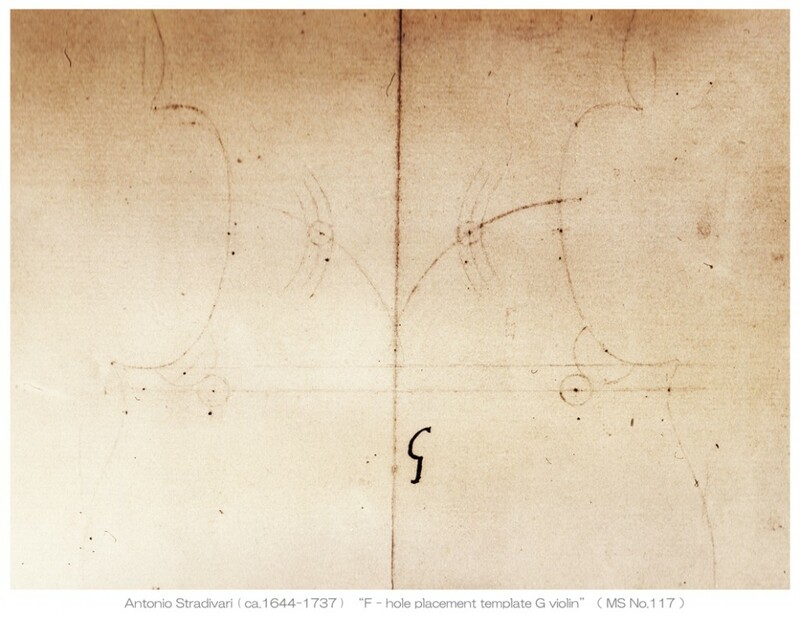 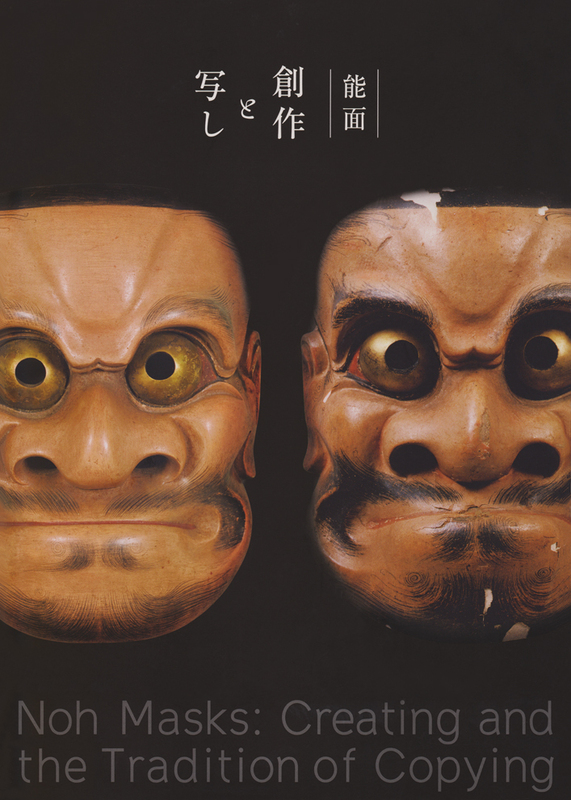 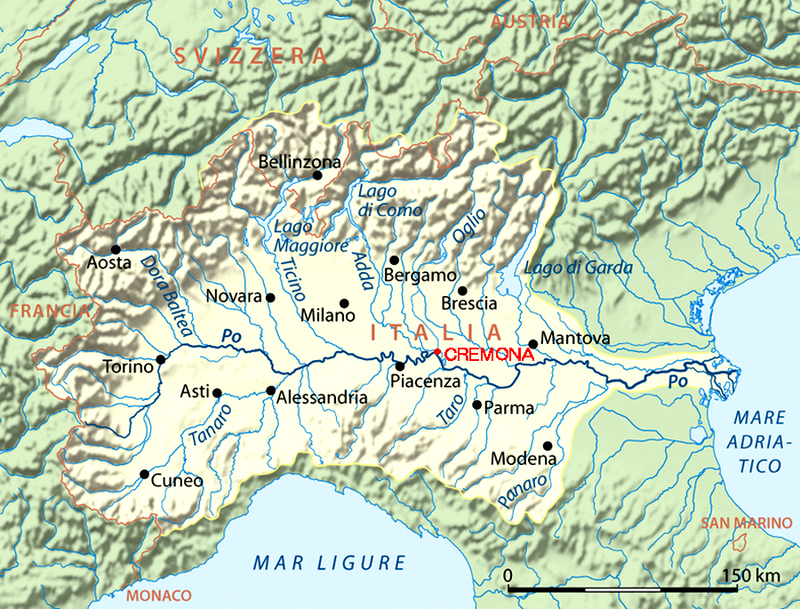 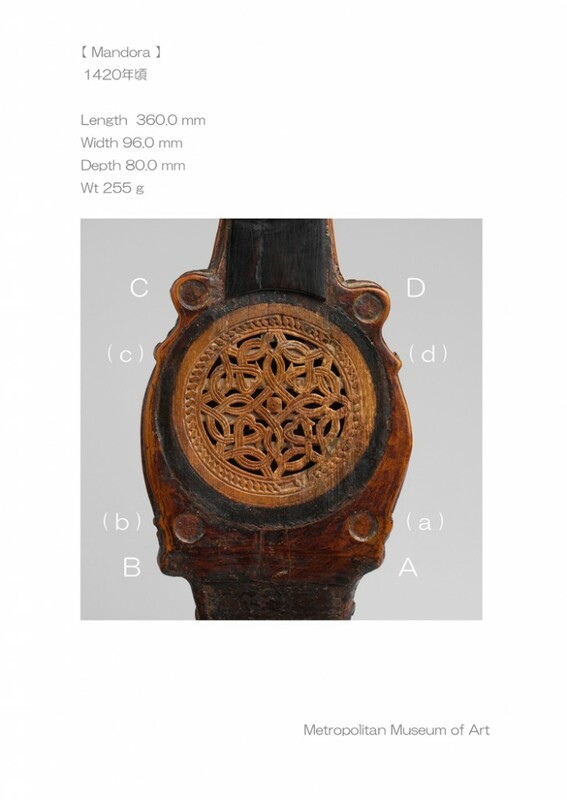 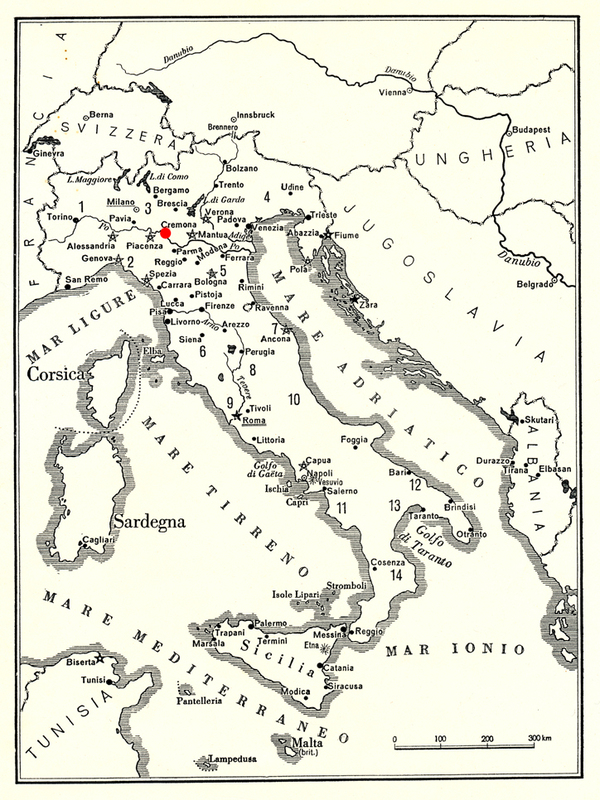 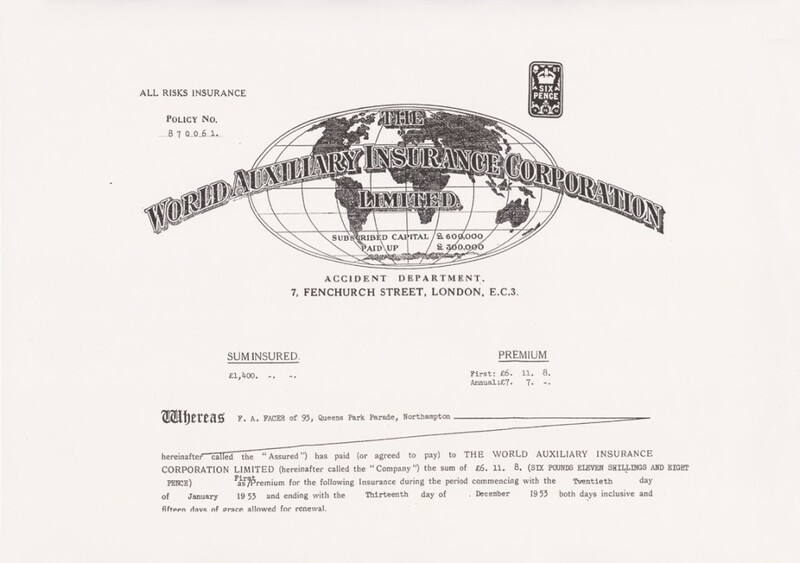 The original manuscript was lost for decades after World War II, but when Luigi Alberto Bianchi tracked it down some years ago, we could see that changes were being made right up to the time of publication. 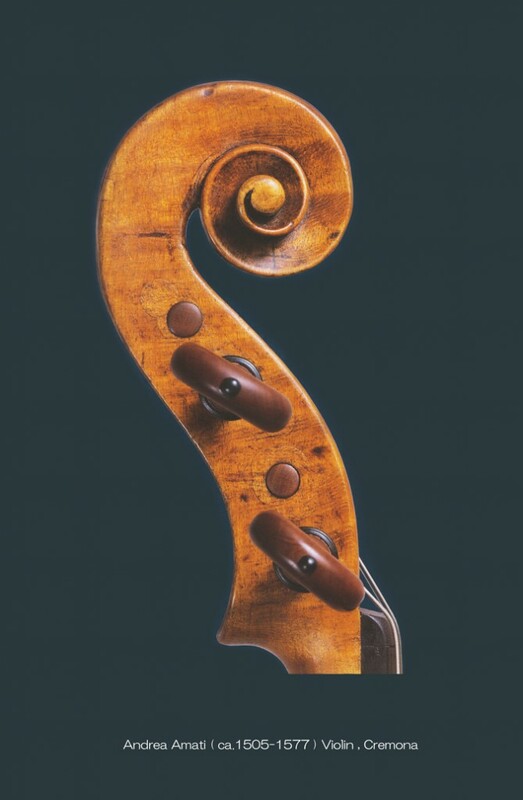 Mendelssohn started thinking of it in July 1838 and its opening bars haunted him, but he did not complete it until the summer of 1844, and by that September he had finished the orchestral score. 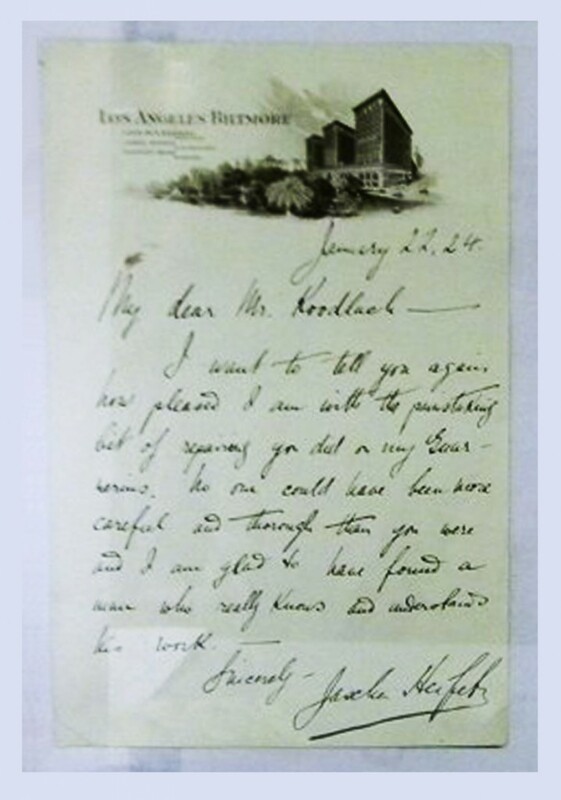 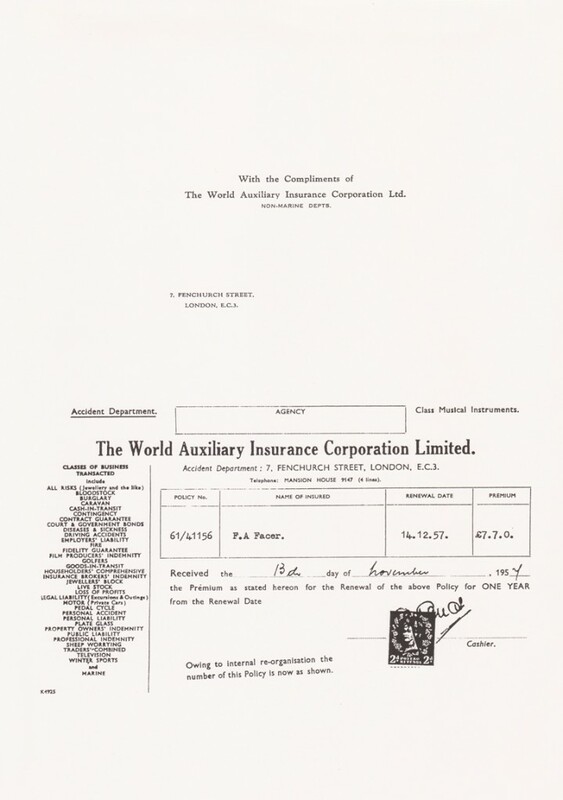 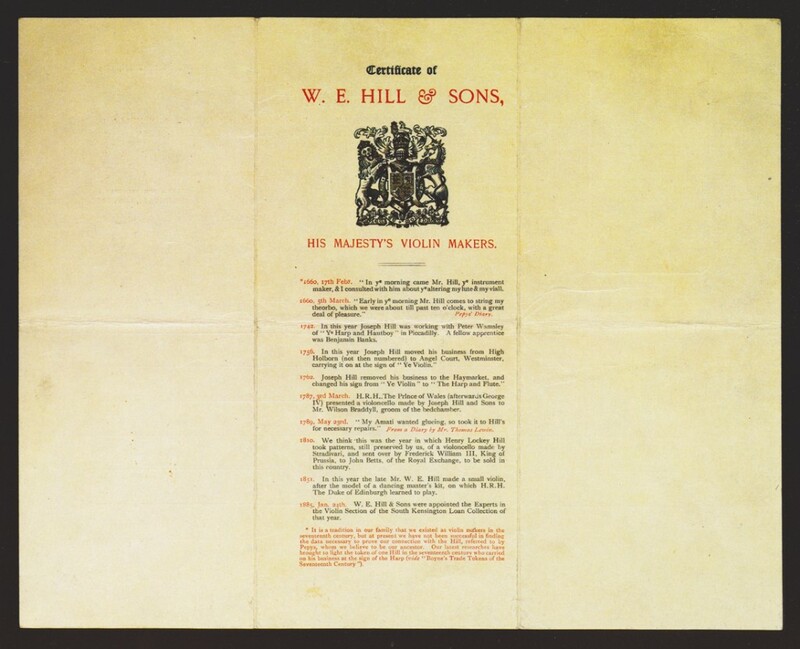 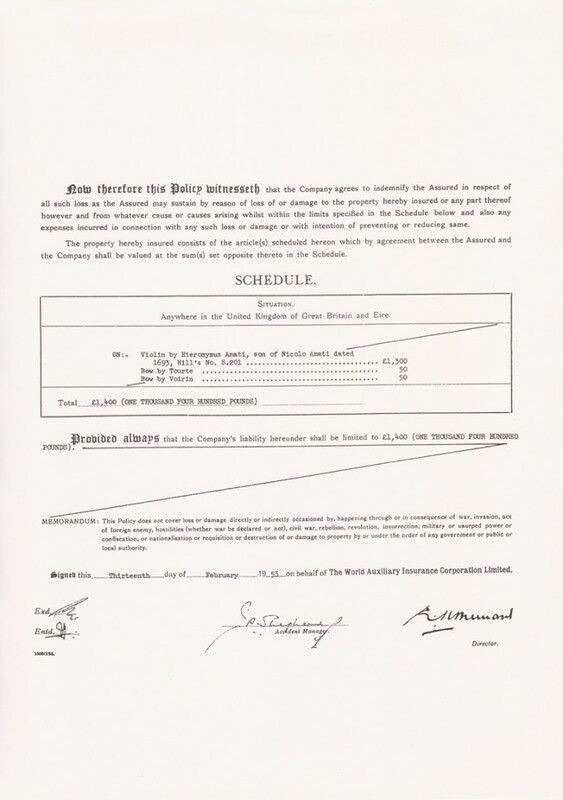 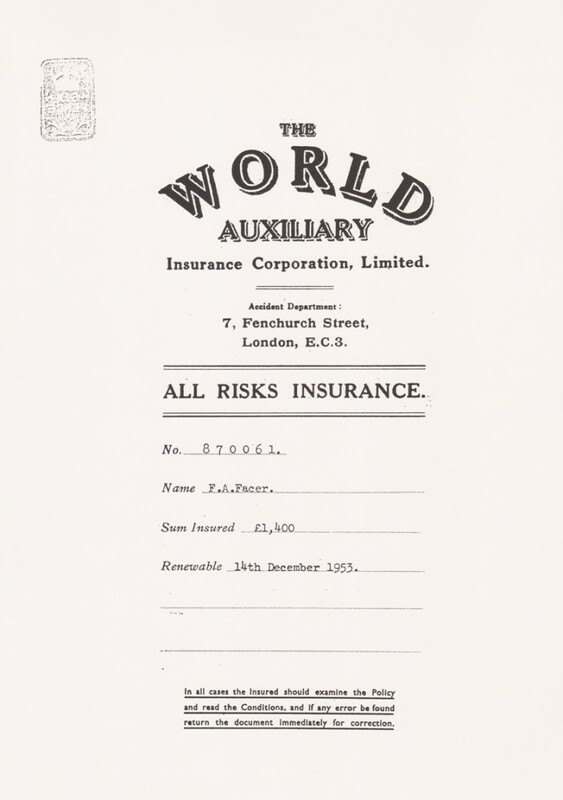 Even then he was assailed by doubts and he initiated a flurry of correspondence with David on numerous details, all of which contributed to the jewelled precision of the final score. 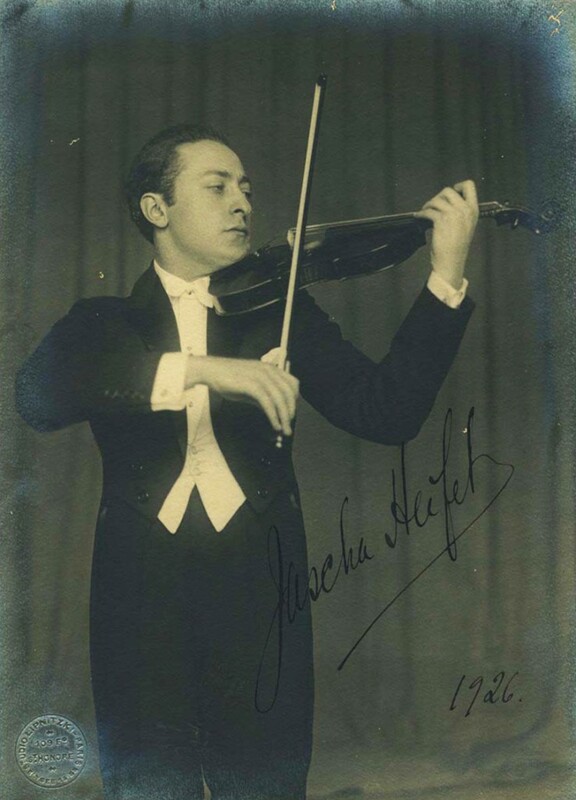 David gave the premiere on March 13, 1845 in Leipzig with the Danish composer Niels Gade conducting the Gewandhaus Orchestra because Mendelssohn was ill. 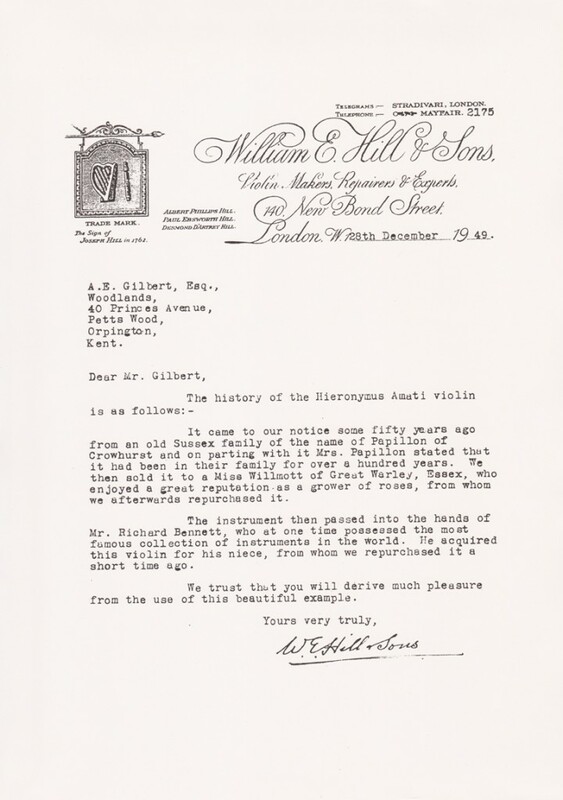 It was not until 23 October that the composer himself conducted the work, with David as soloist. 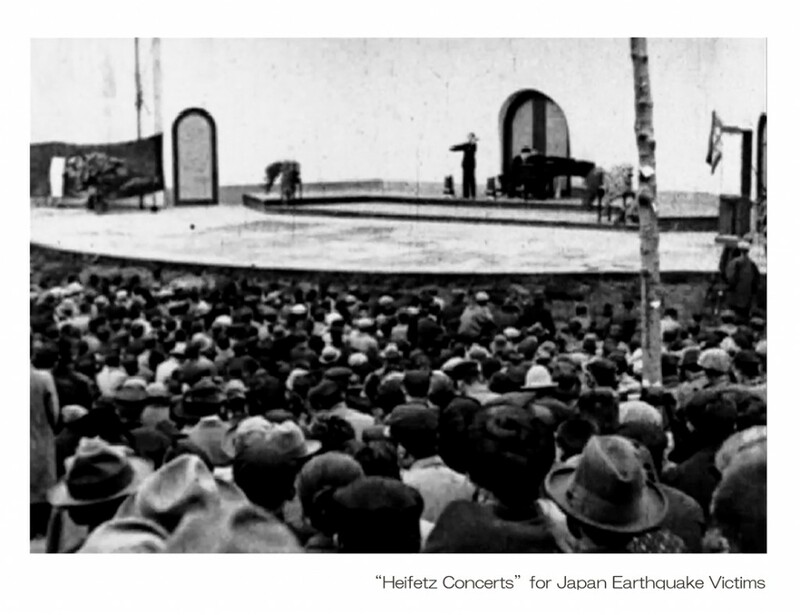 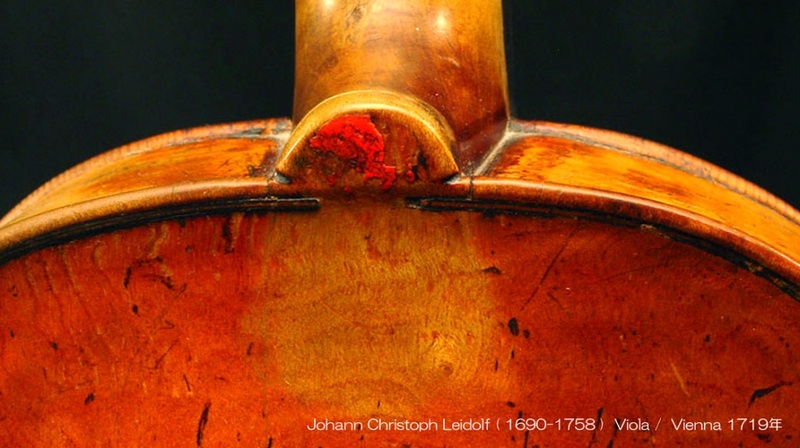 At another Leipzig subscription concert on October 3, 1846, the 15-year-old Joseph Joachim played the concerto for the first time under Gade’s direction, to great acclaim. 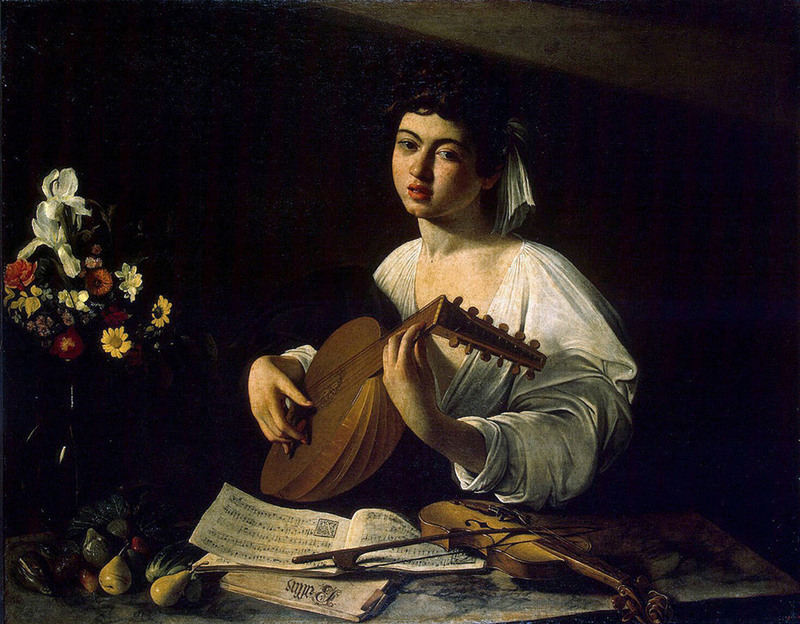 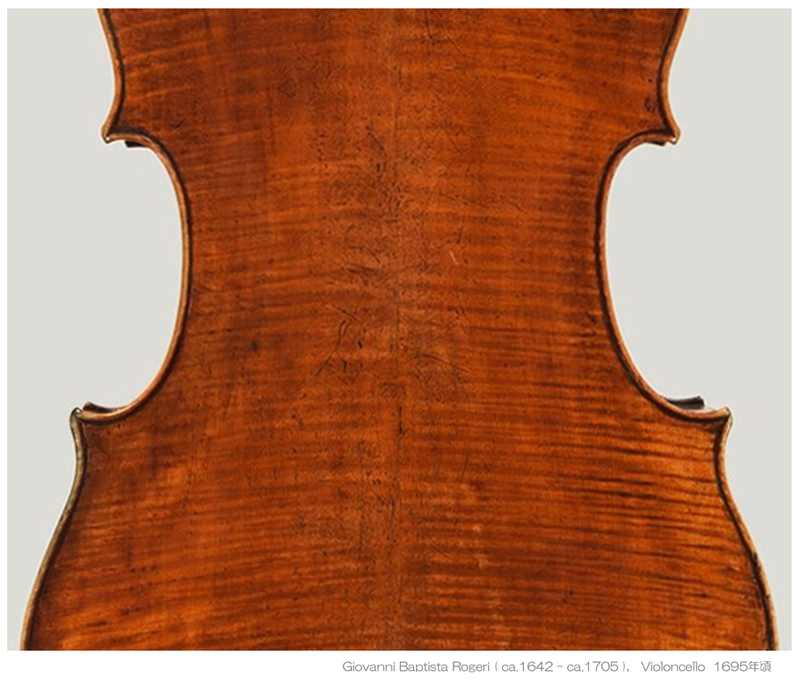 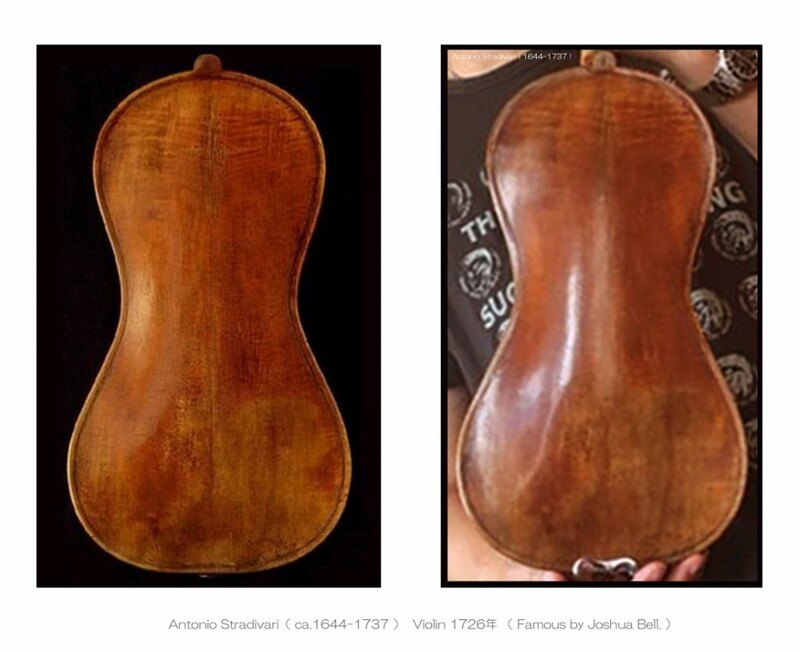 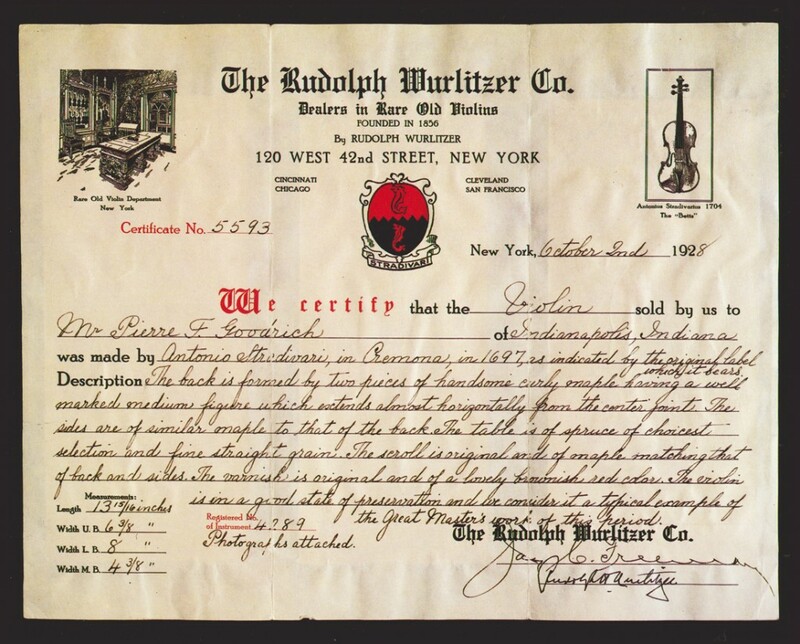 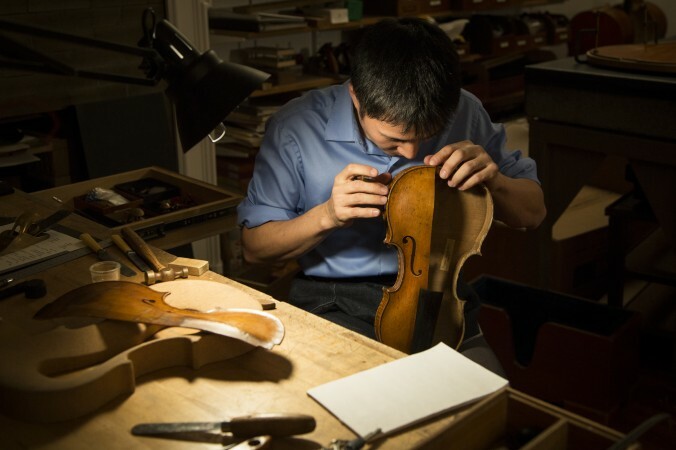 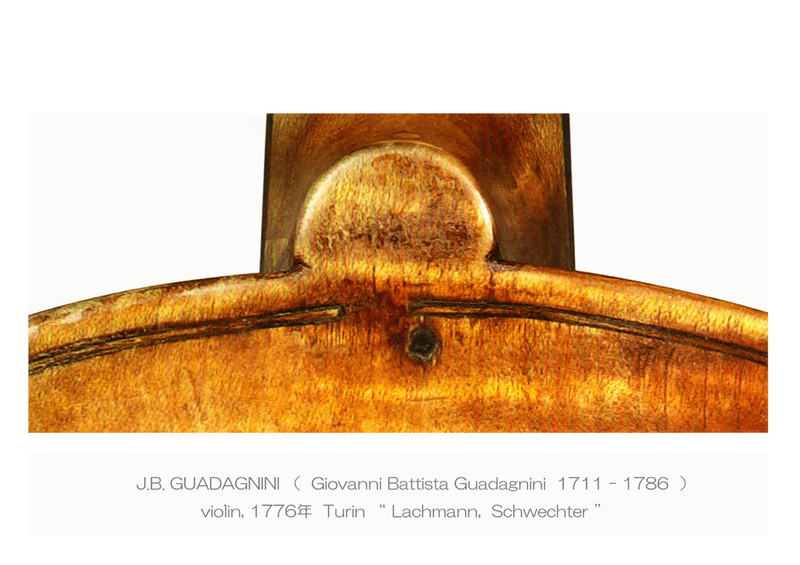 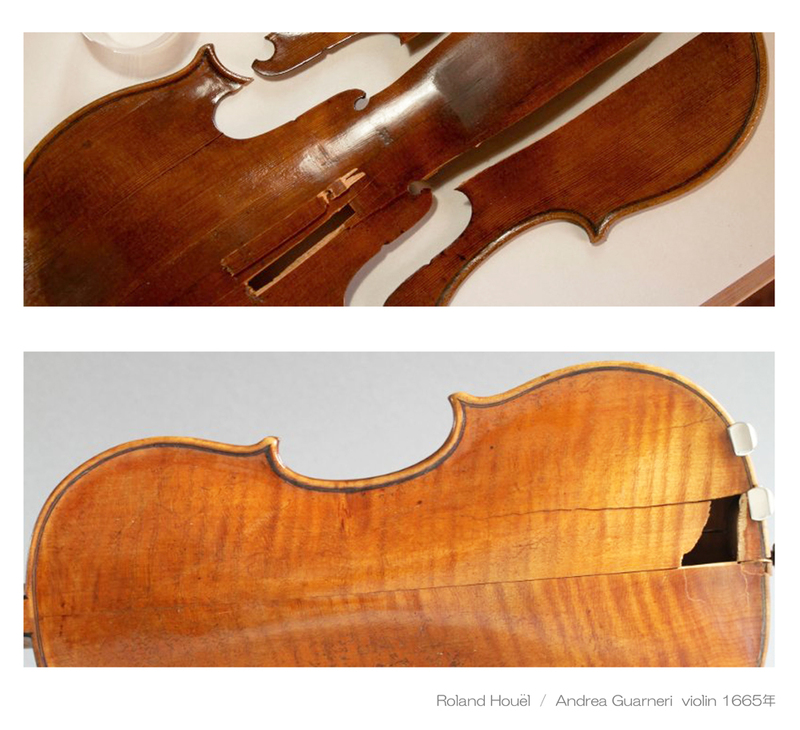 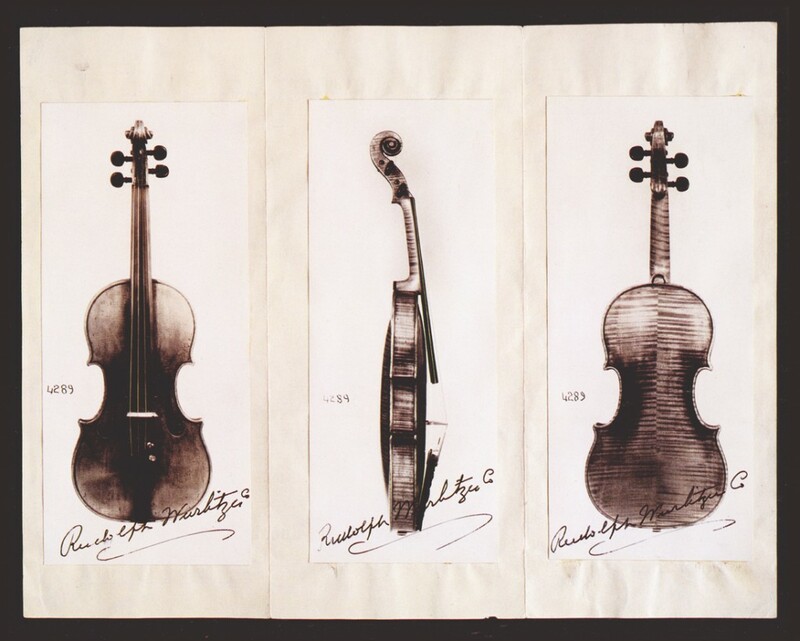 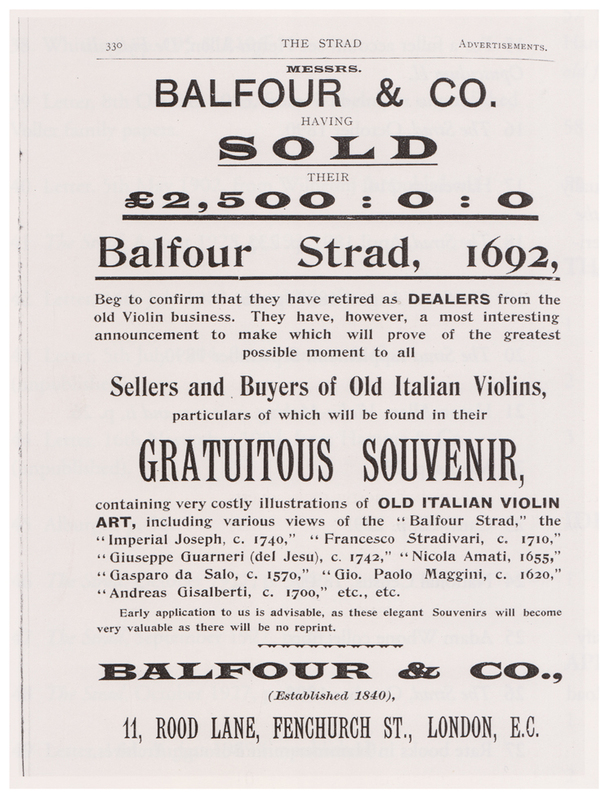 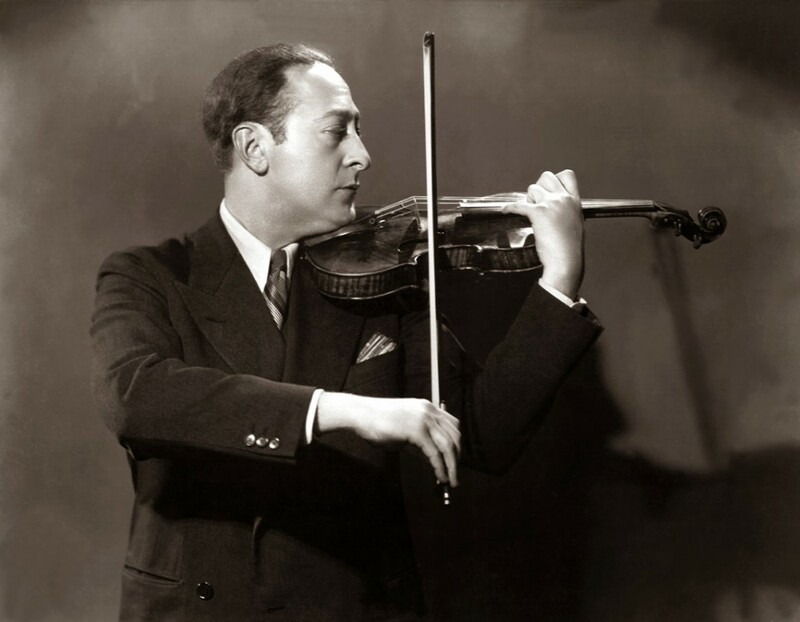 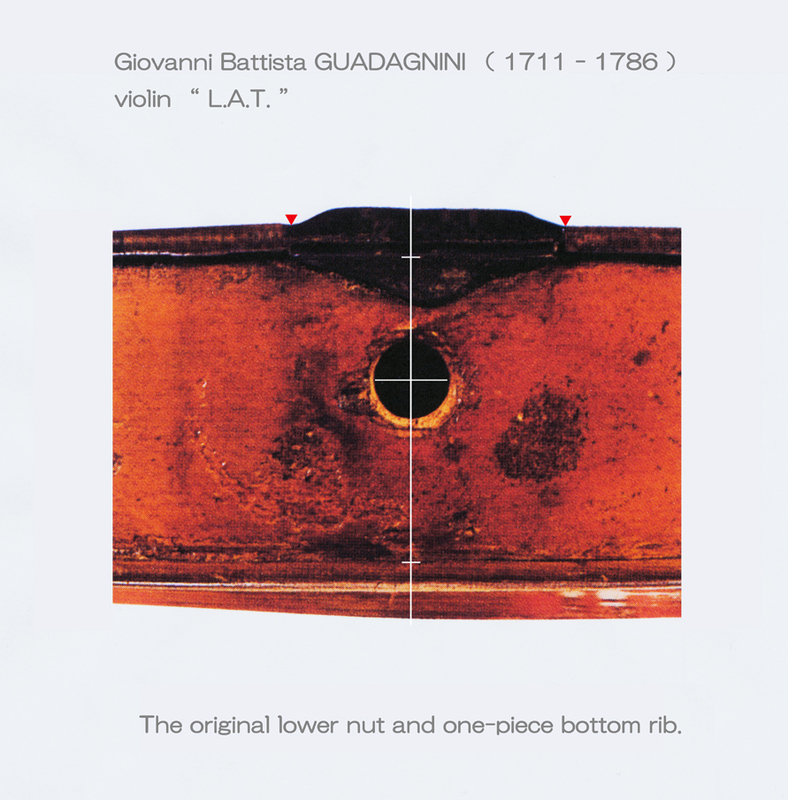 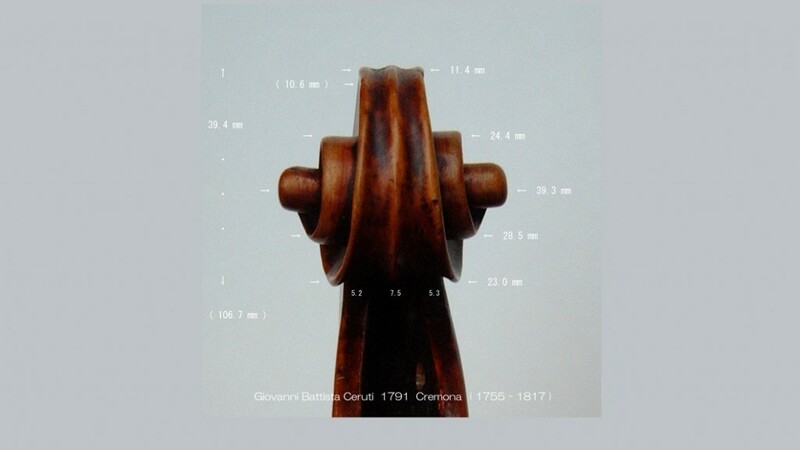 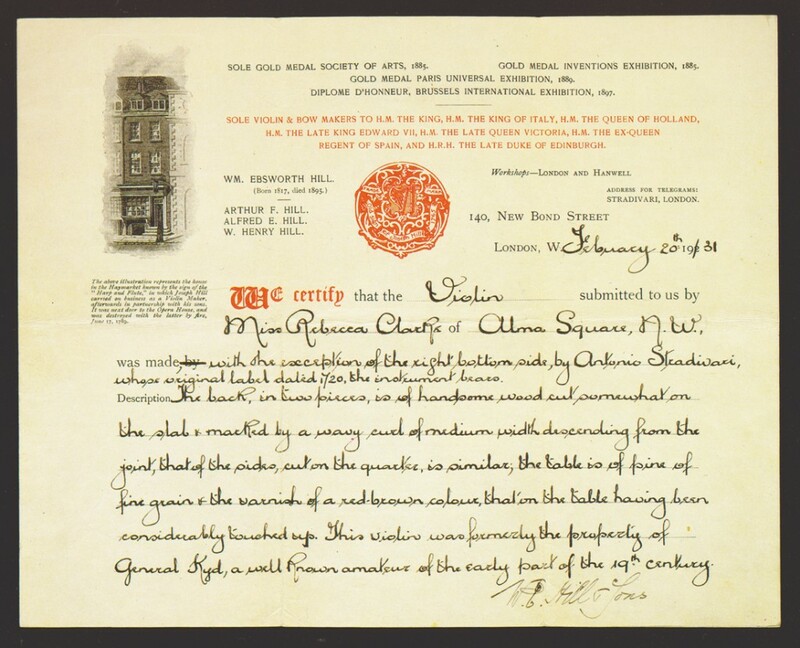 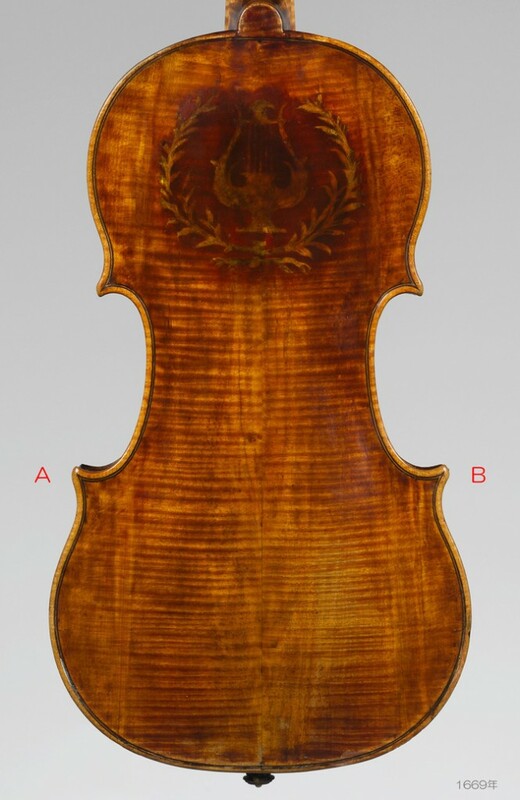 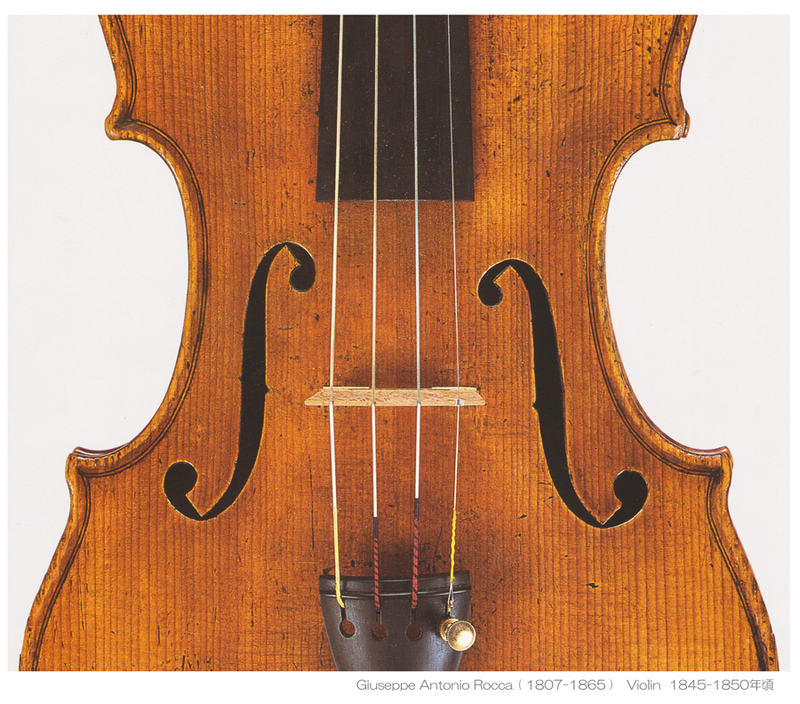 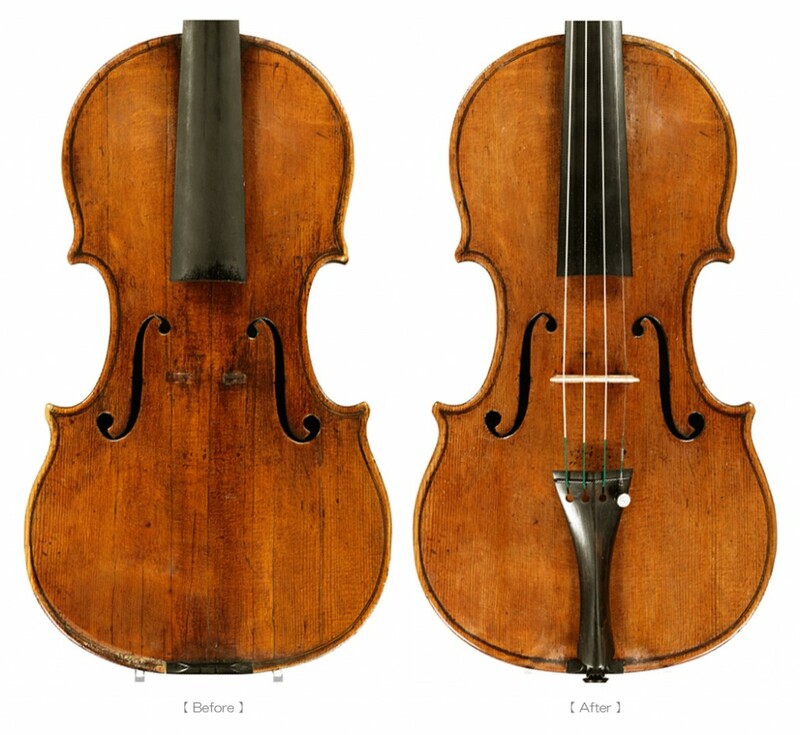 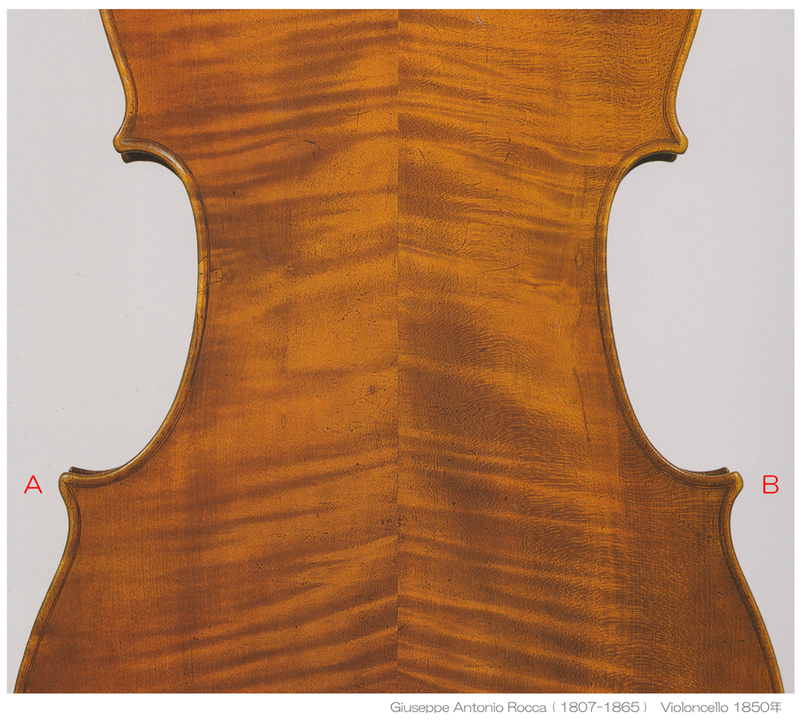 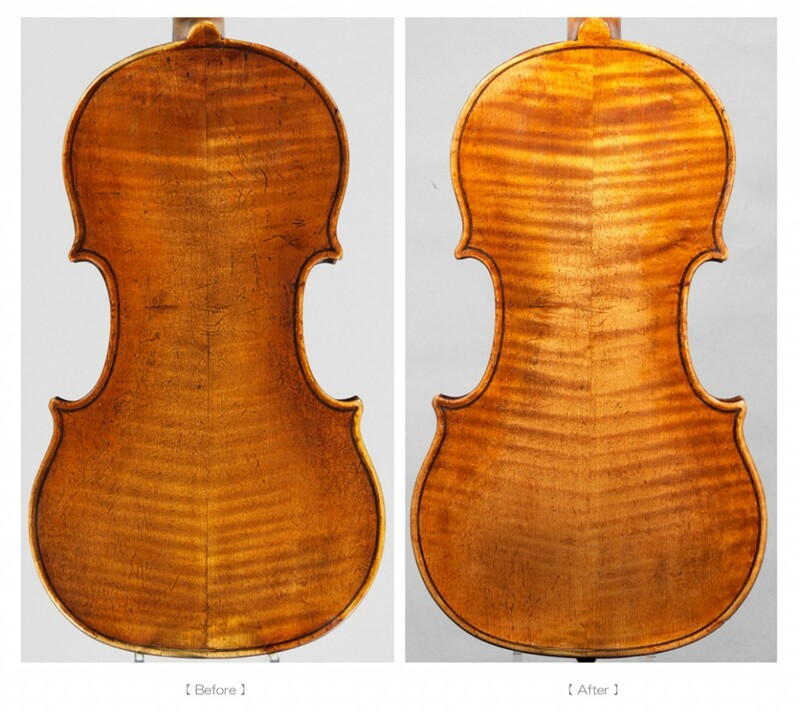 NEW YORK—Thinking about investing in a Stradivarius or a Guarneri del Gesù? 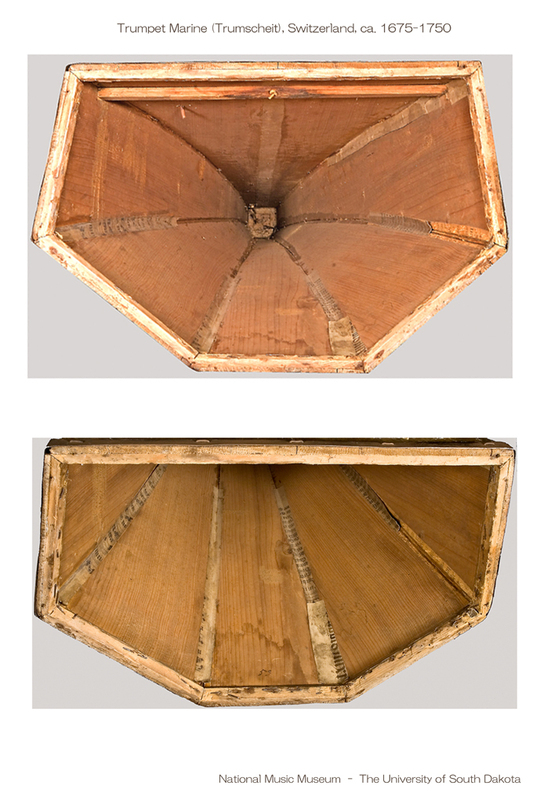 Well, sound is the very last thing you should consider. 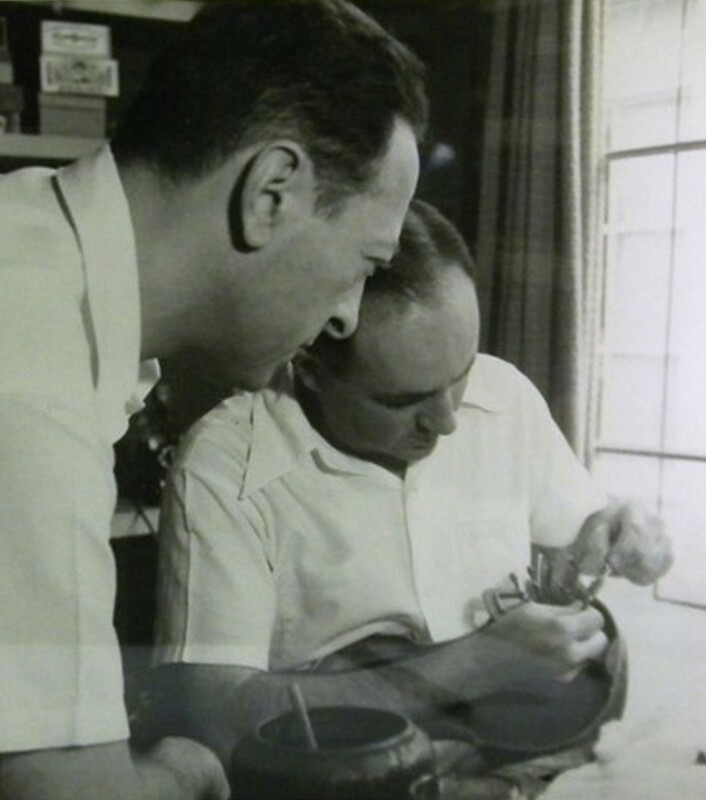 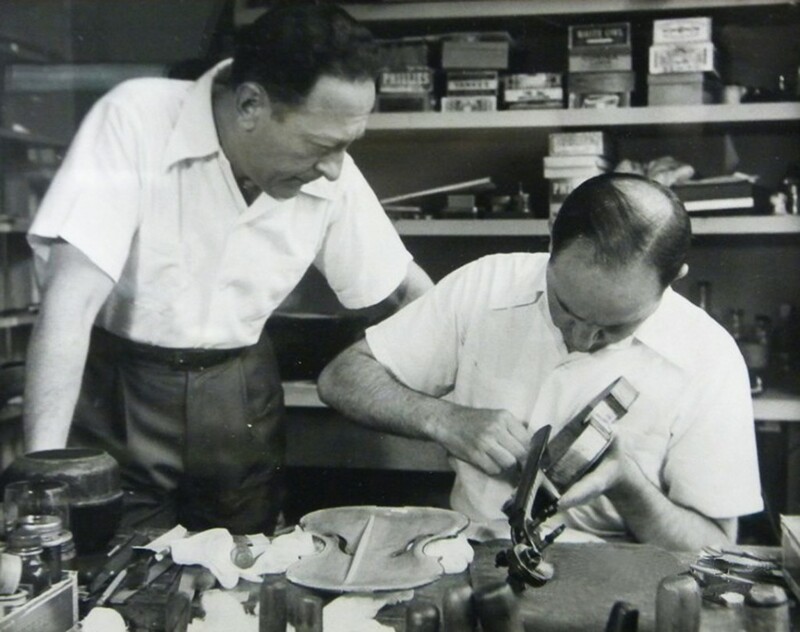 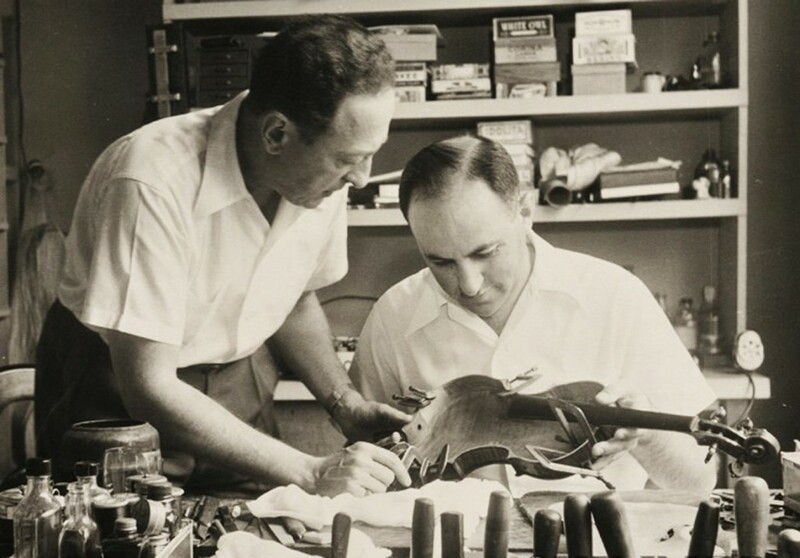 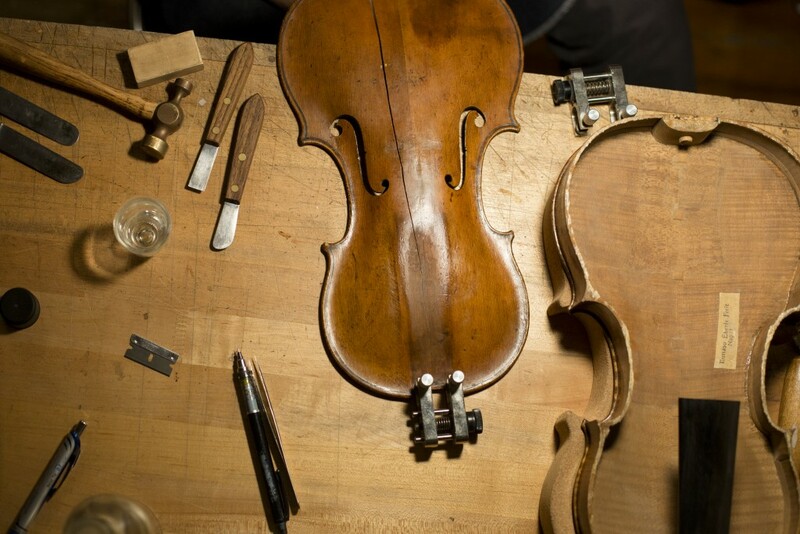 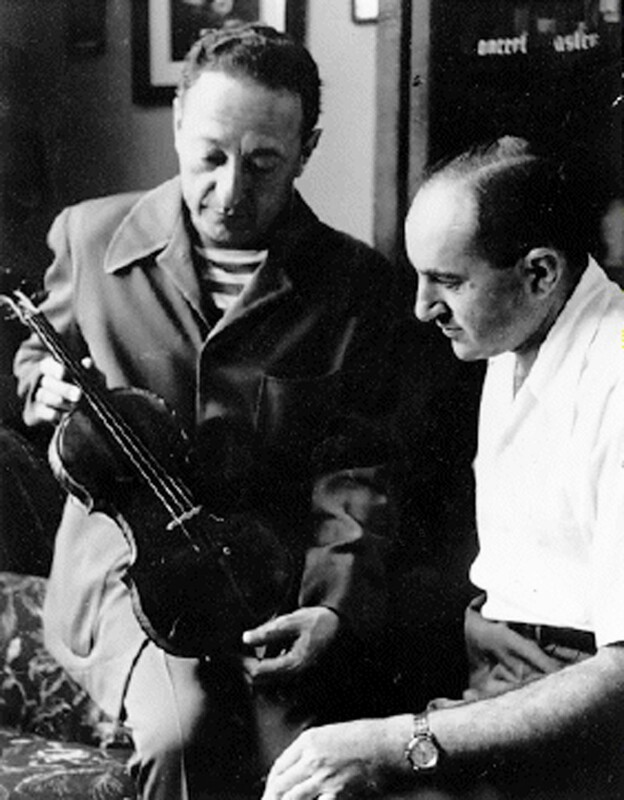 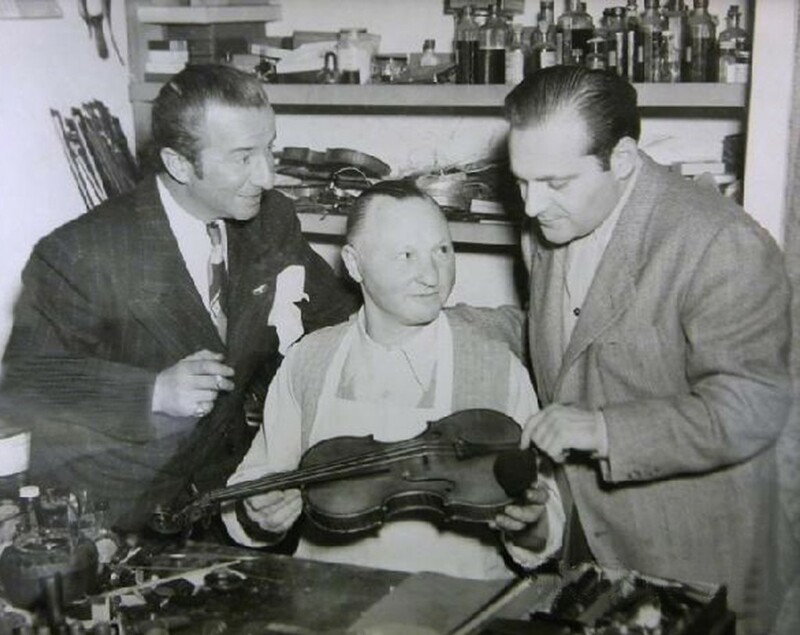 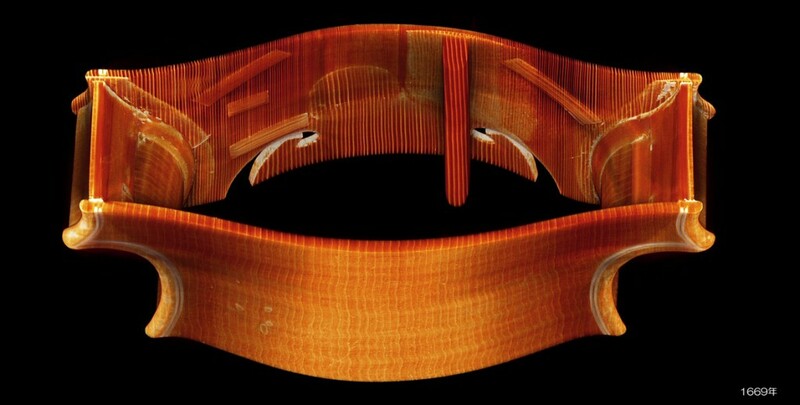 When determining the value of a violin, it comes down to the maker of the instrument and the condition it is in, according to Bruno Price and Ziv Arazi, co-founders of Rare Violins of New York. 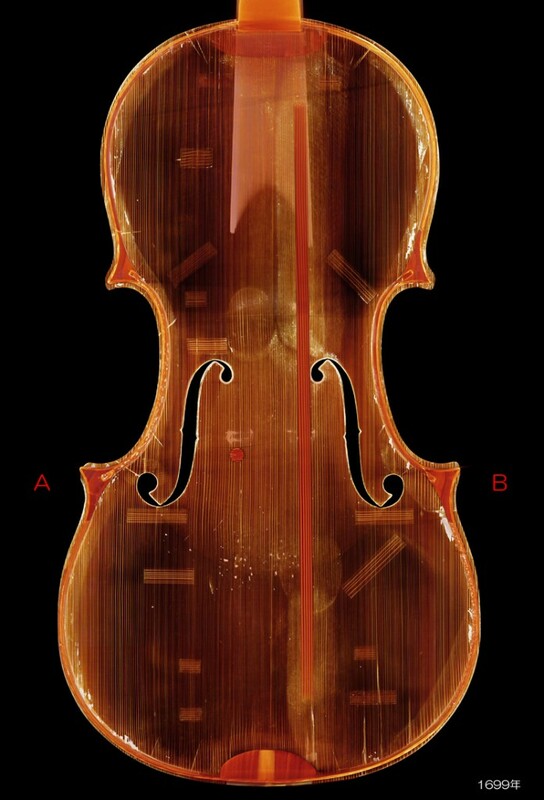 These considerations determine value because every instrument is distinct— the best ones even more so—and the most valuable and valued instruments require a certain level of skill and finesse to play, on top of a compatible playing personality. 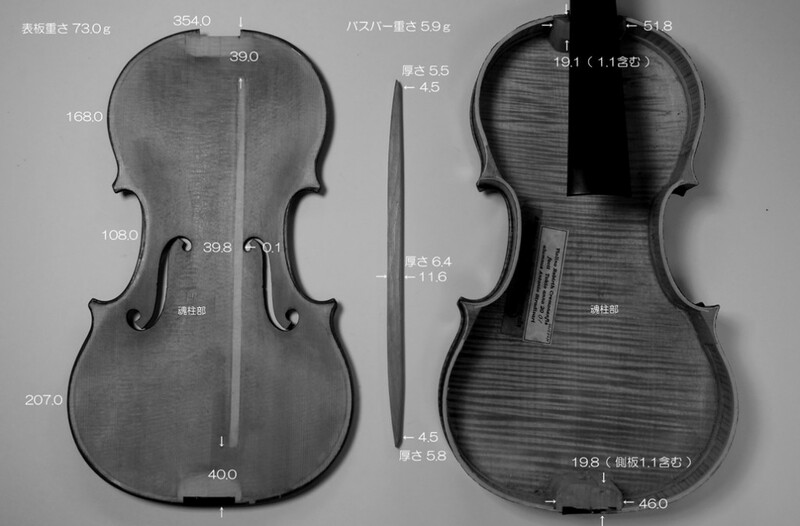 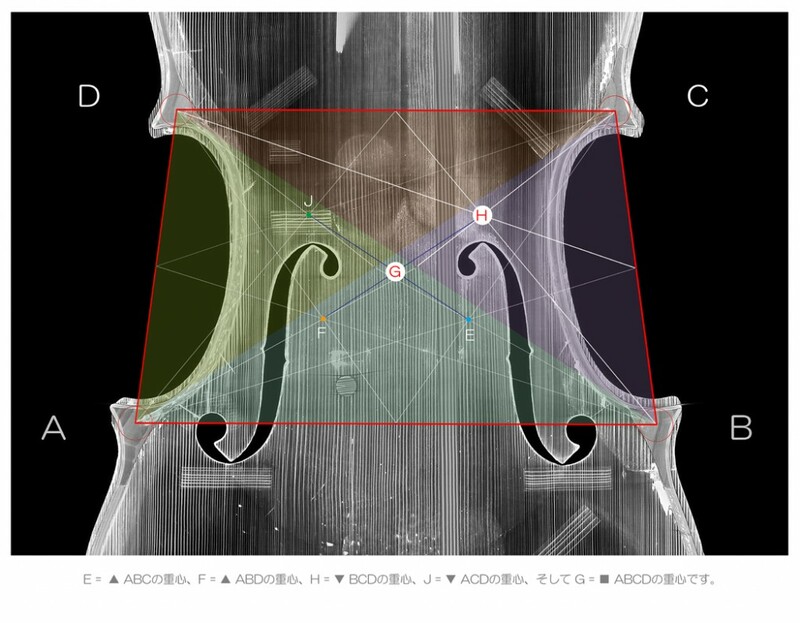 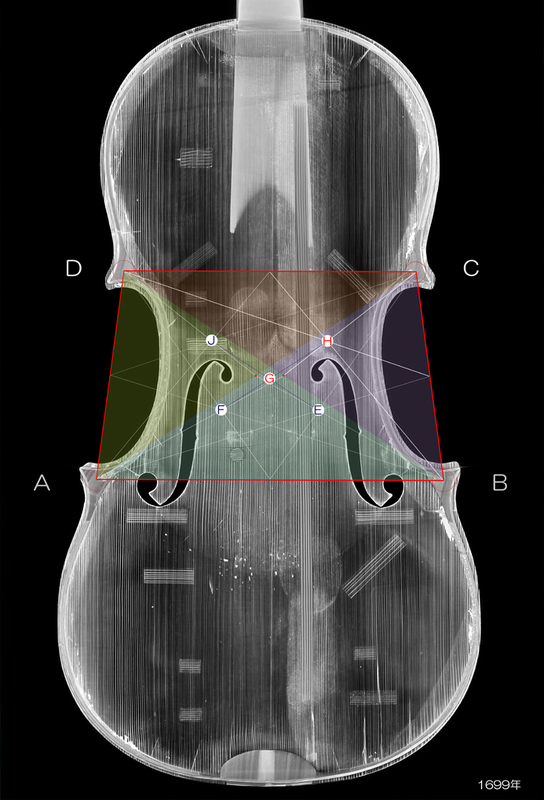 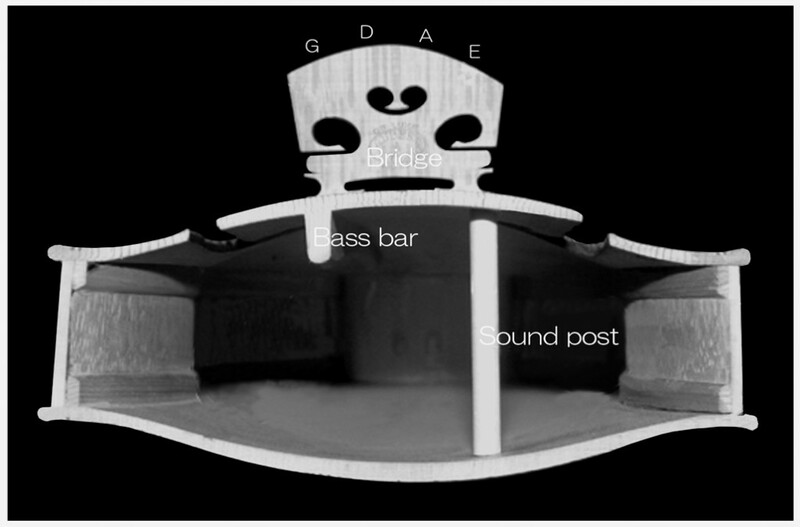 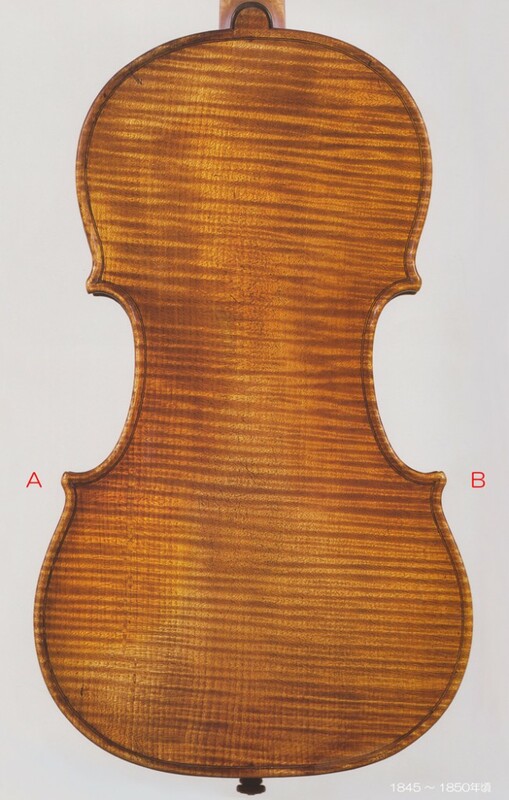 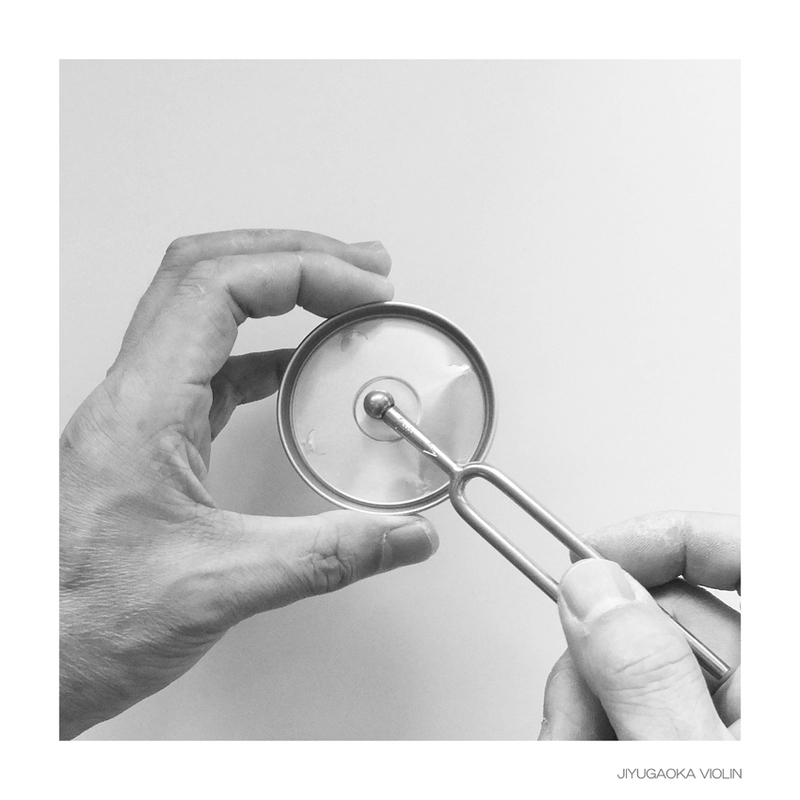 Now, while it’s not the first consideration, the sound of a valuable violin is, of course, still important. 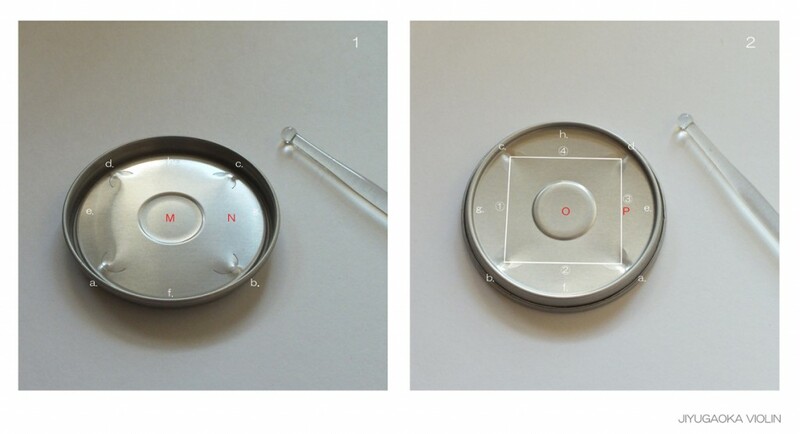 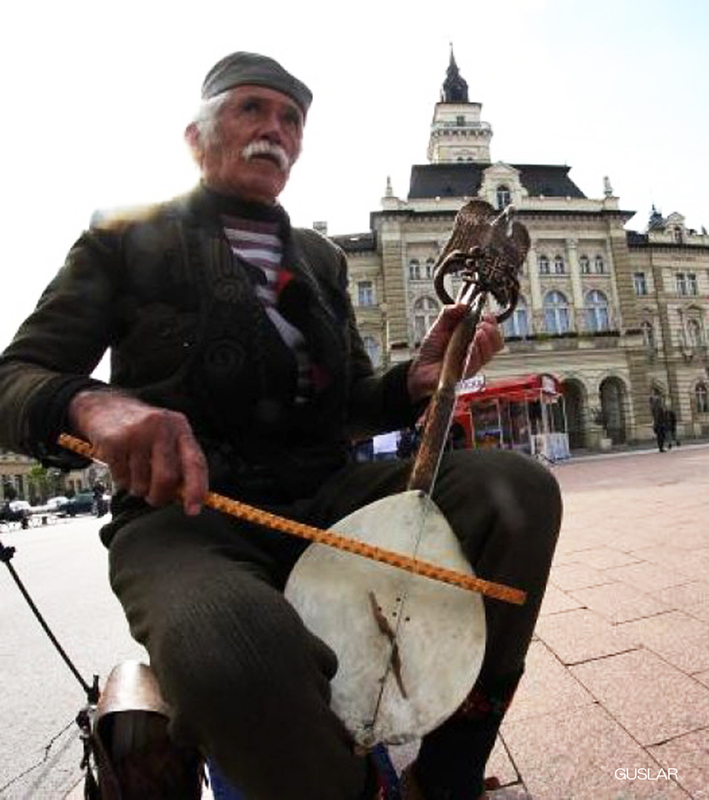 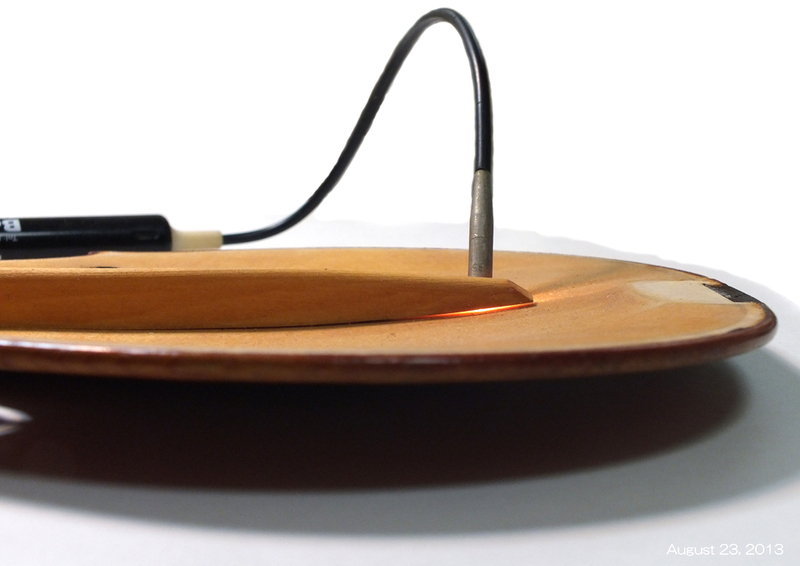 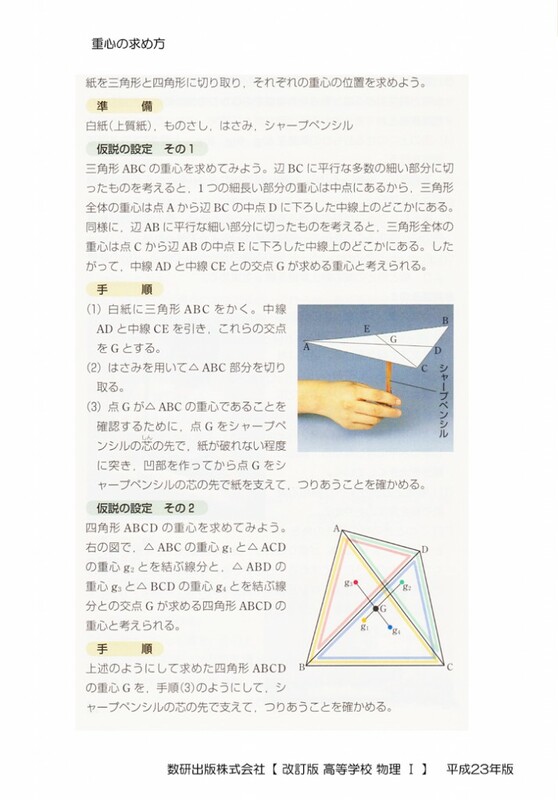 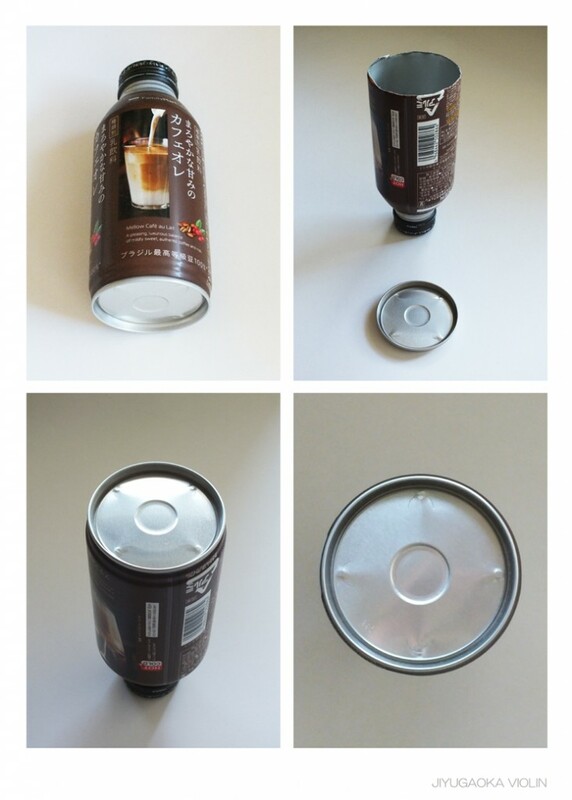 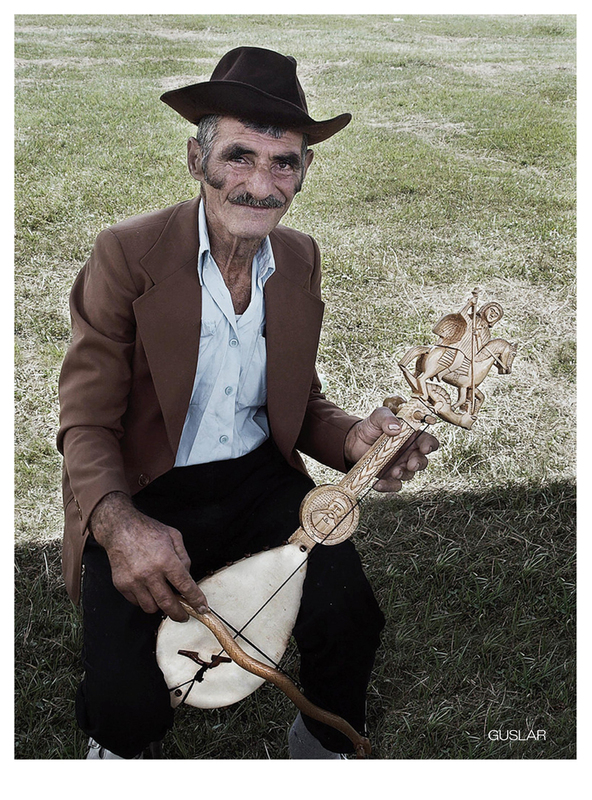 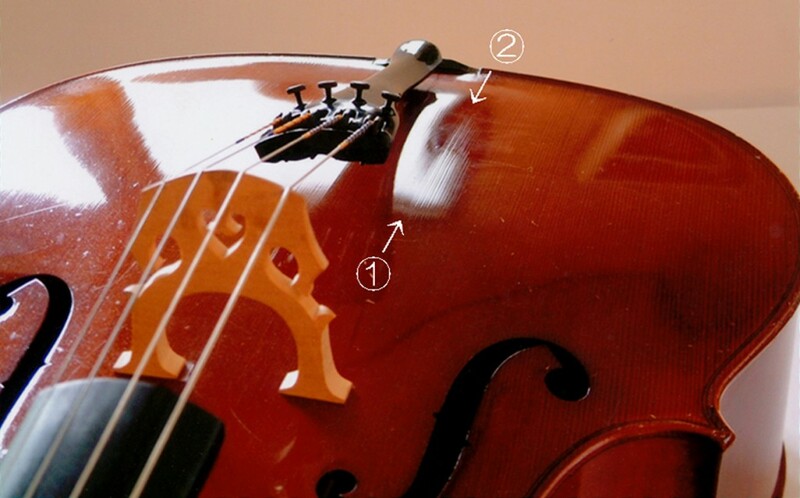 They are musical instruments, after all. 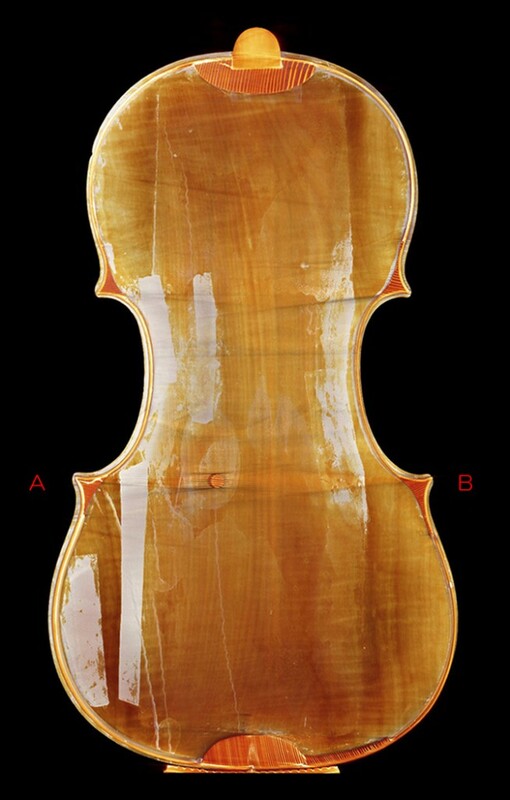 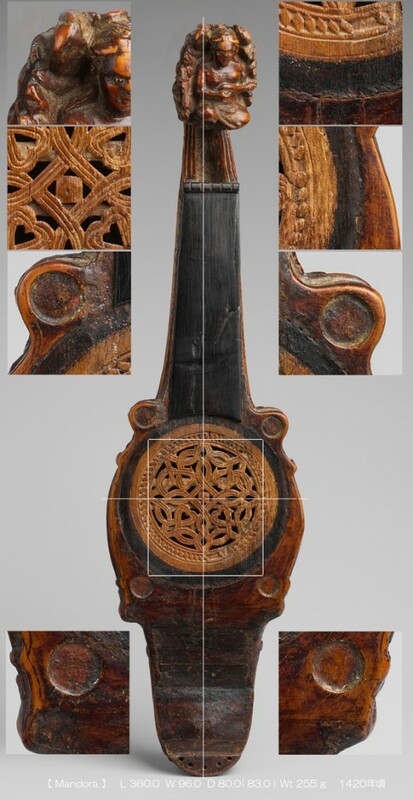 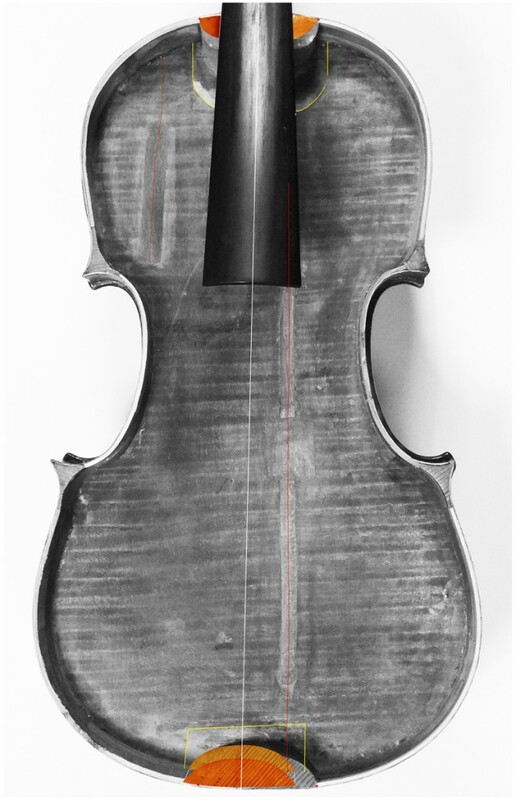 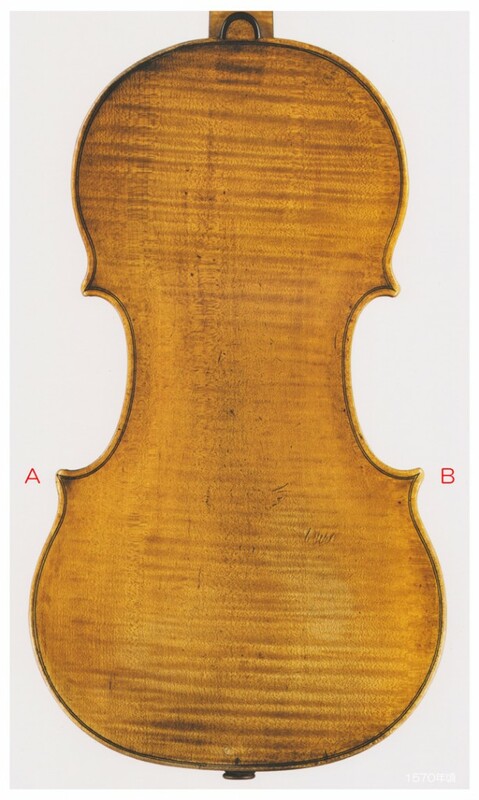 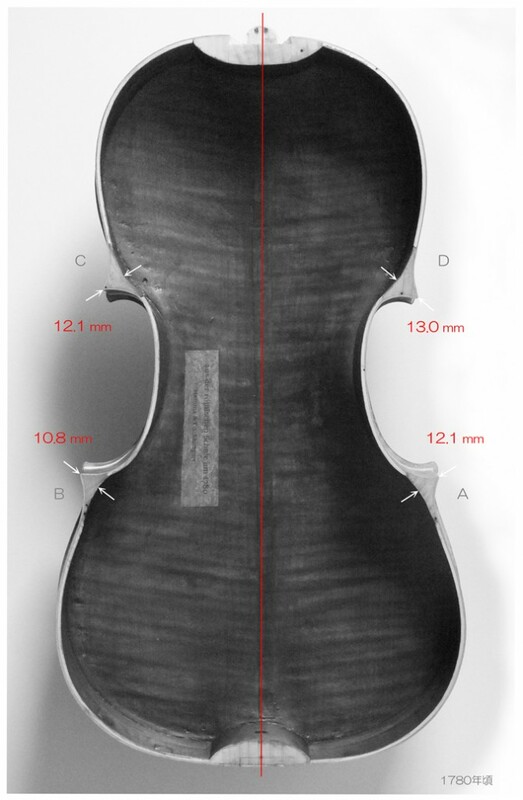 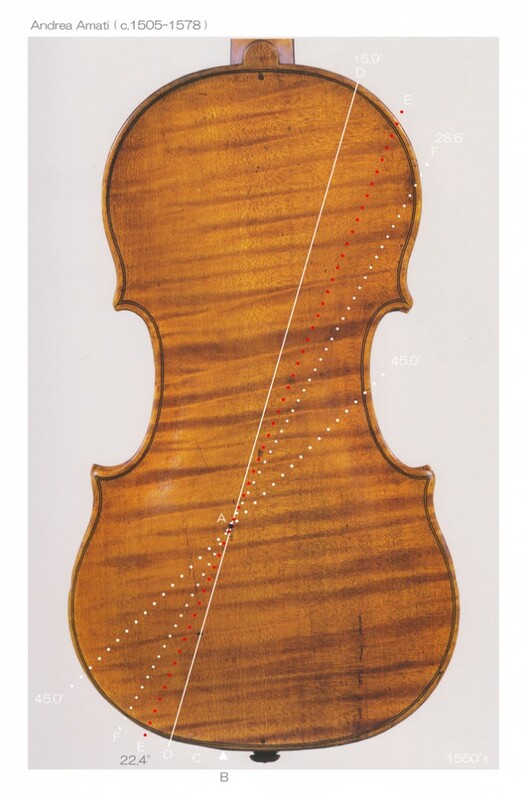 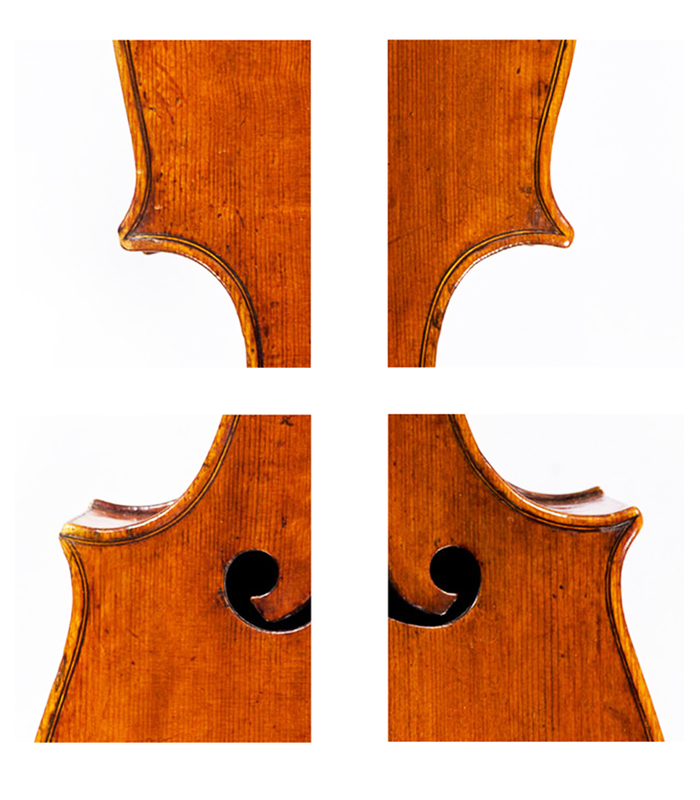 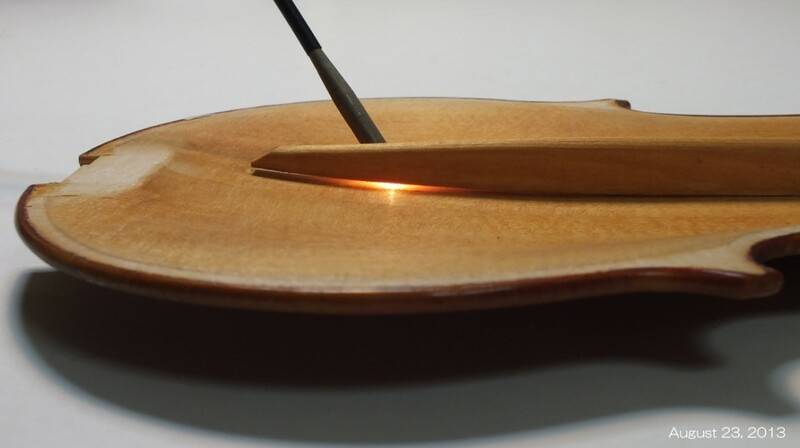 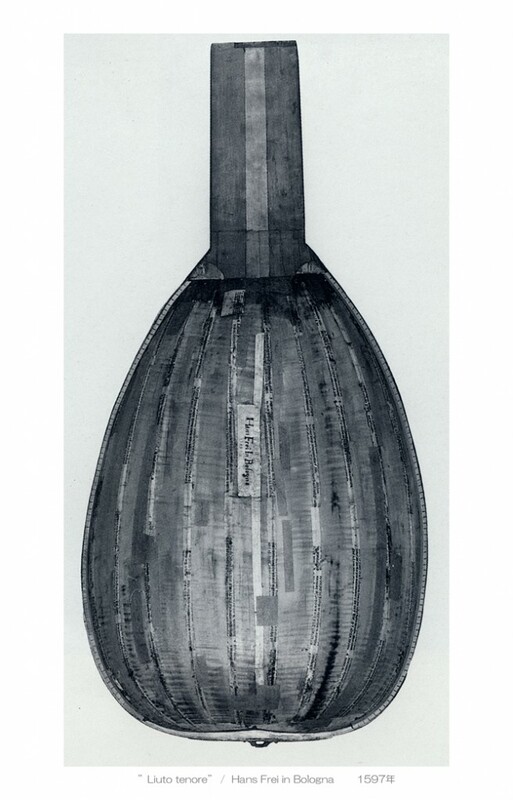 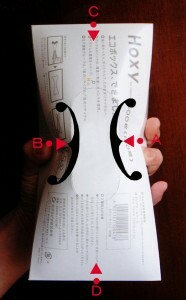 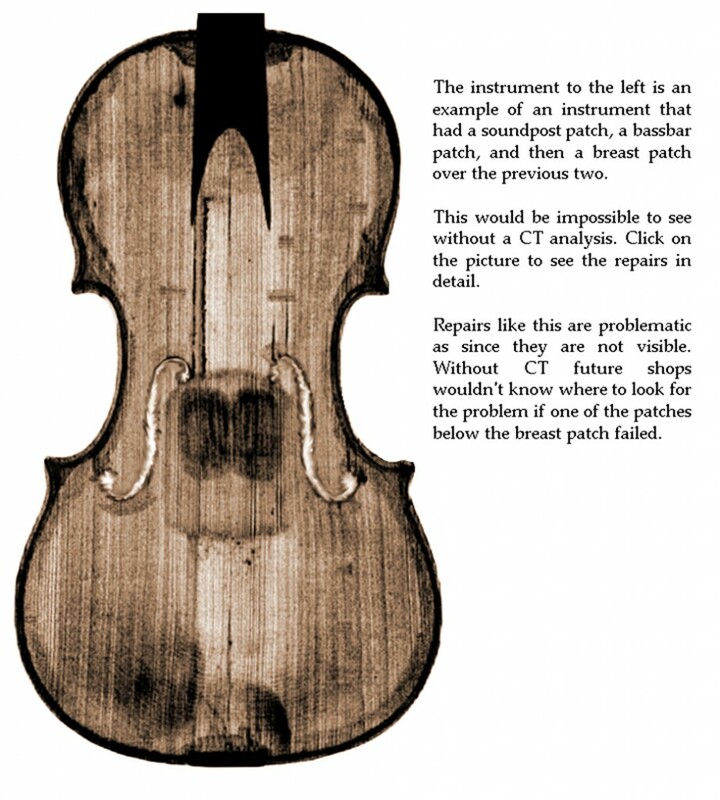 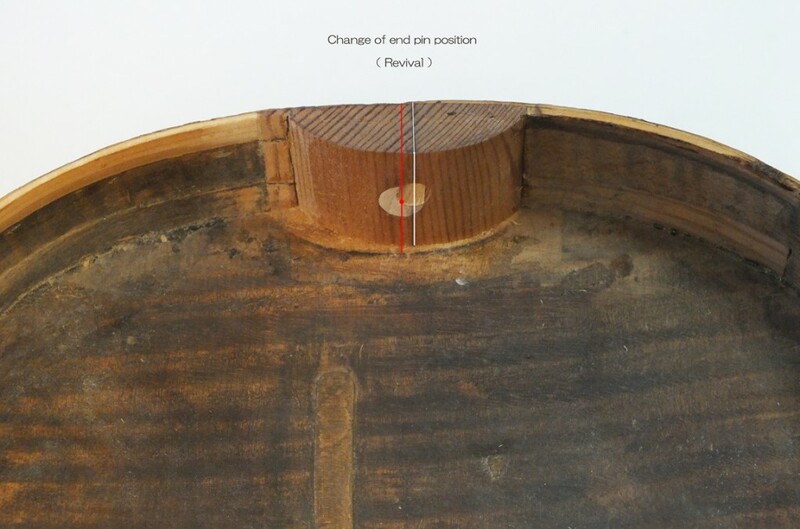 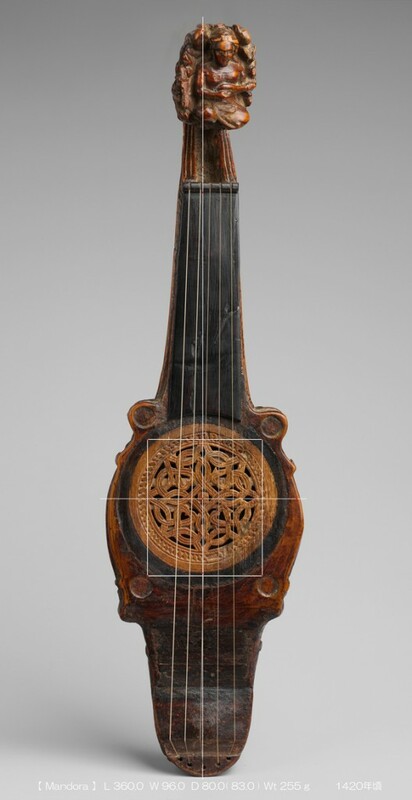 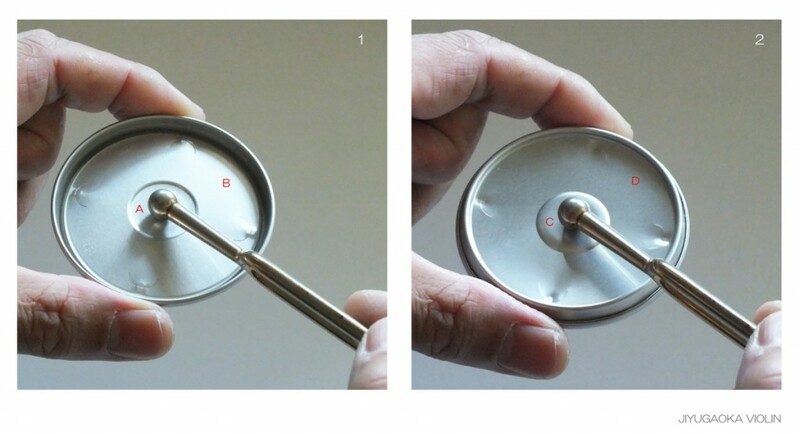 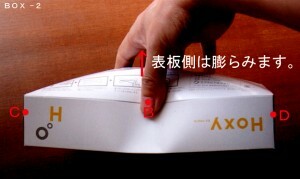 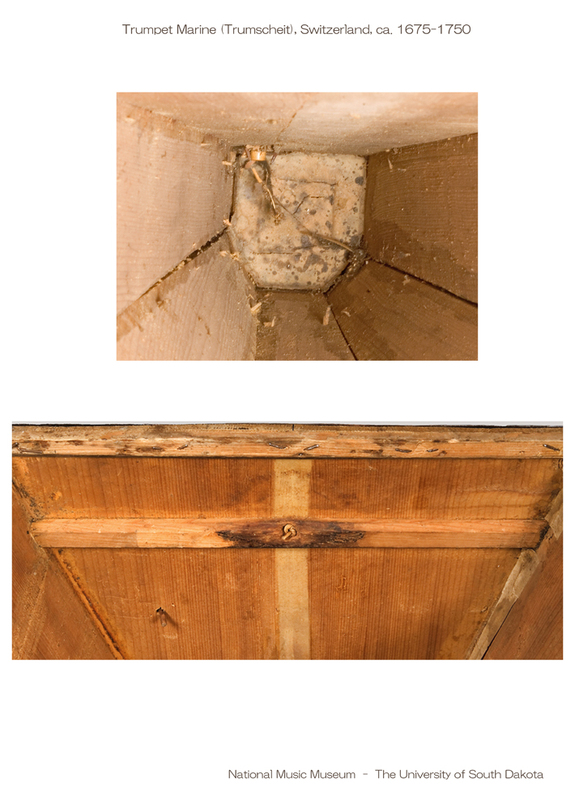 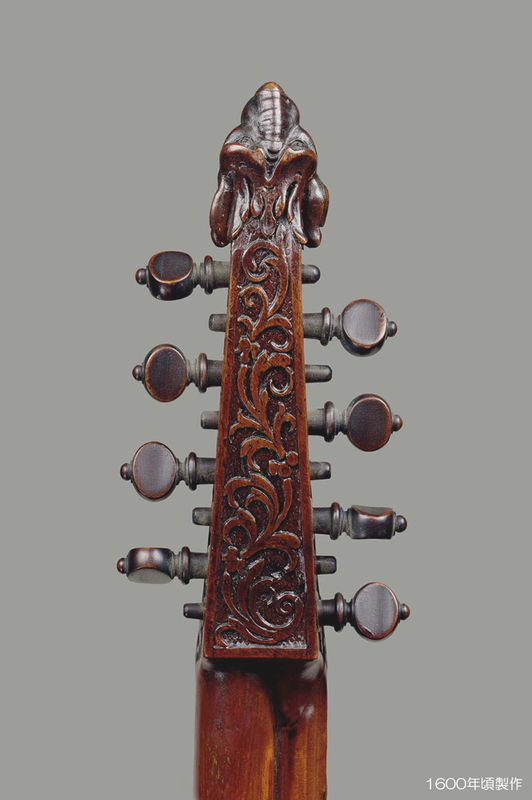 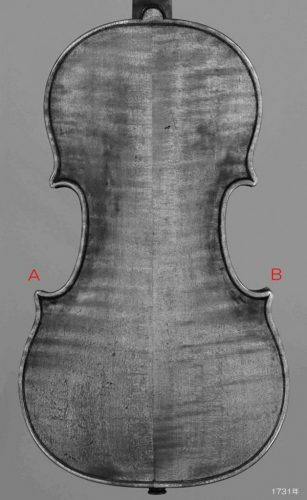 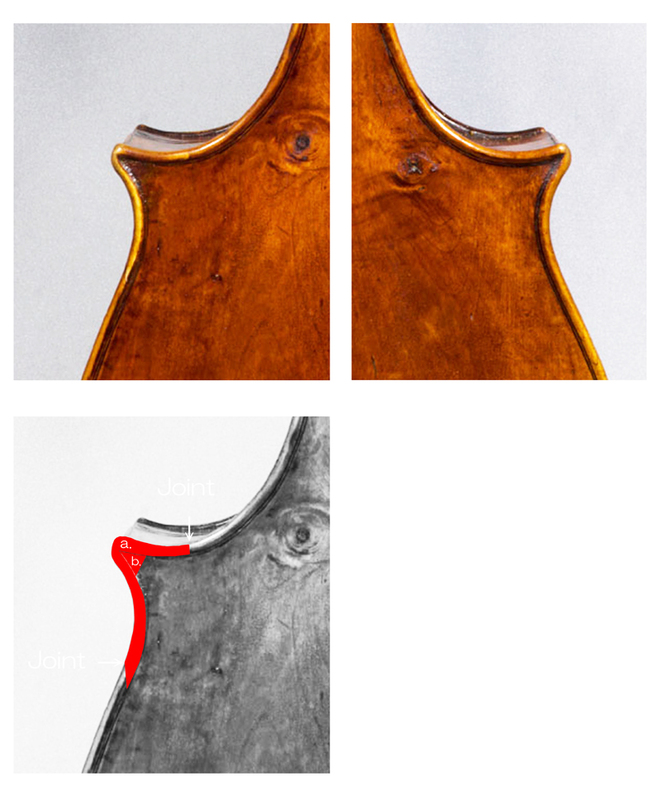 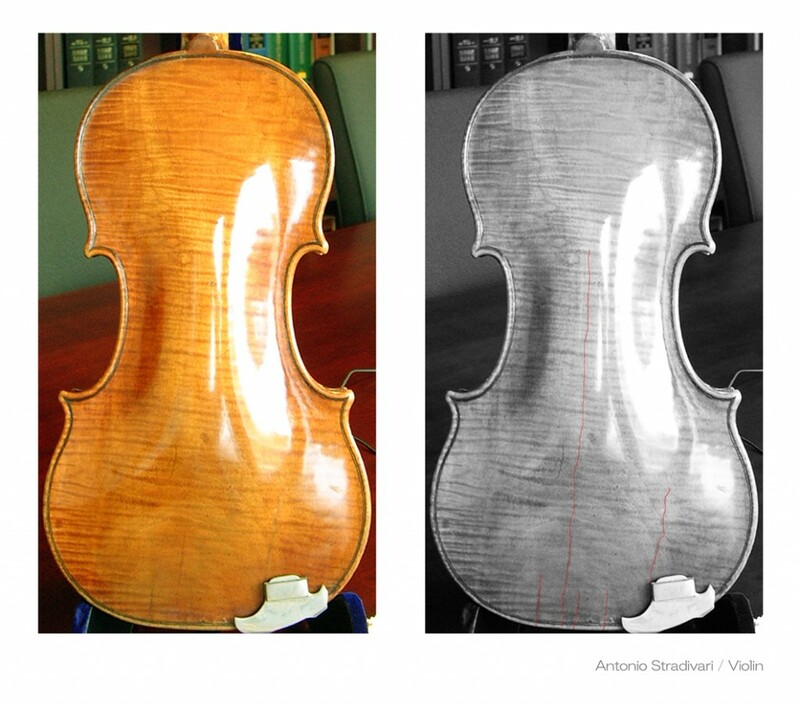 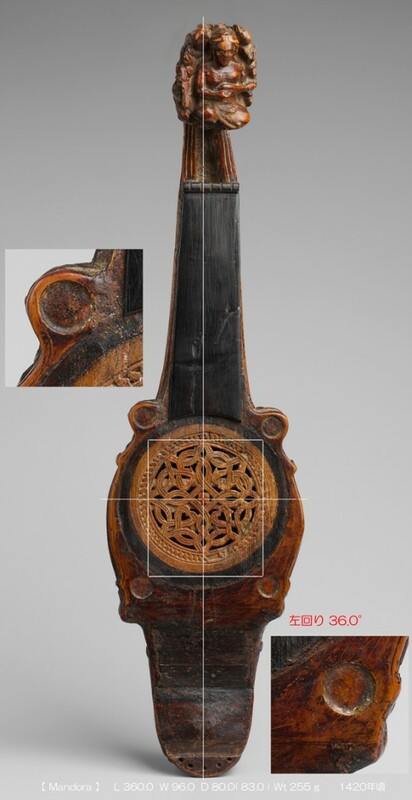 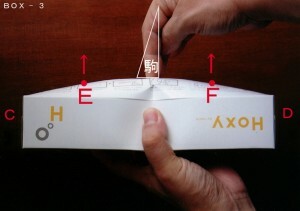 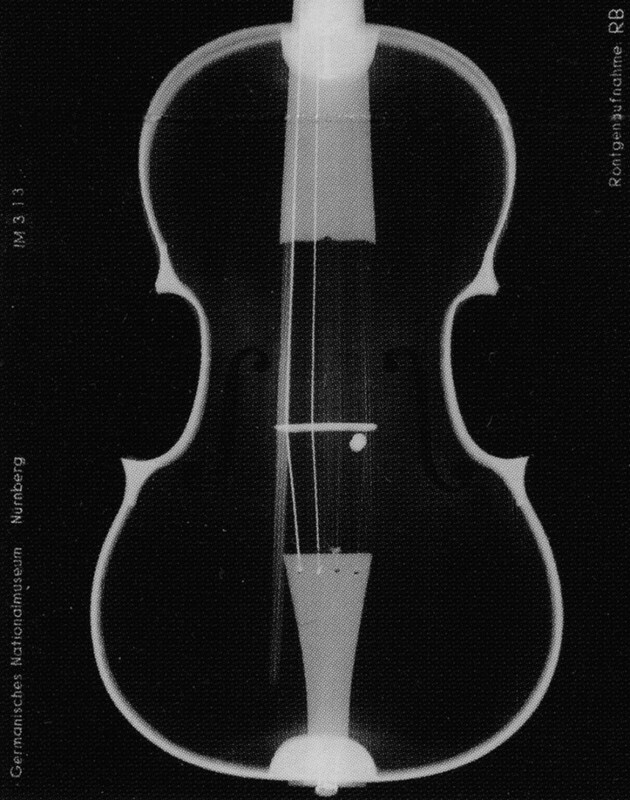 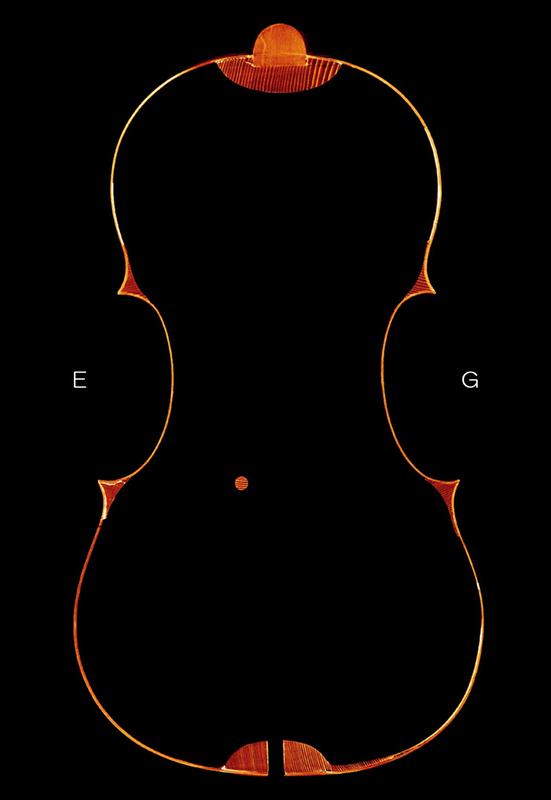 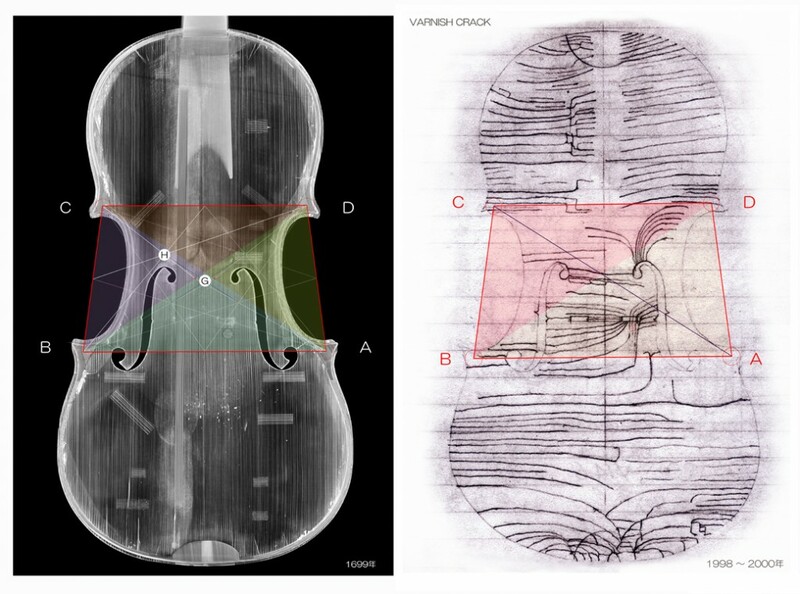 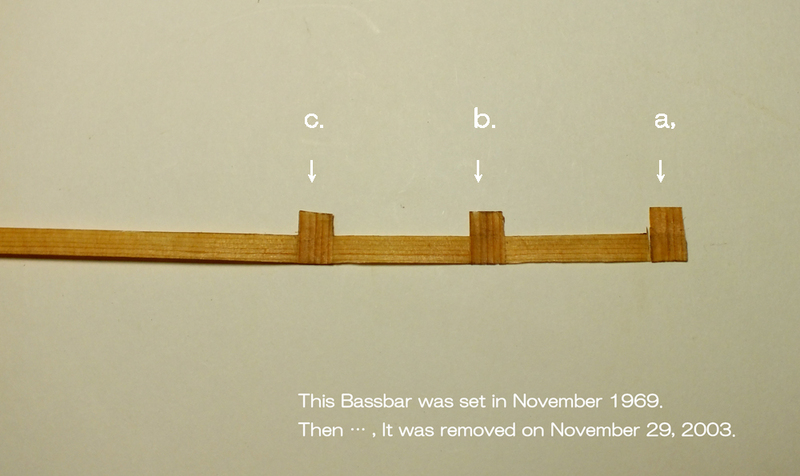 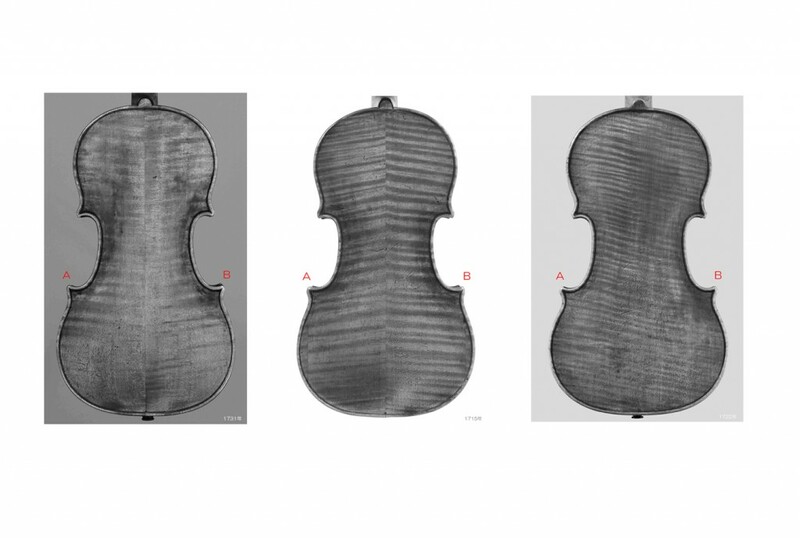 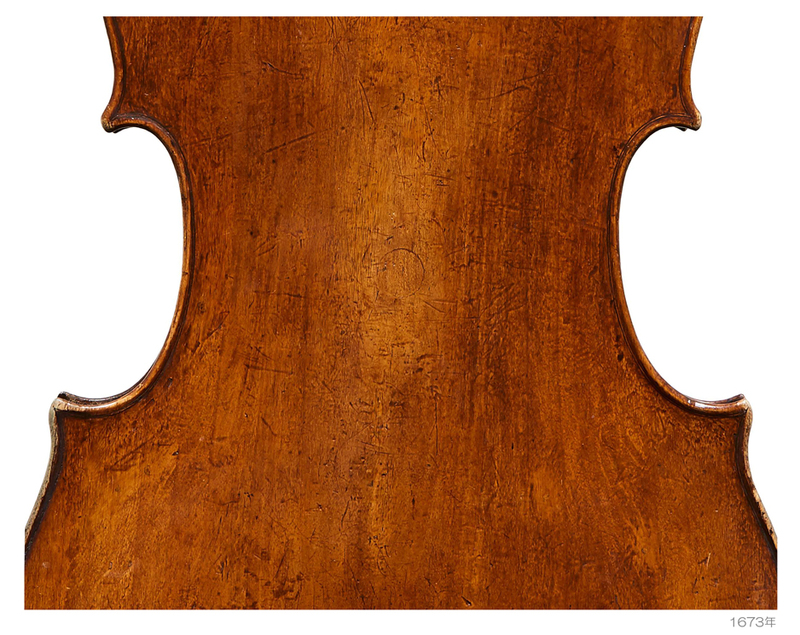 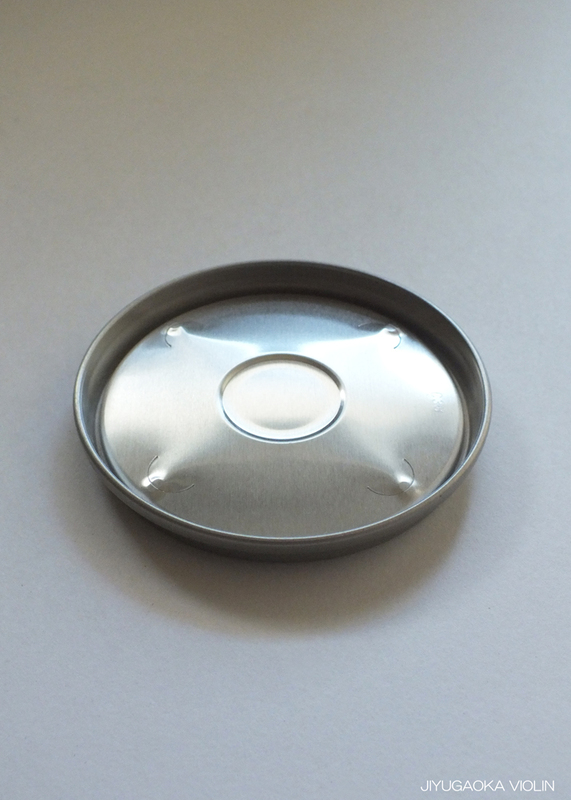 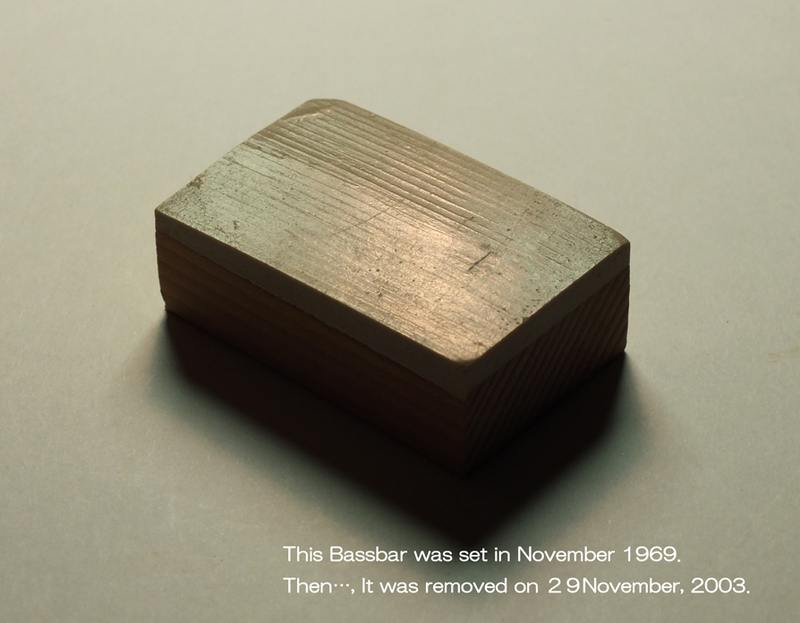 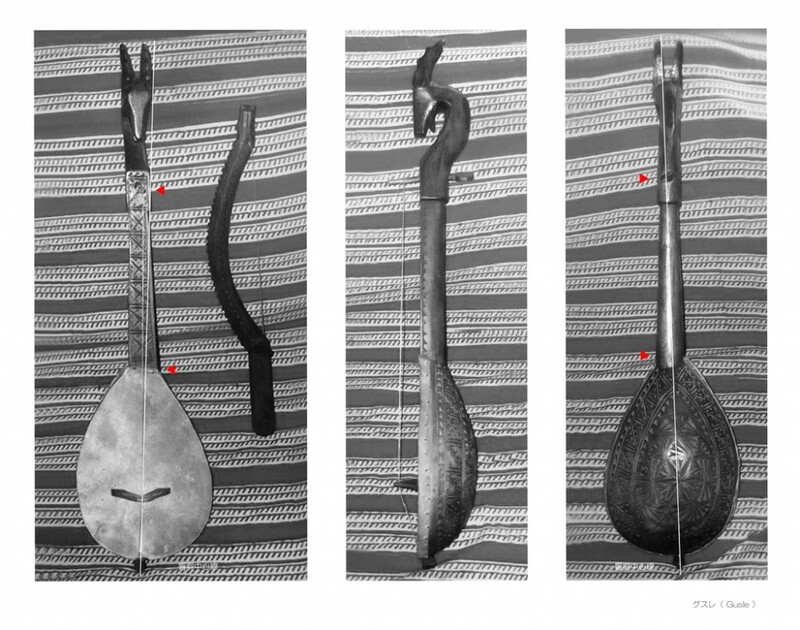 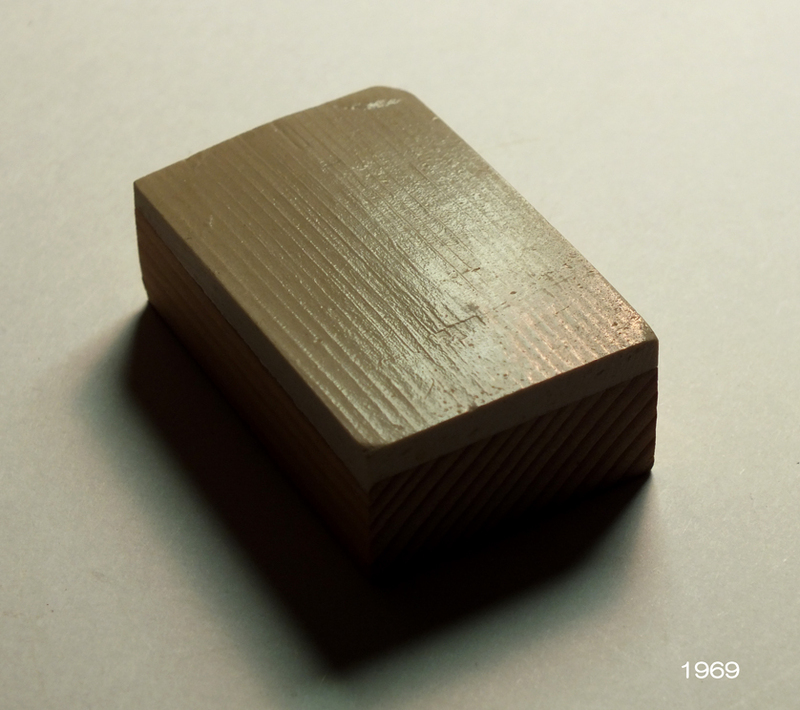 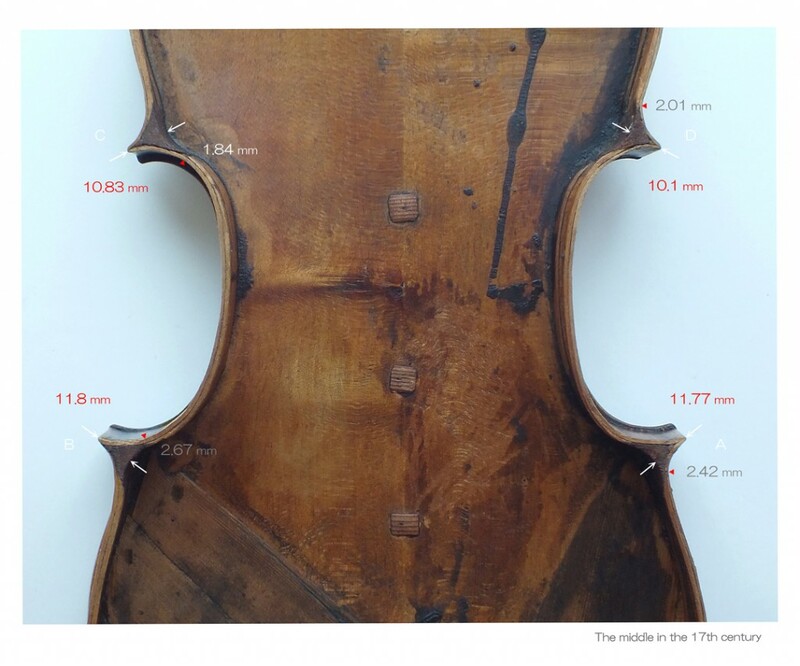 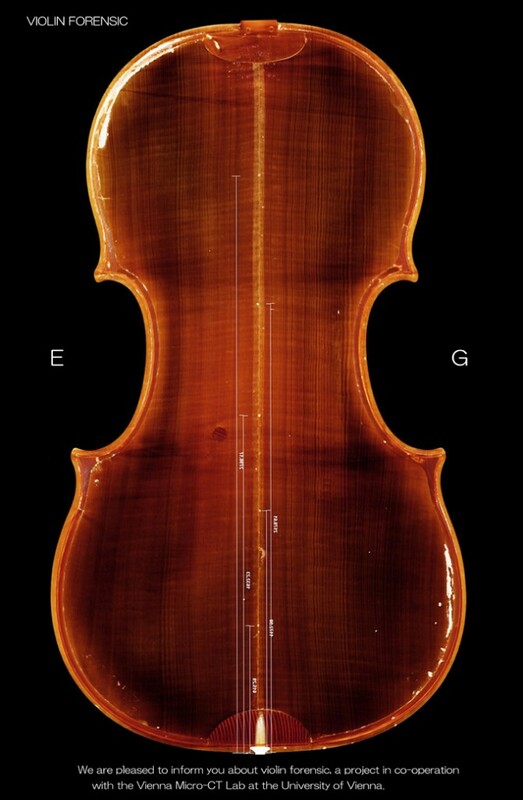 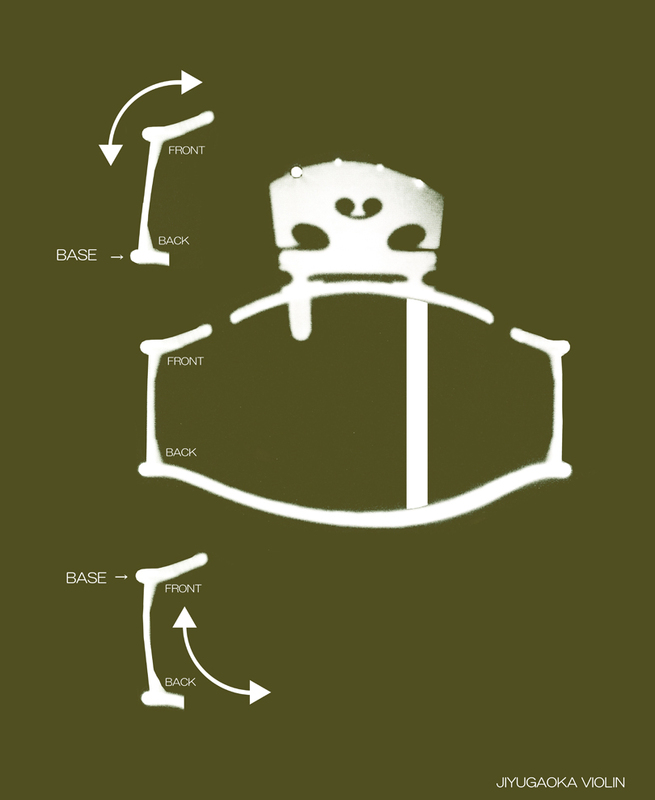 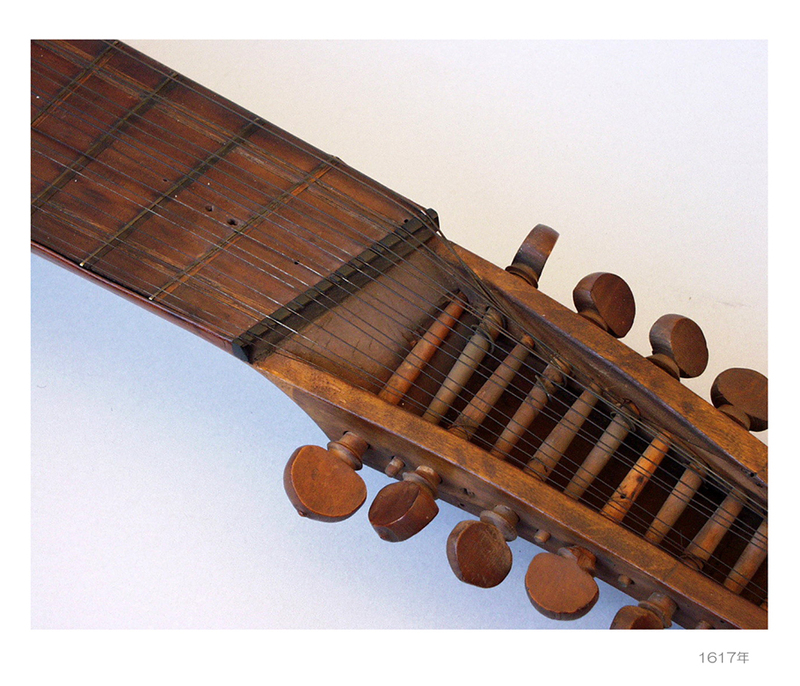 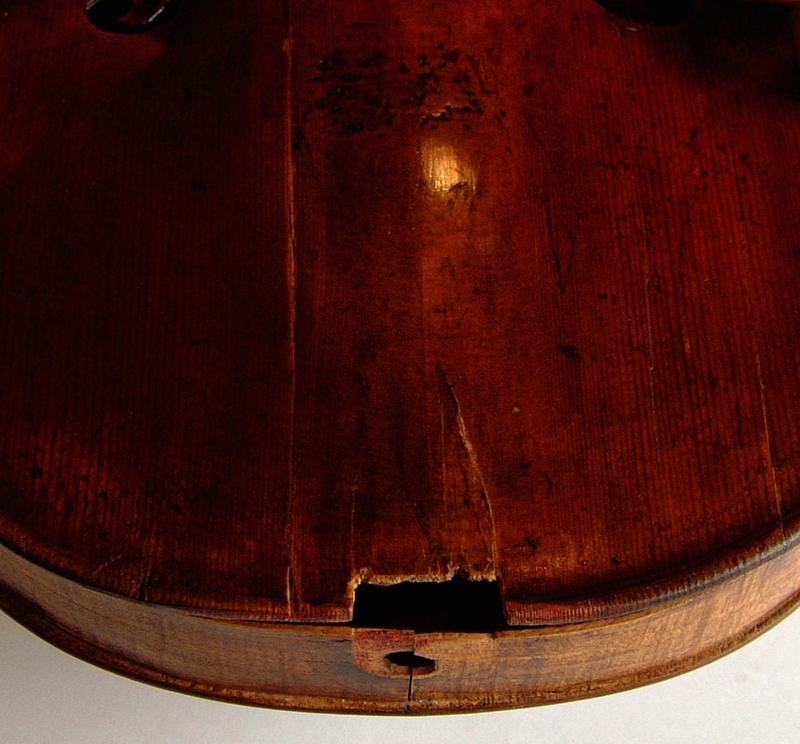 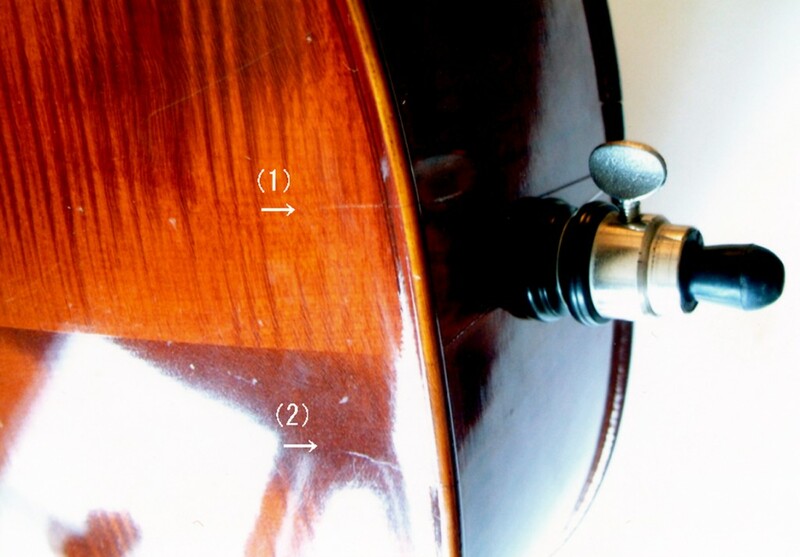 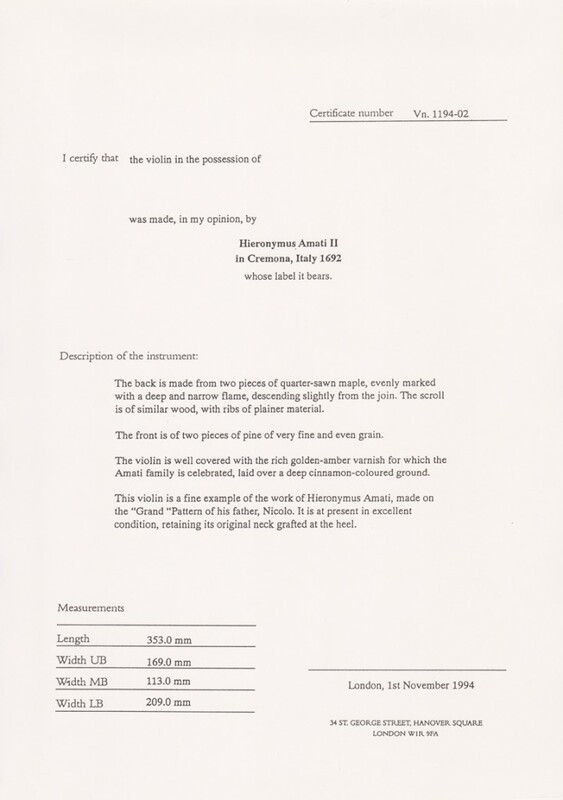 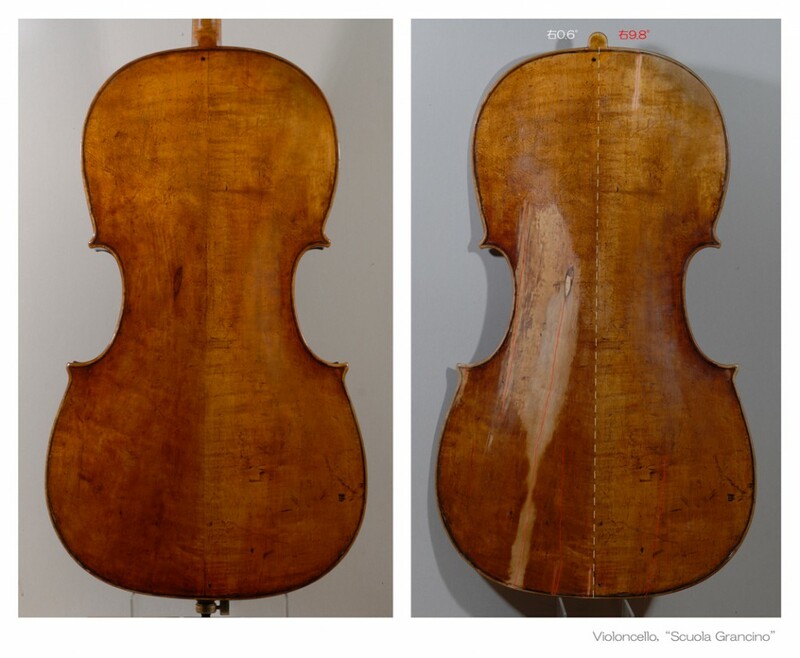 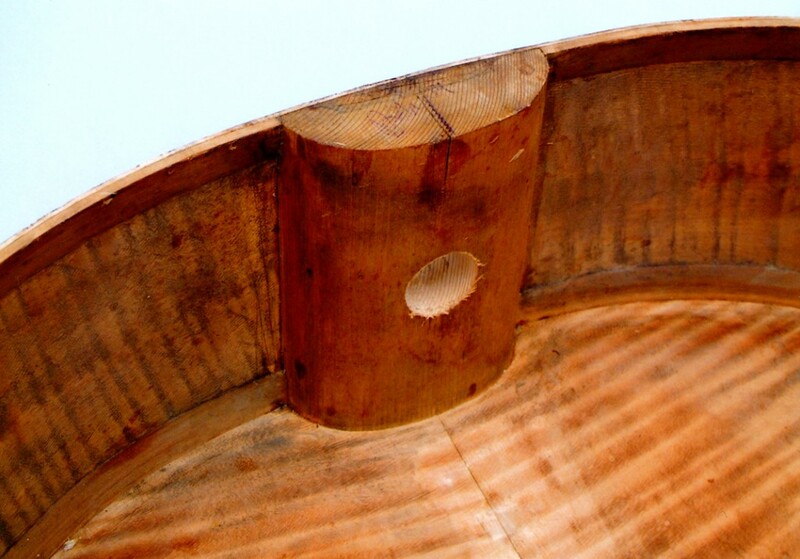 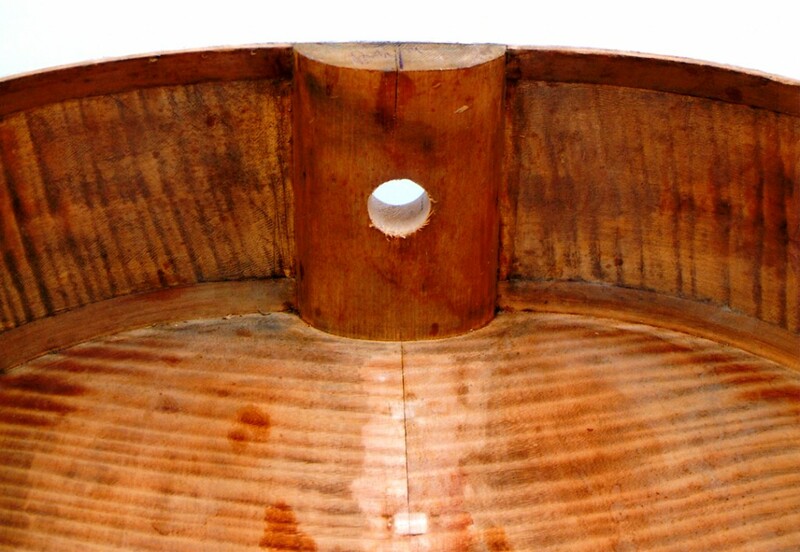 The crack—from one end of the instrument to the other—has probably lowered the value by 10 or 15 percent, Price said. 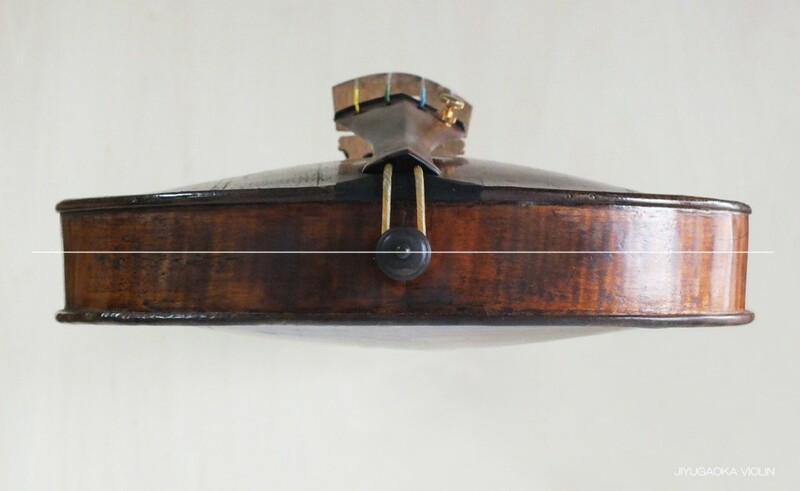 But after the repairs, the instrument may actually sound better, just because Imaishi has more carefully put the instrument back into its ideal shape and made sure everything is in the right place. 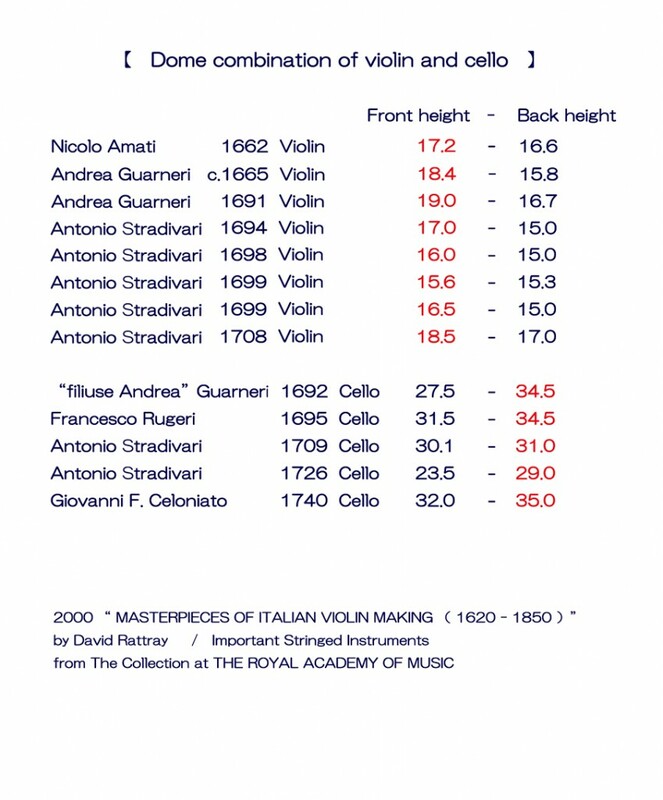 So sound doesn’t matter, Price reiterated. 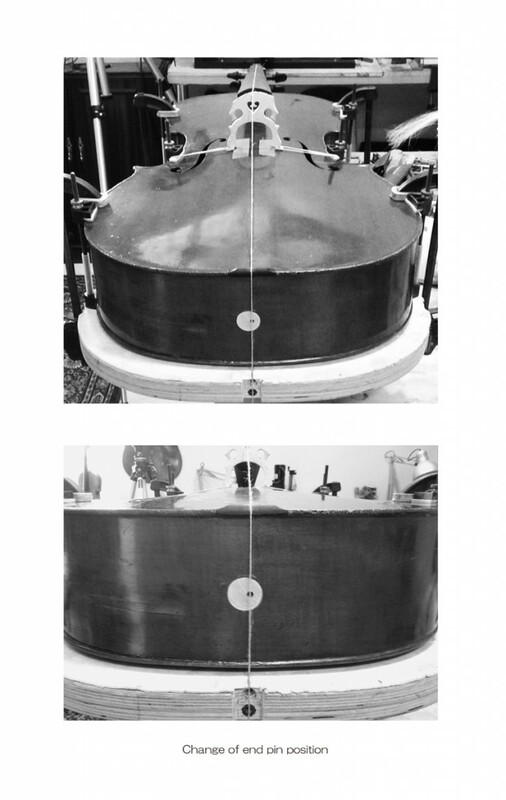 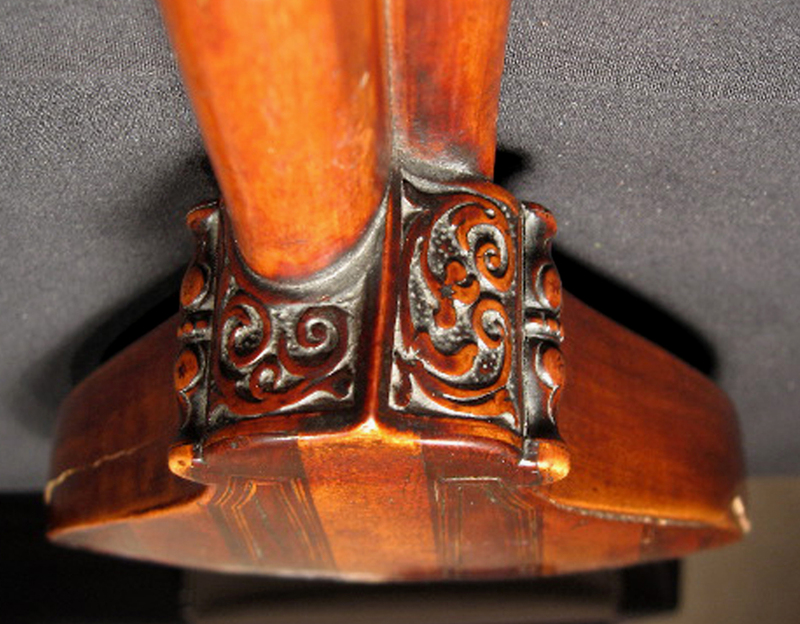 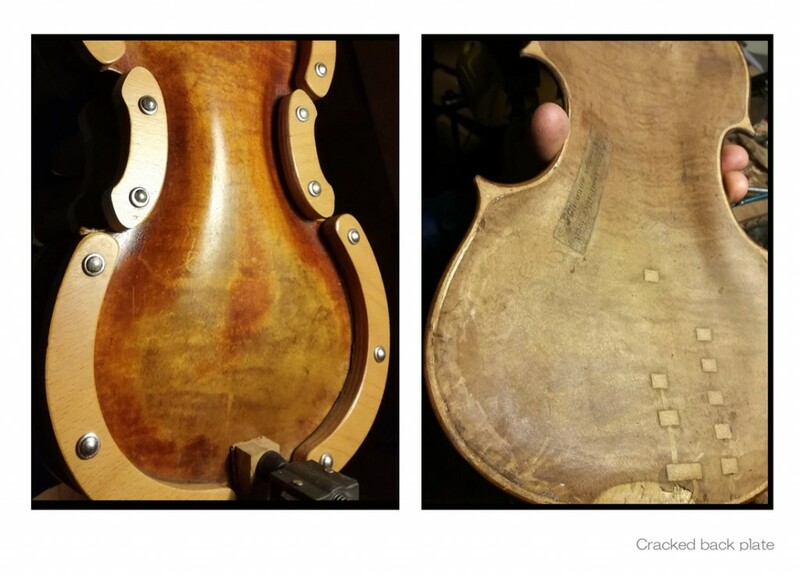 But as they started on repairs, they noticed repair work done to the back of the instrument that the client probably hadn’t known about—the sort of work that would halve the value of the instrument right off the bat, Price added. 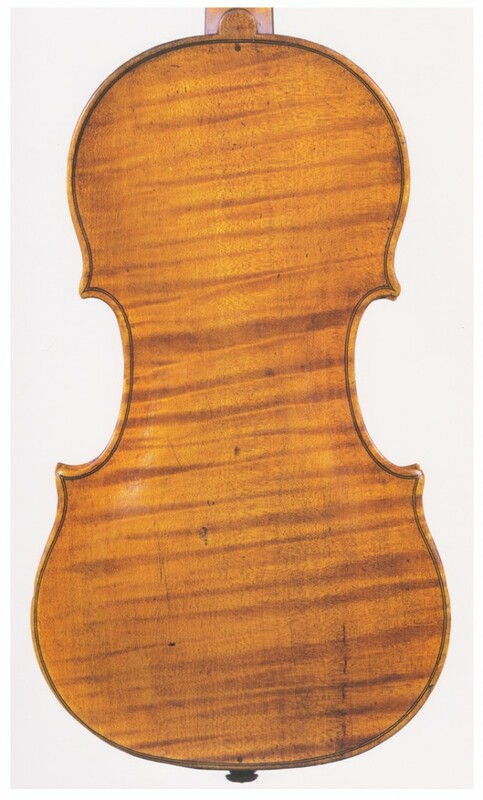 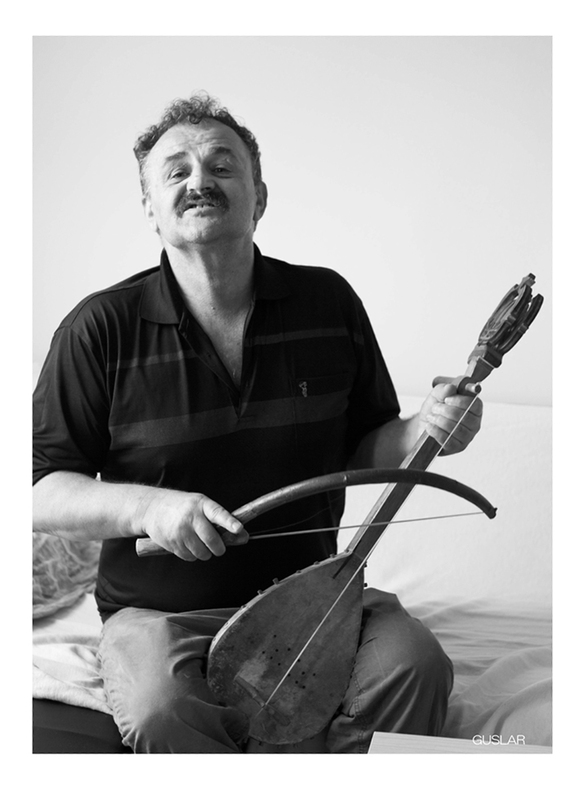 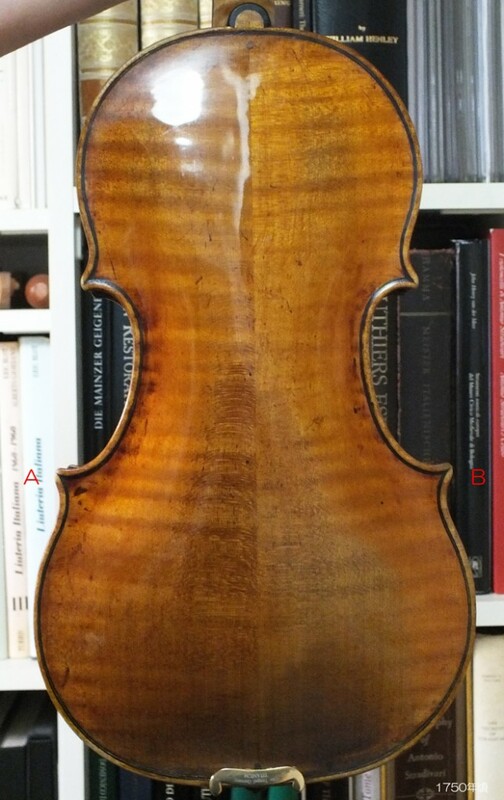 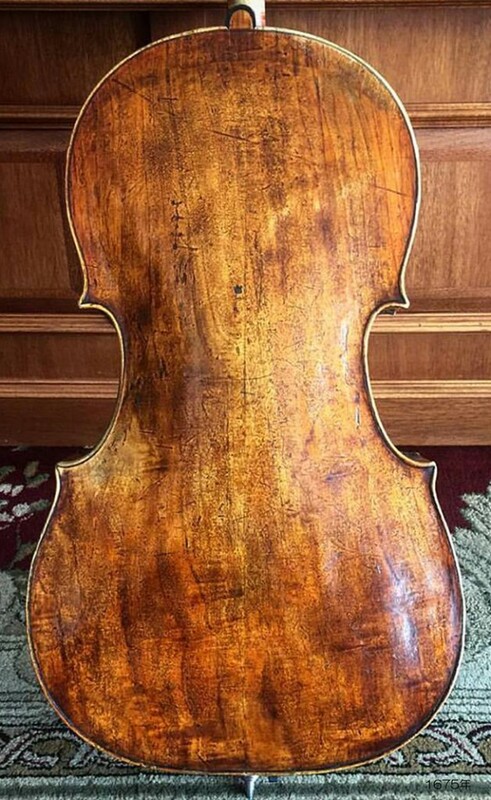 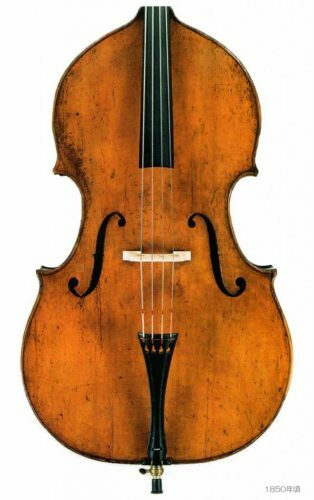 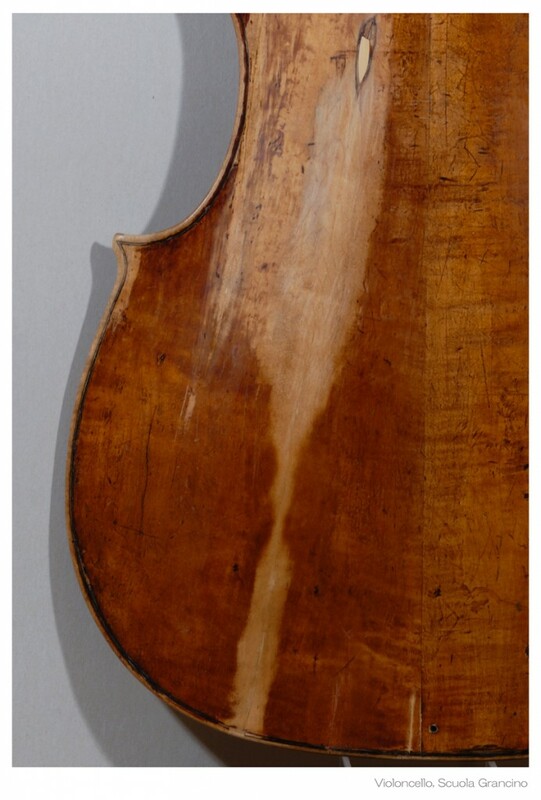 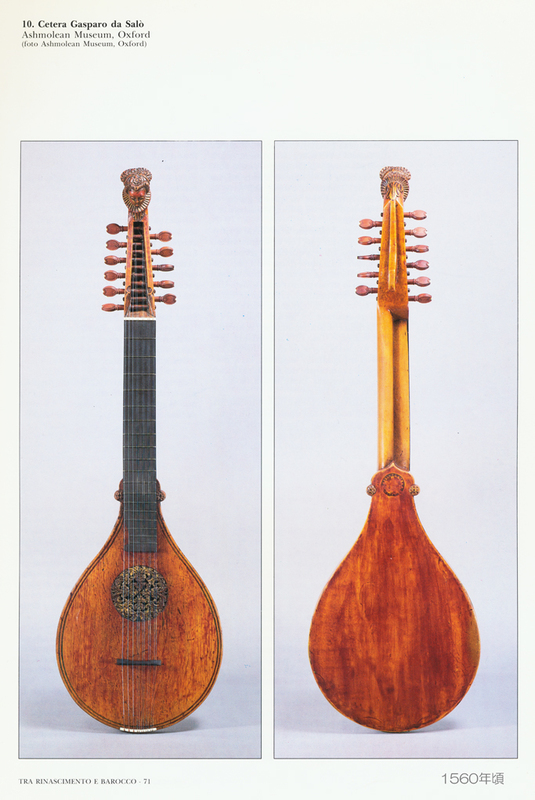 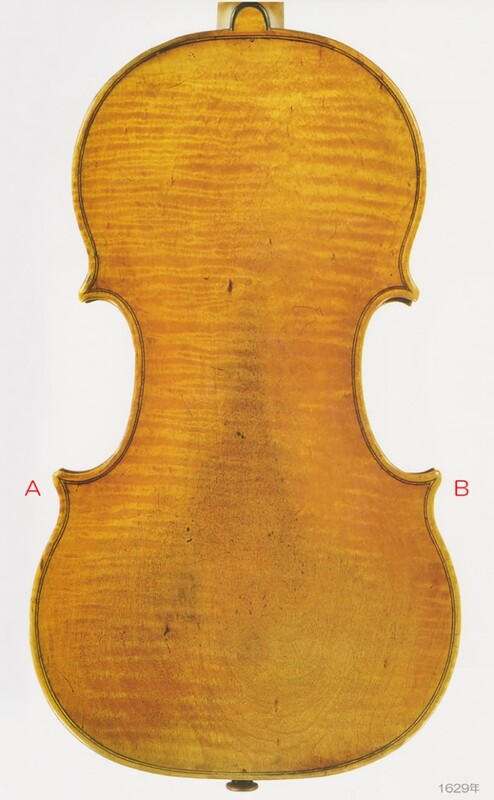 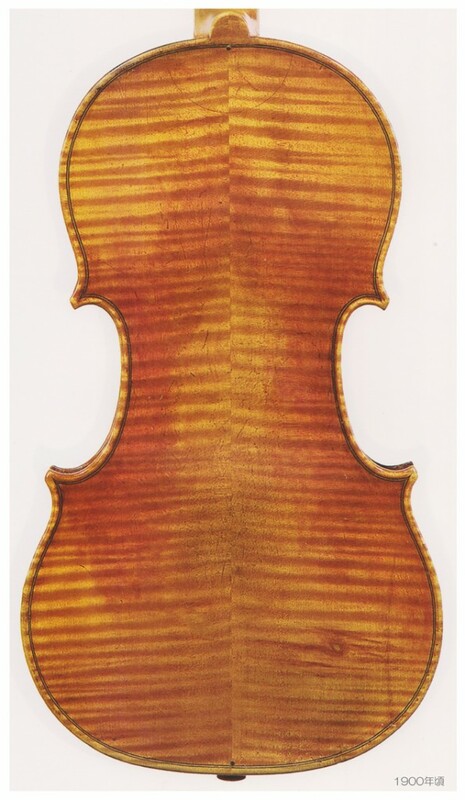 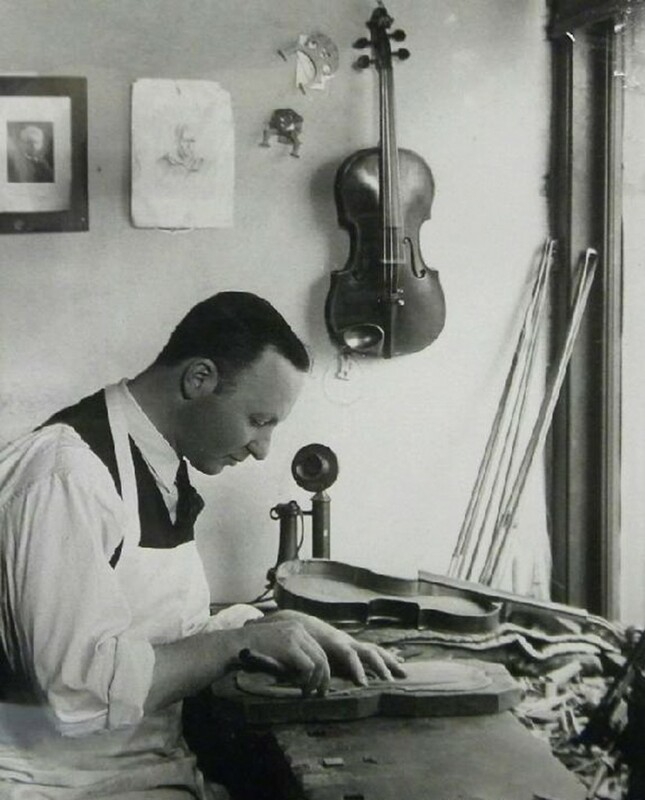 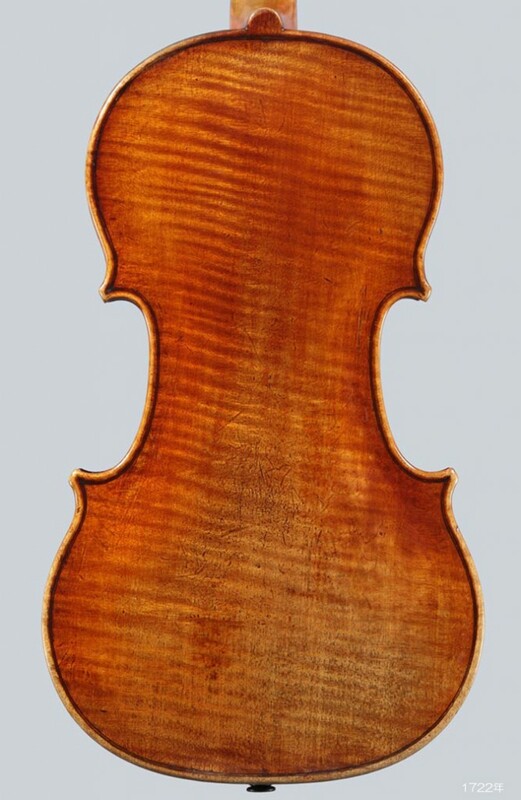 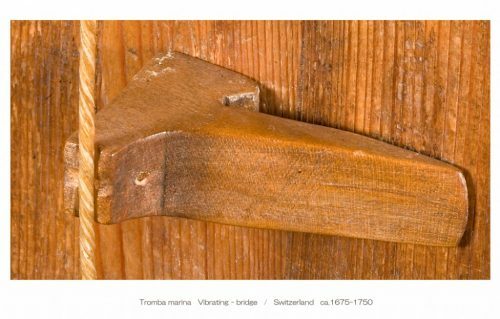 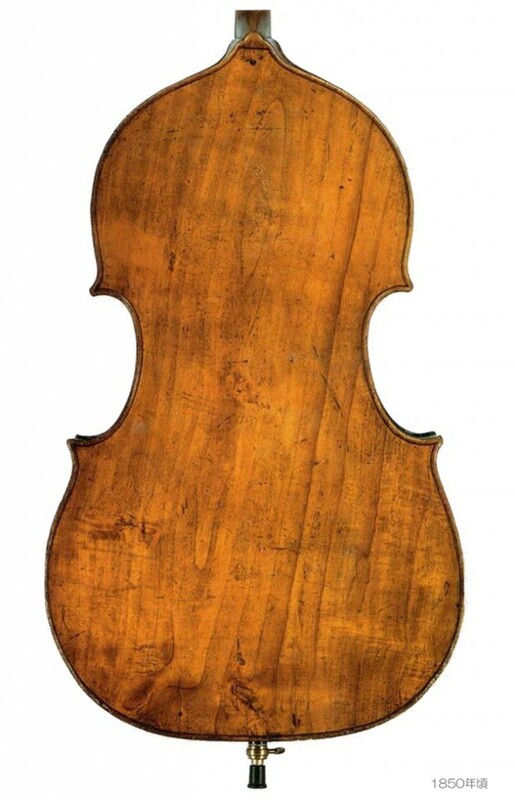 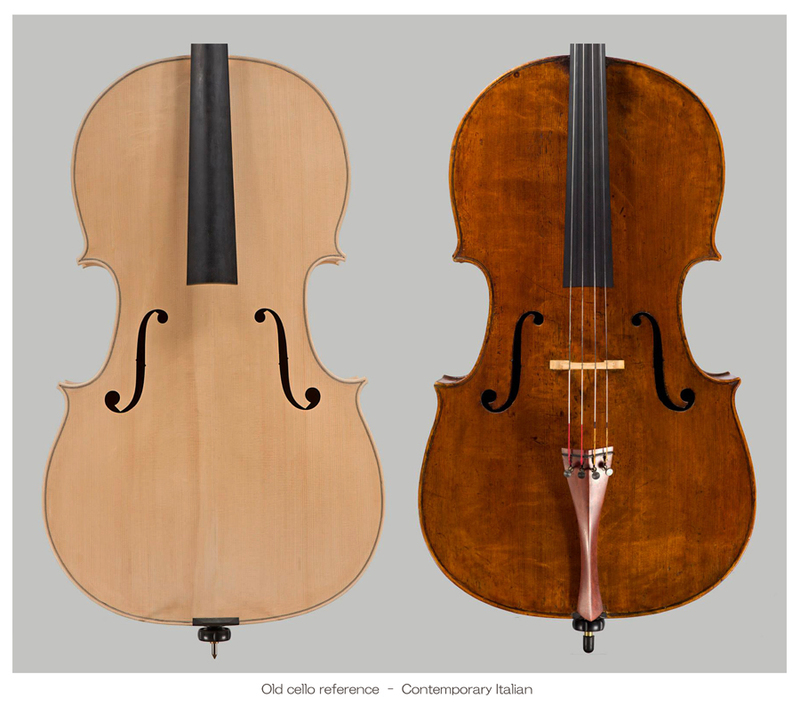 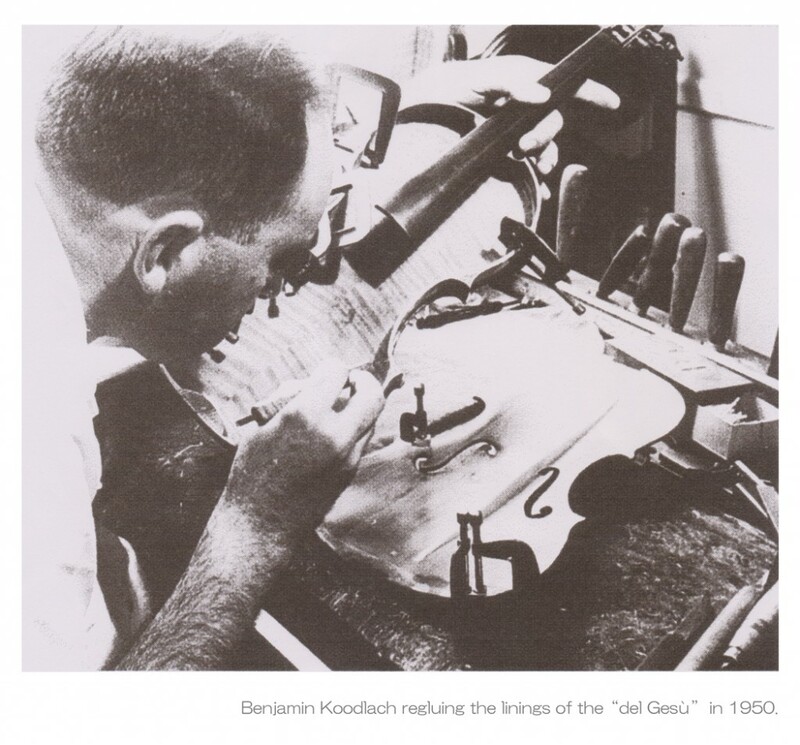 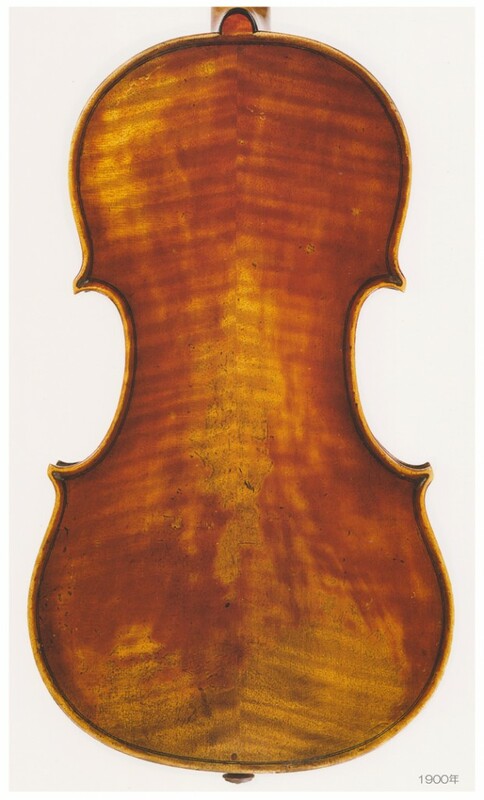 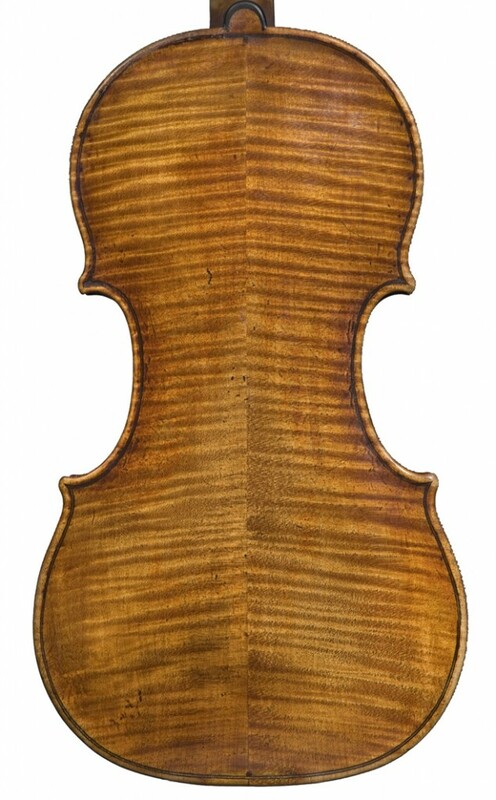 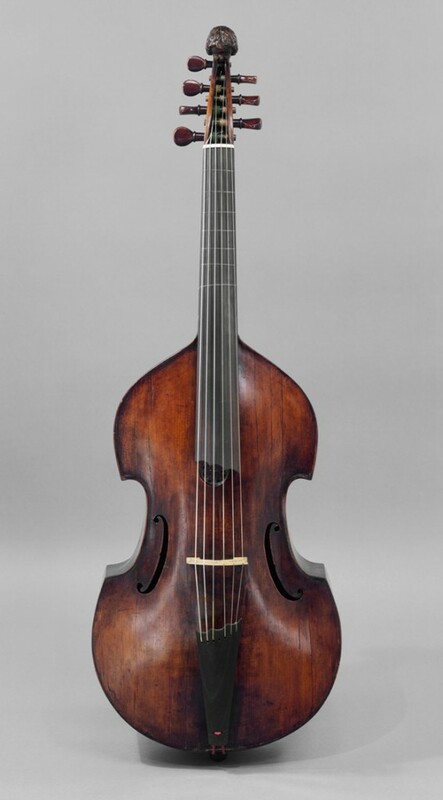 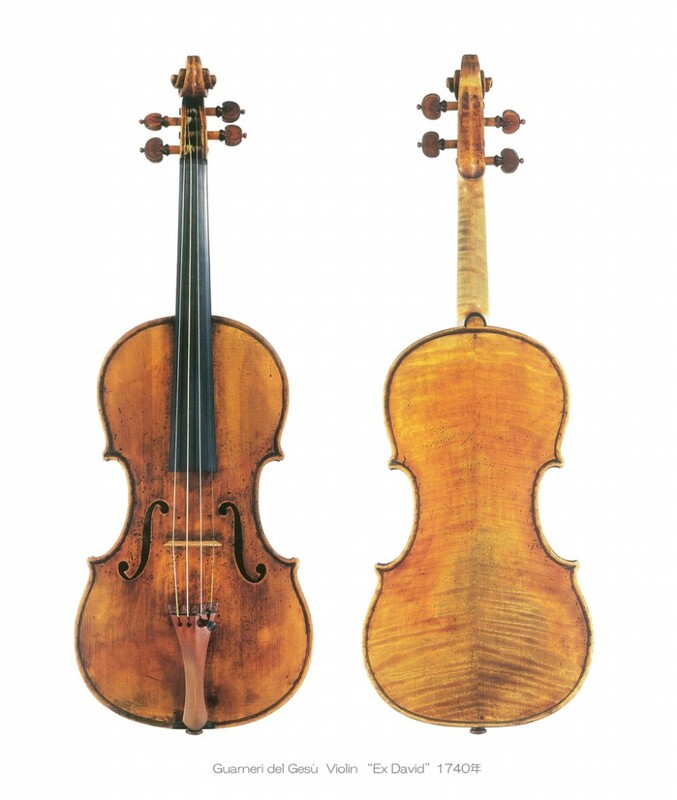 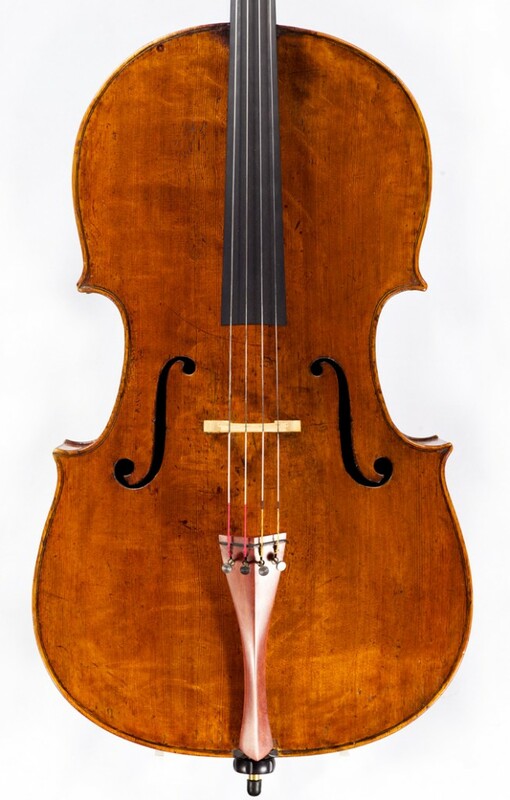 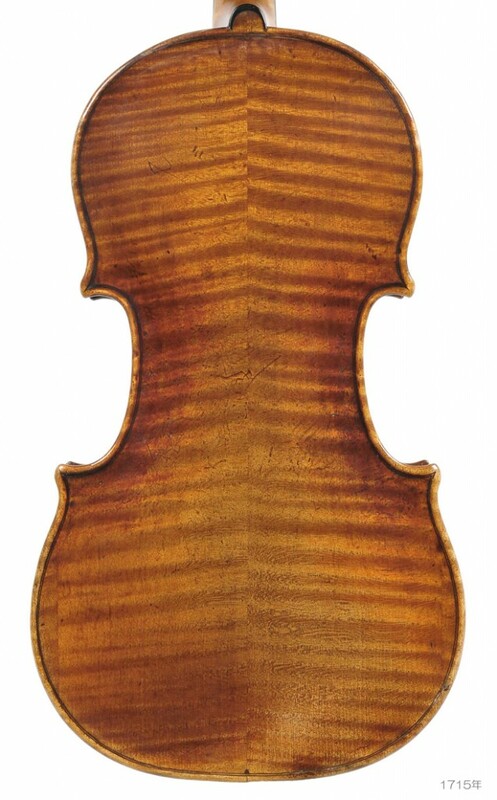 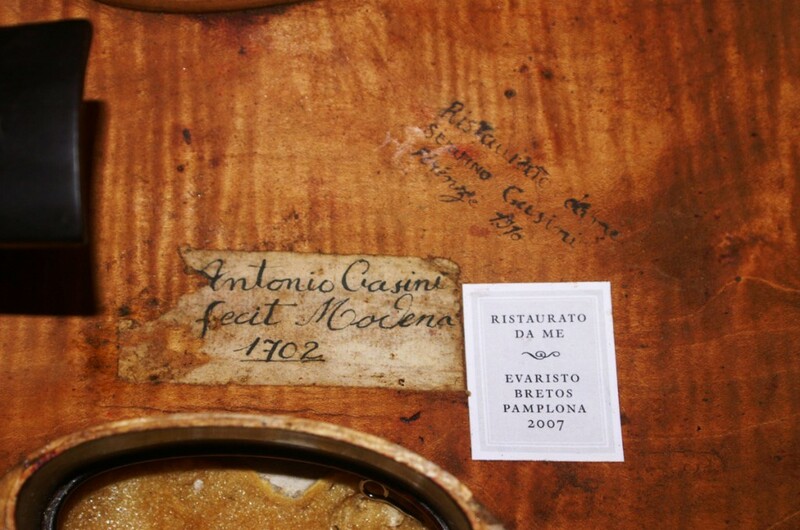 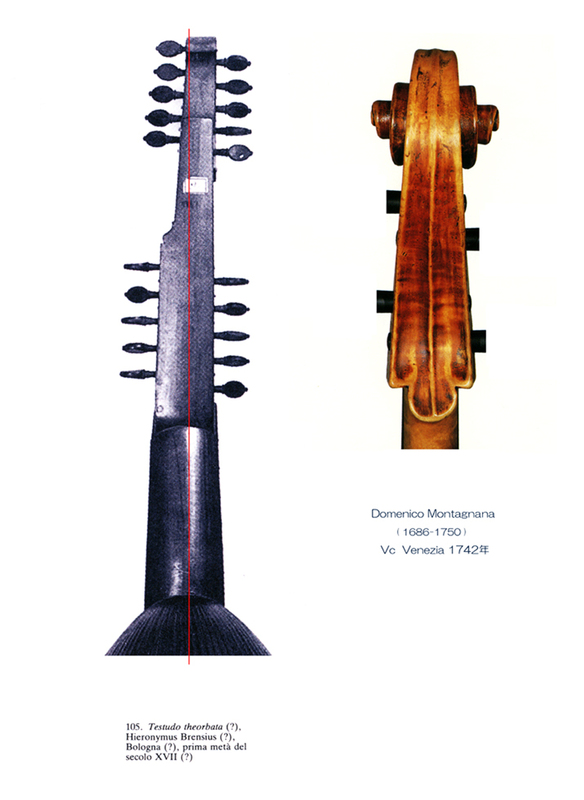 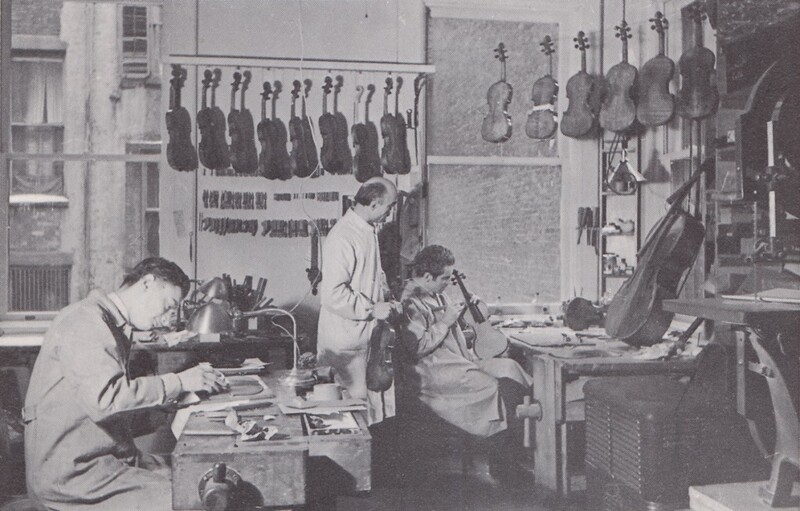 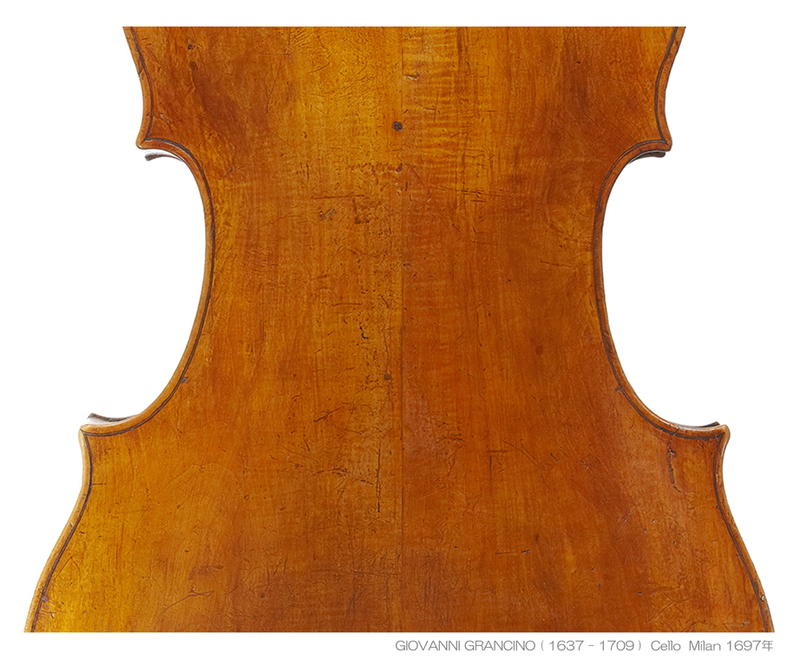 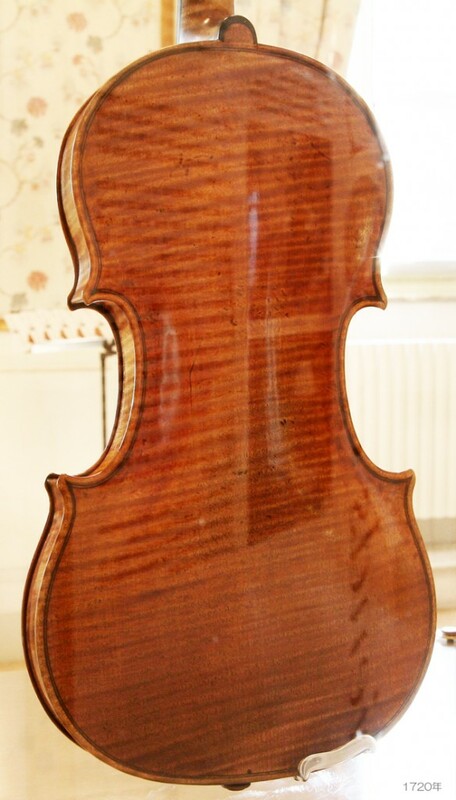 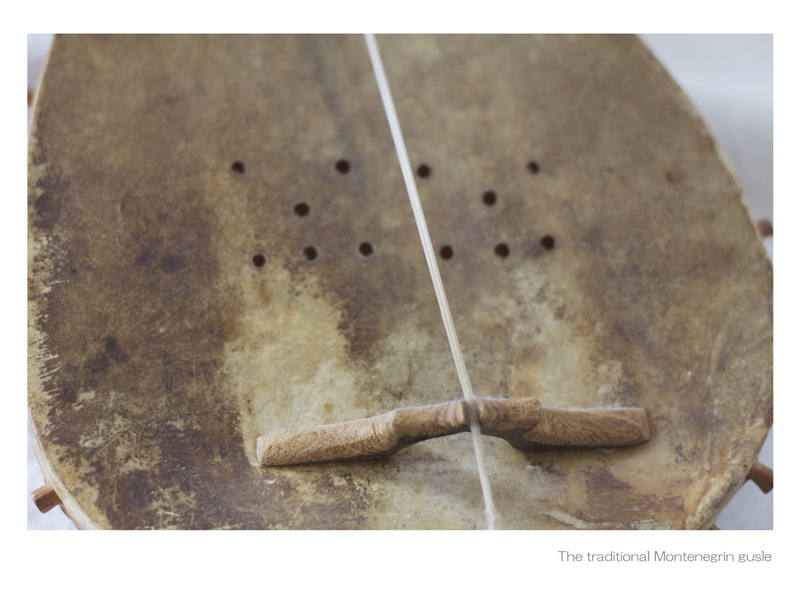 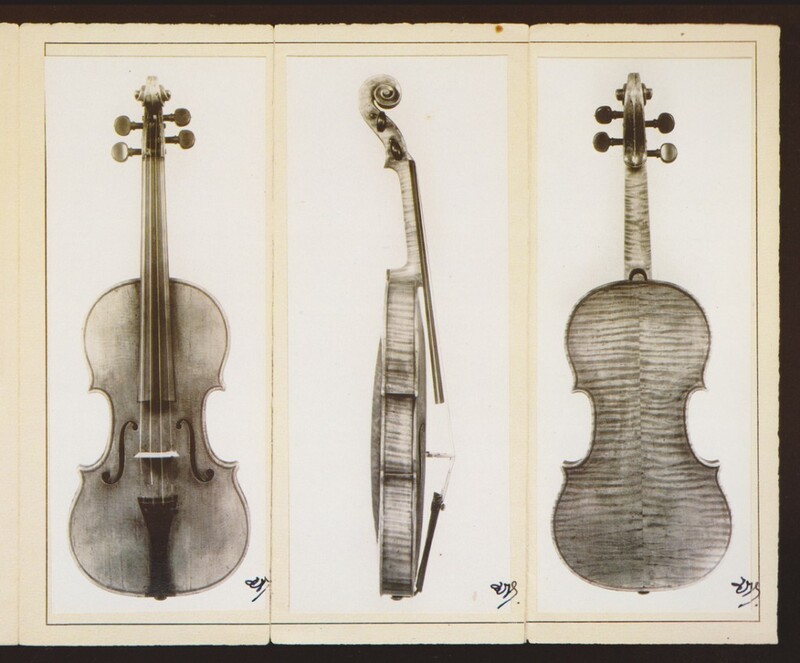 Throughout most of his professional career, he played on a cello that was labeled and attributed to “Carlo Tononi … 1733” but after he had been playing it for 50 years it was discovered to have been created by the Venetian luthier Matteo Goffriller around 1700. 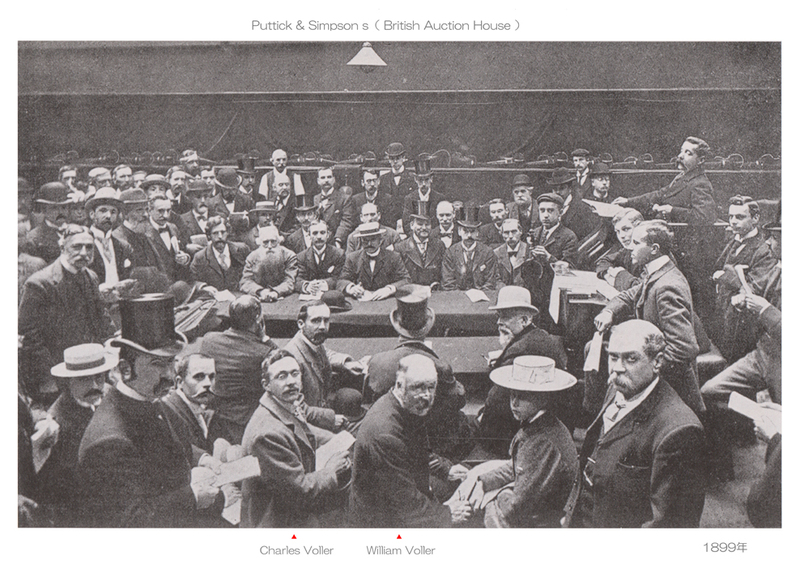 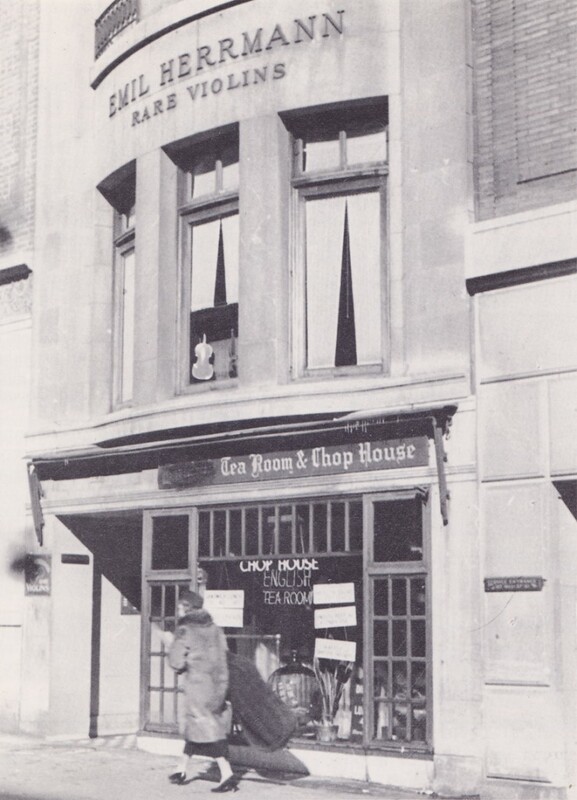 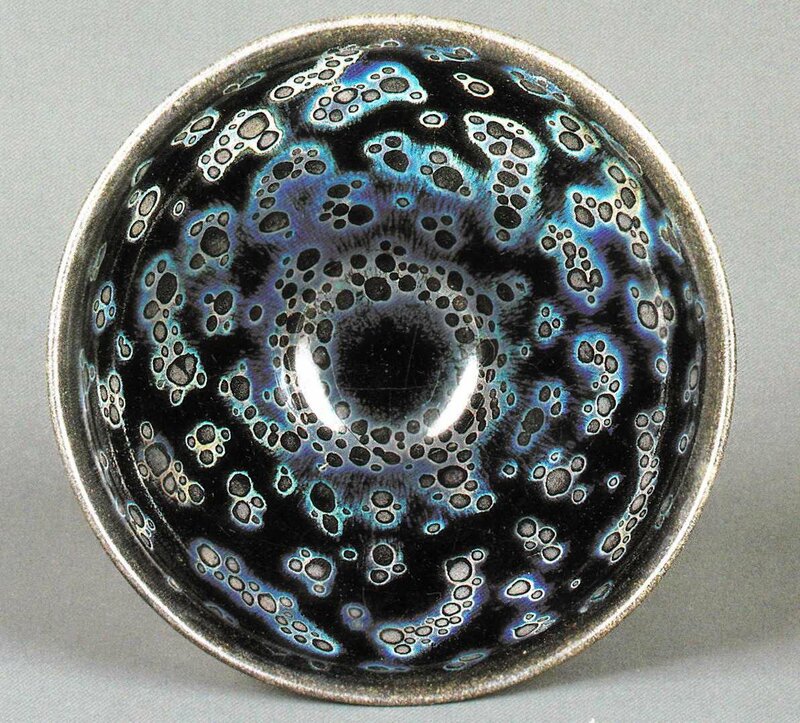 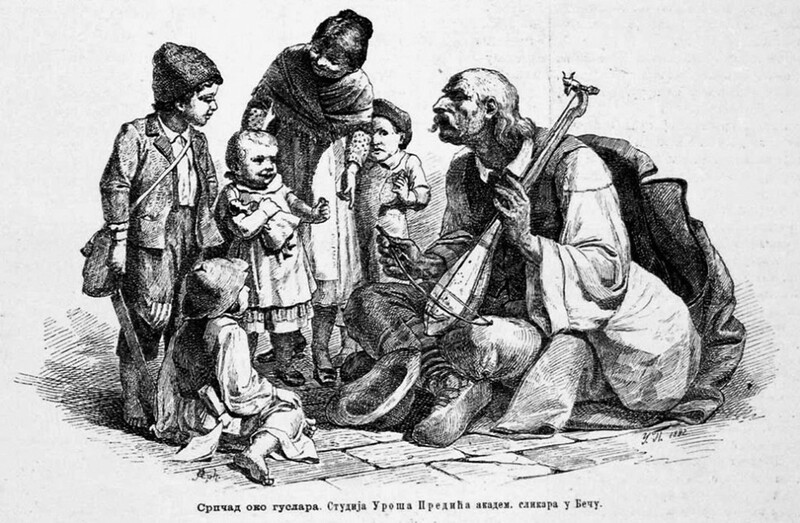 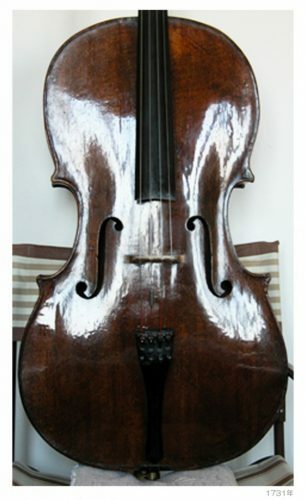 It was acquired by Casals in 1913. 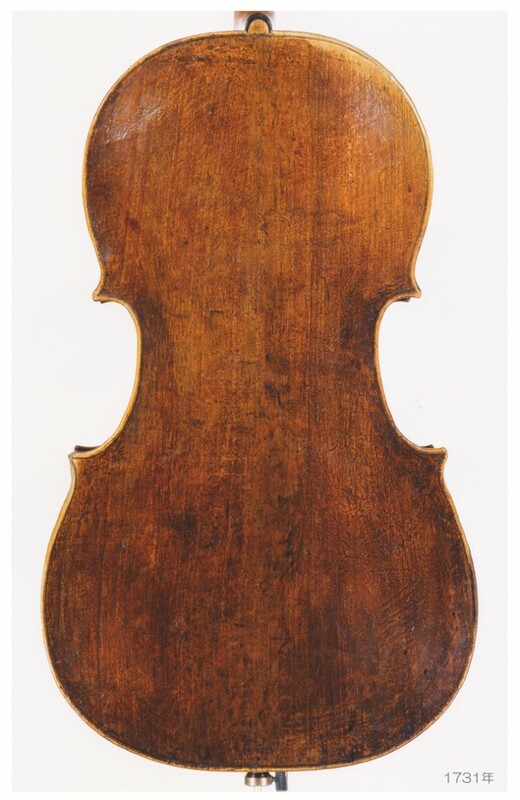 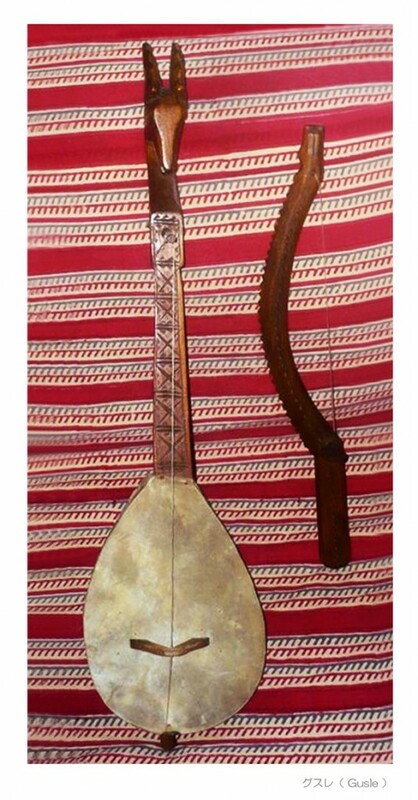 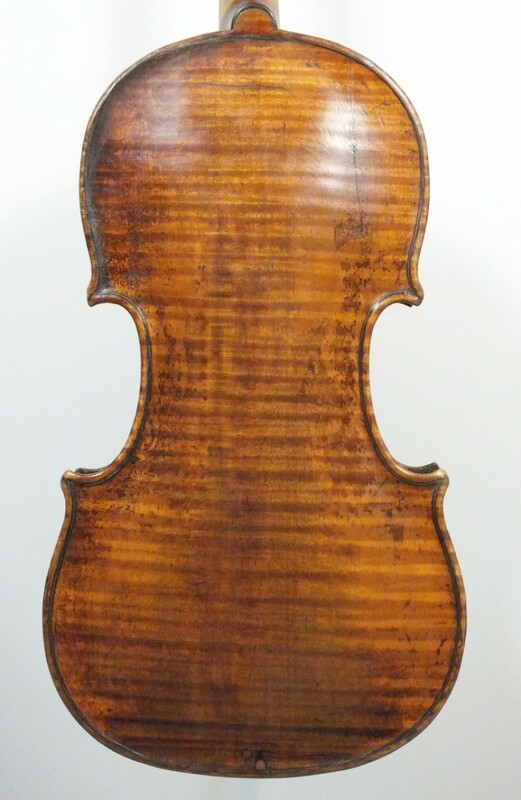 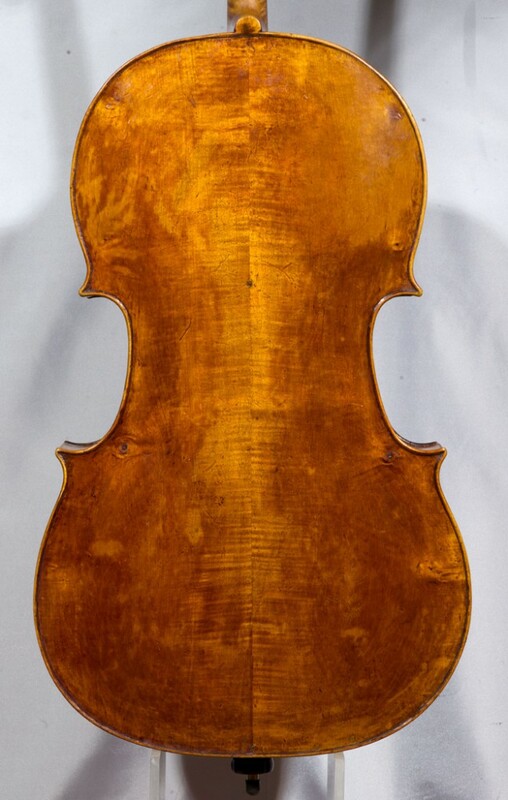 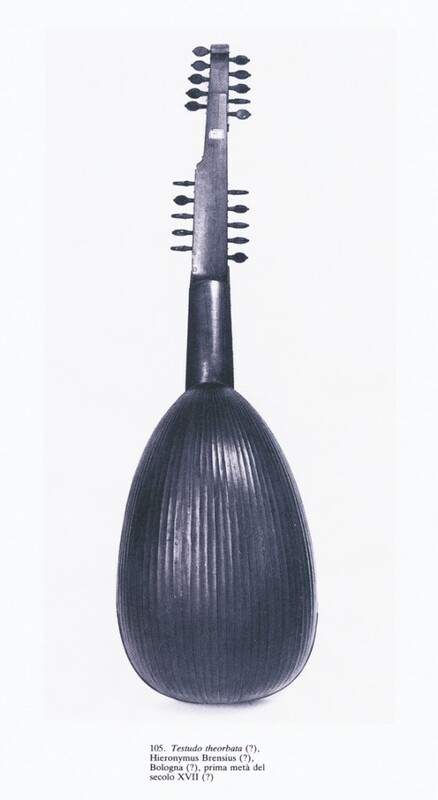 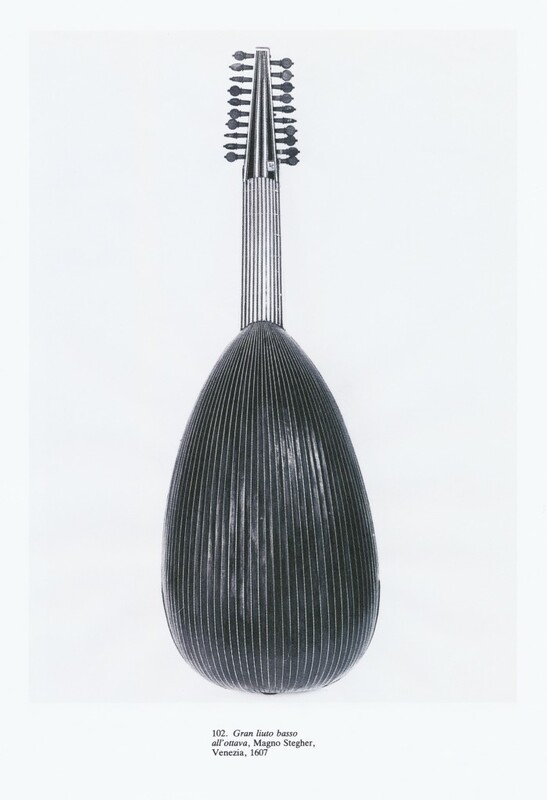 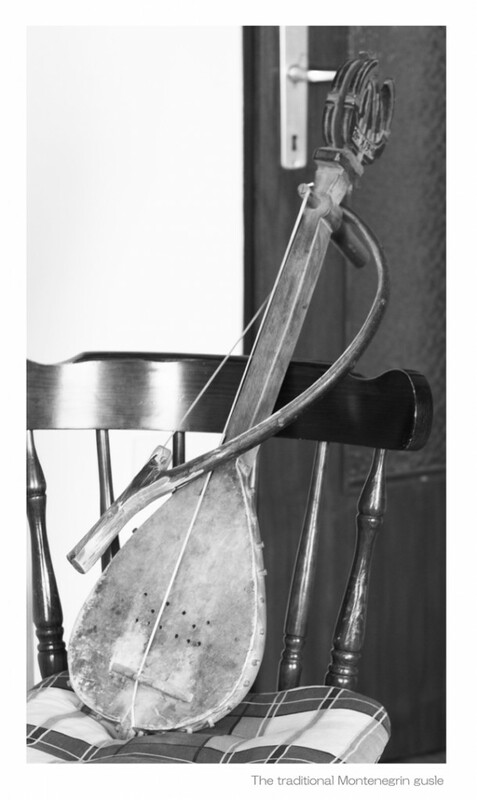 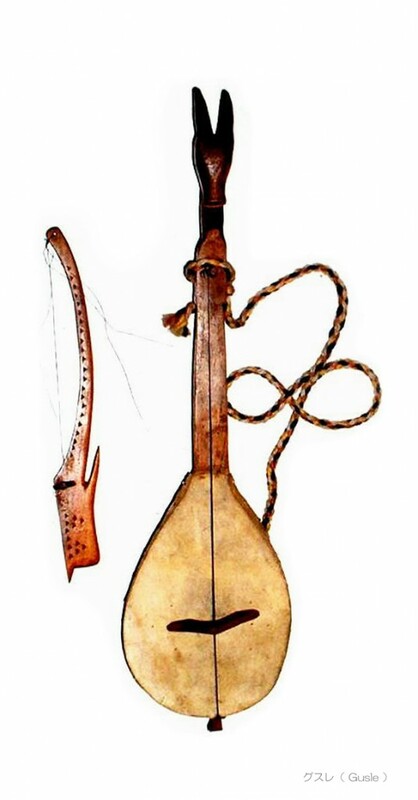 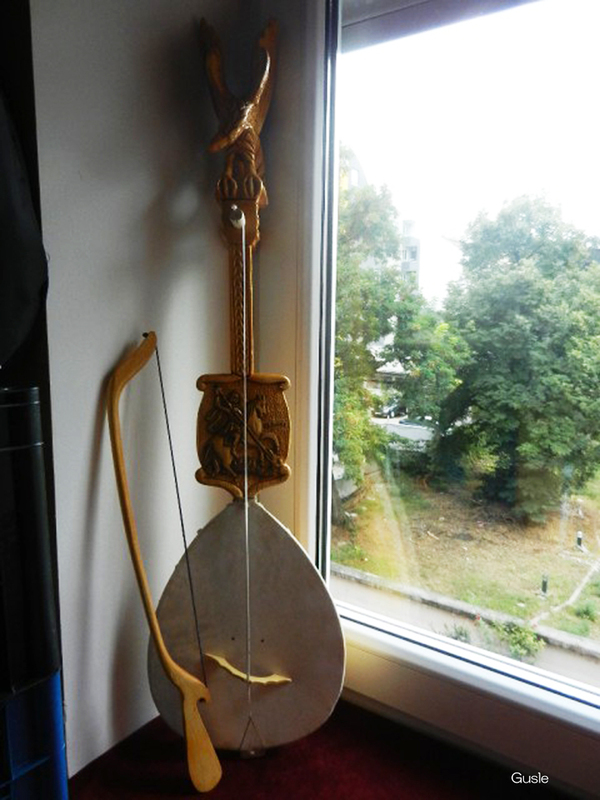 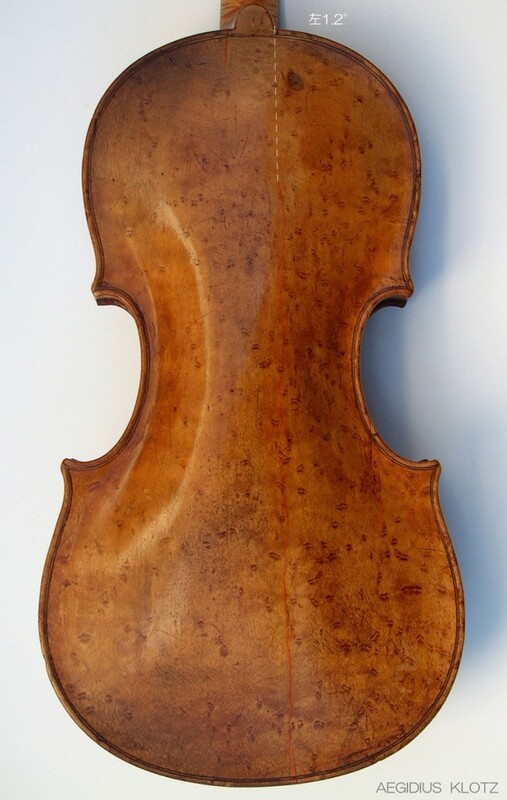 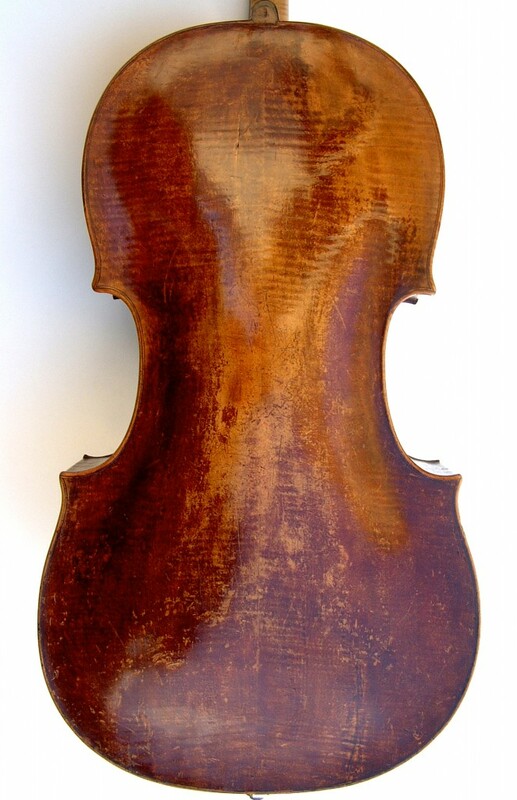 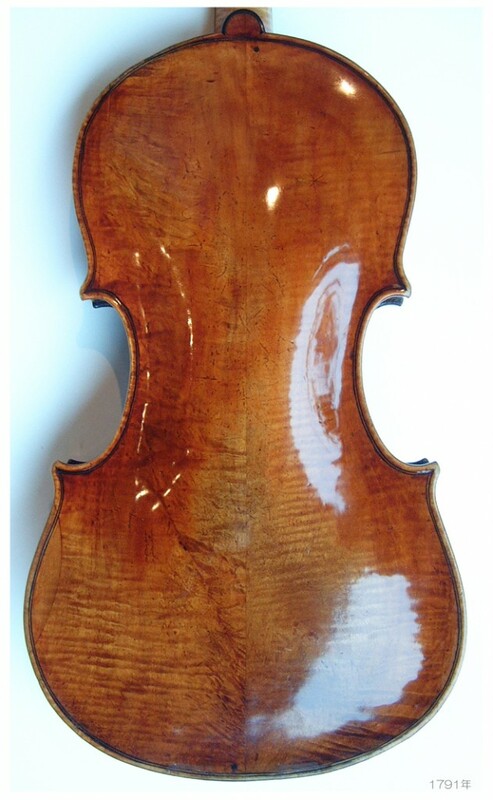 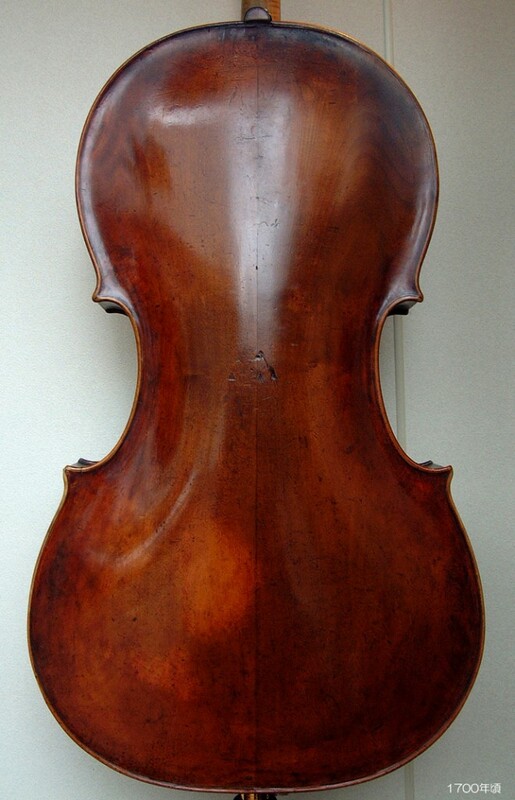 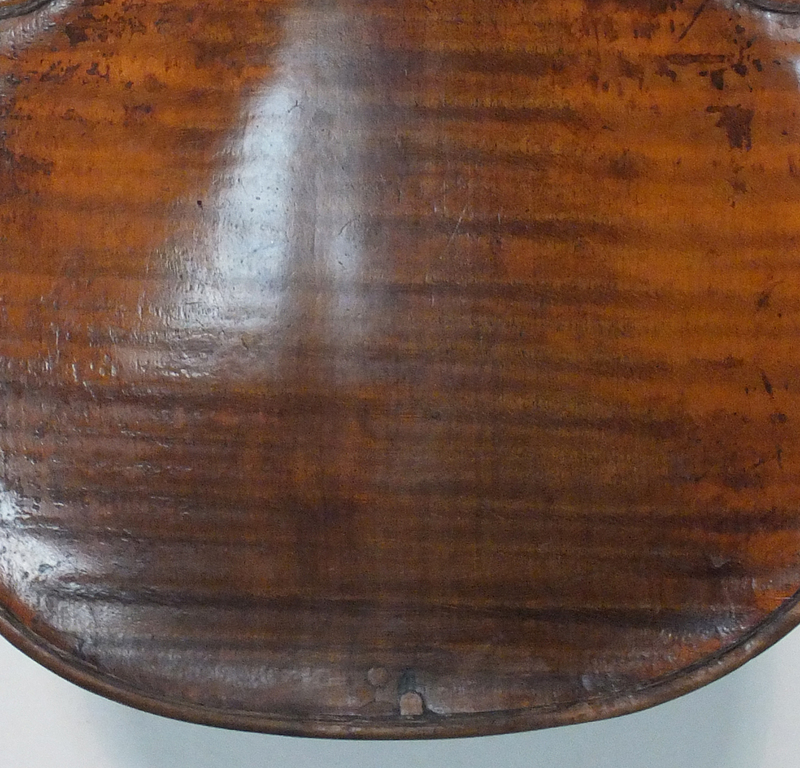 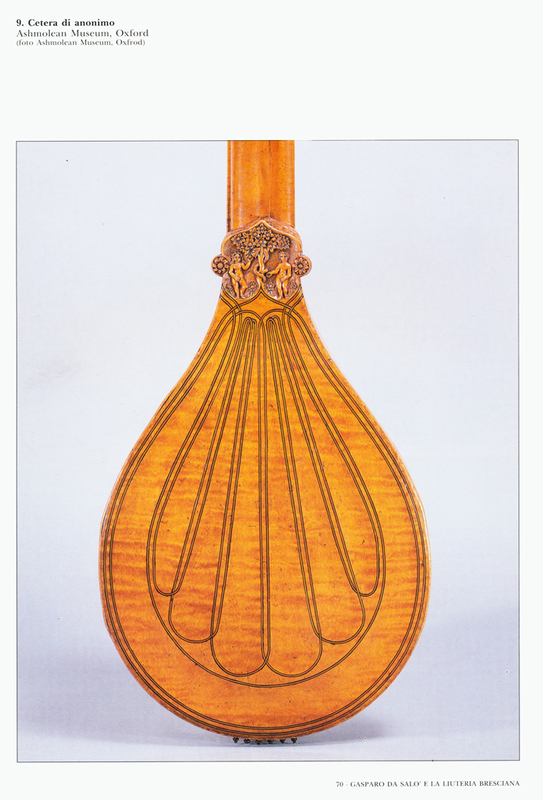 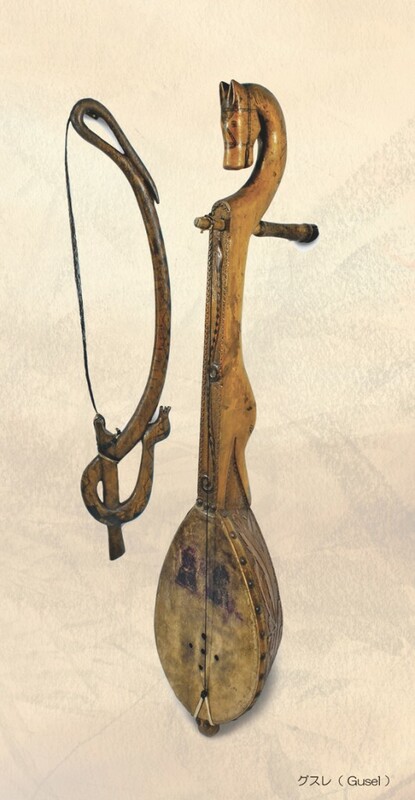 He also played another cello by Goffriller dated 1710, and a Tononi from 1730. 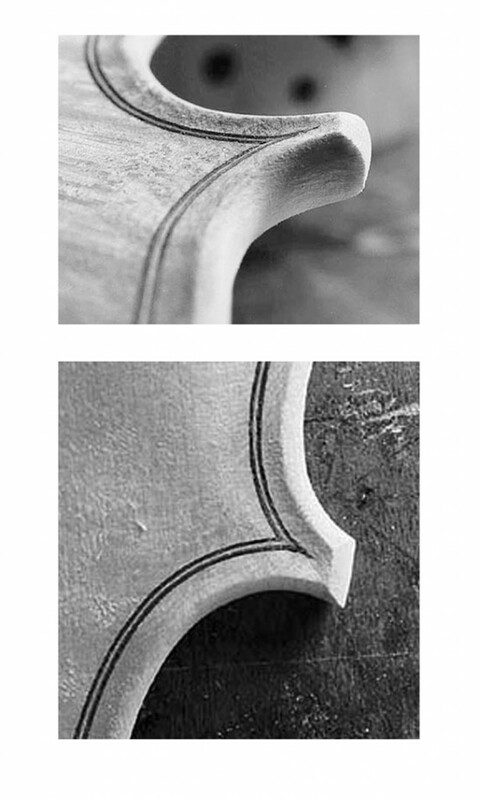 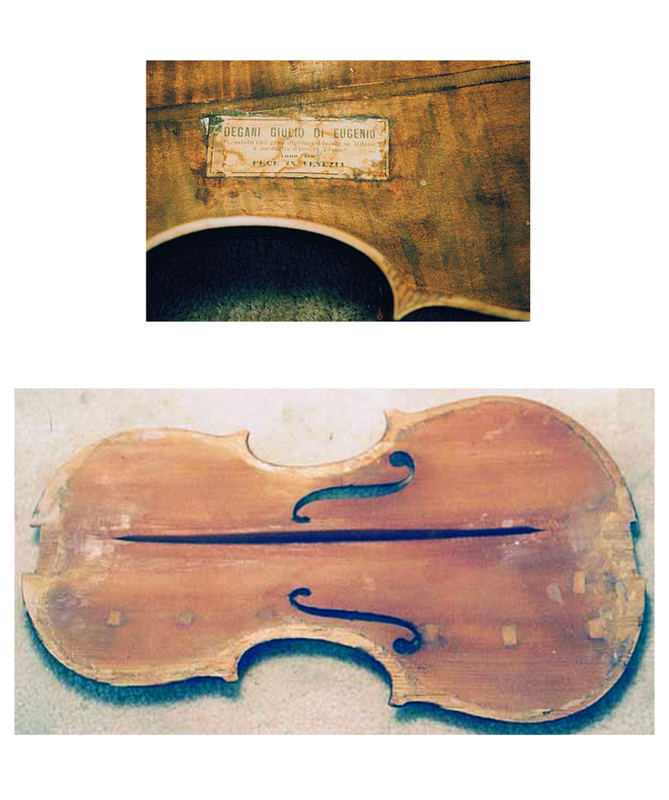 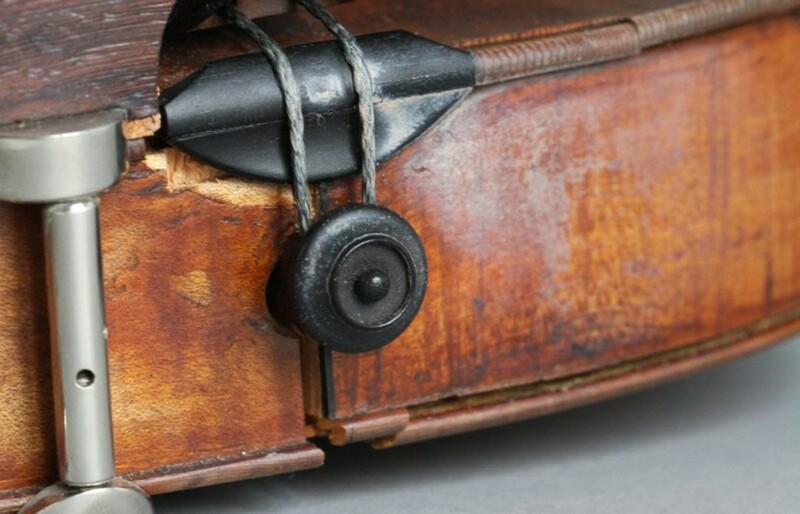 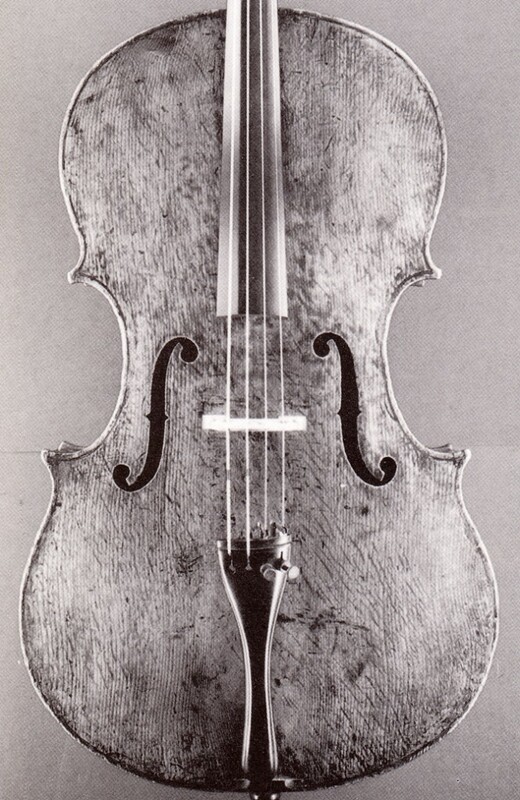 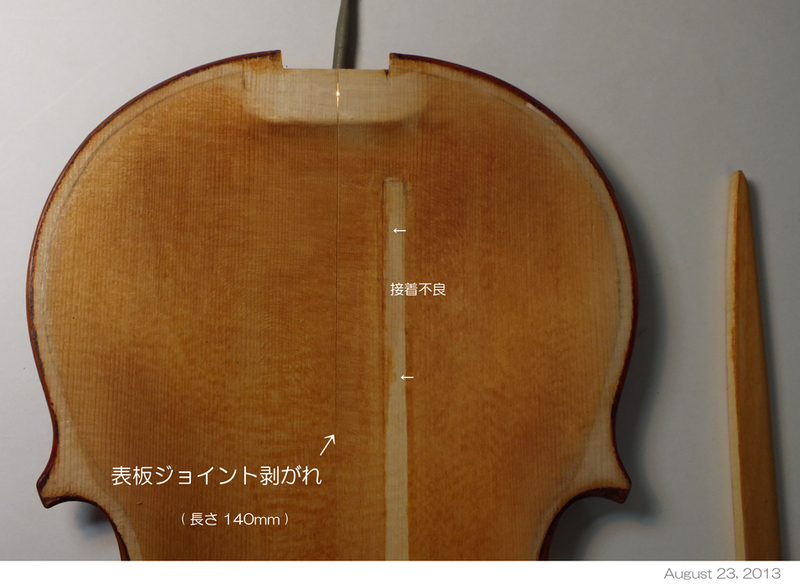 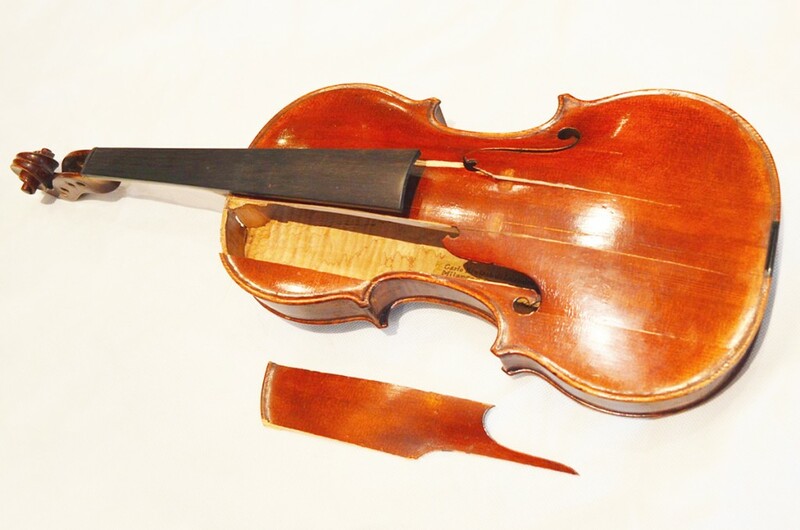 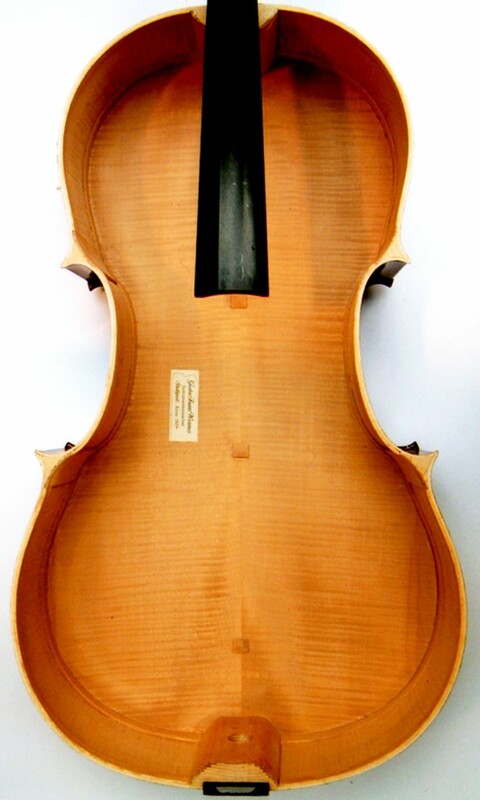 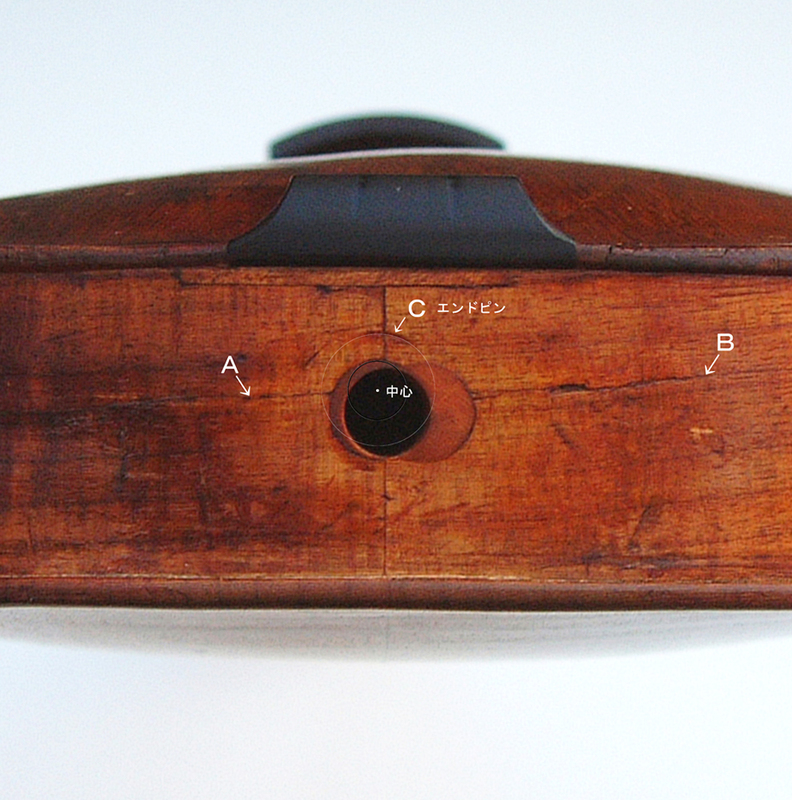 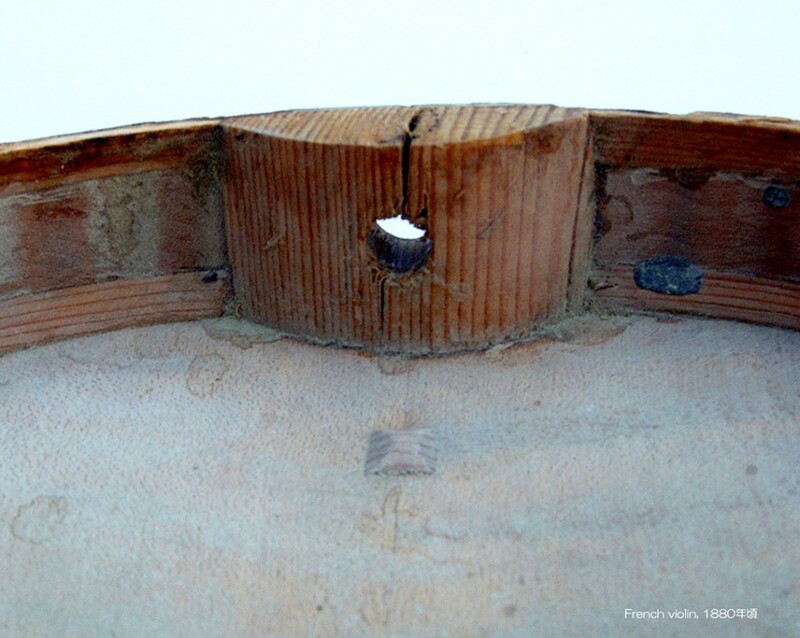 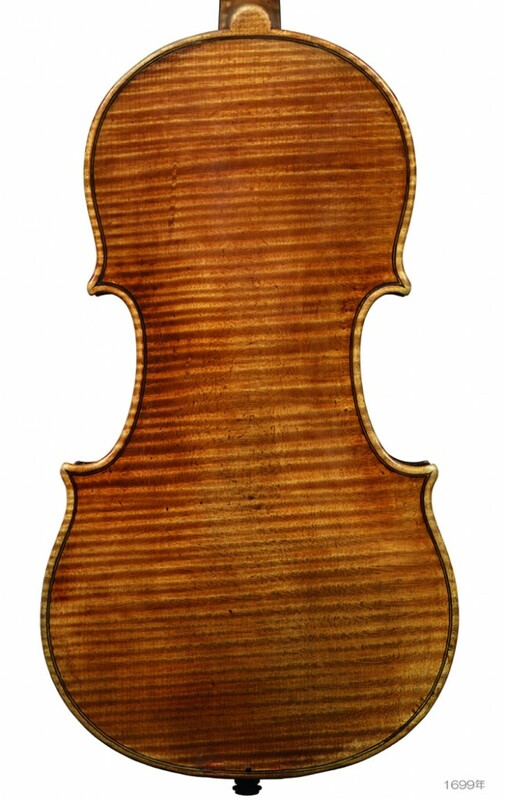 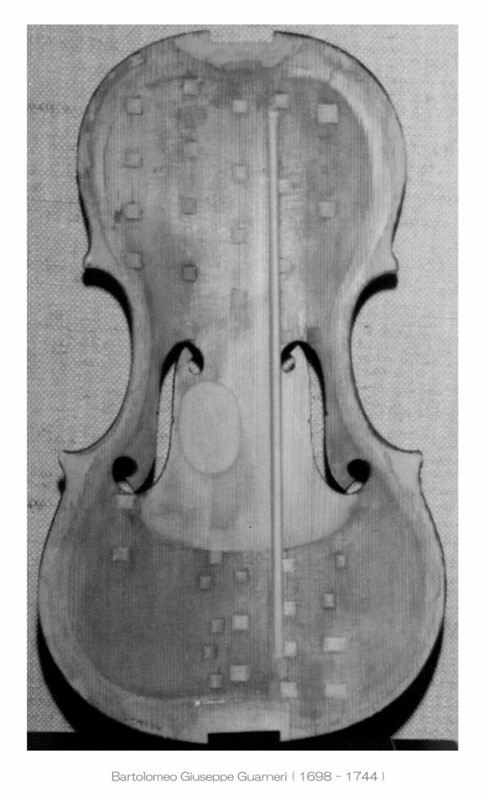 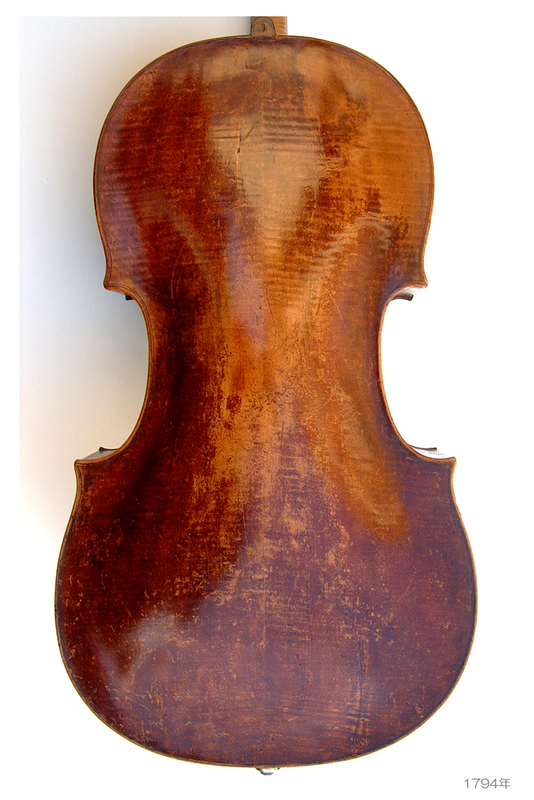 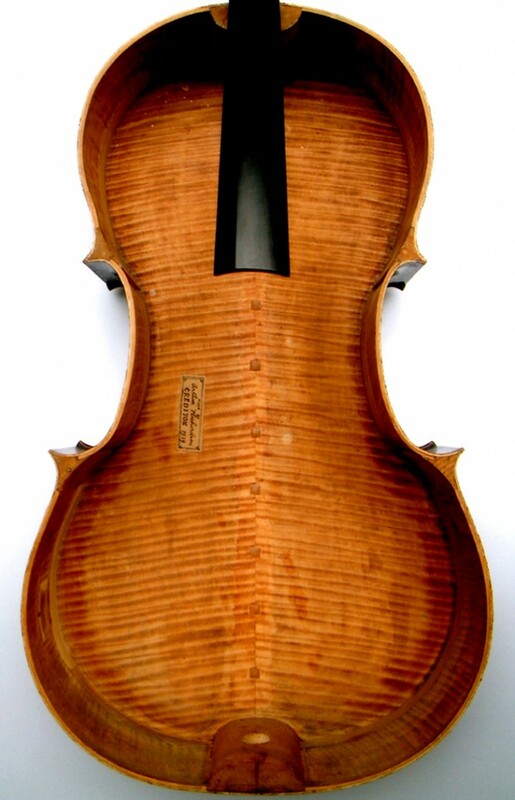 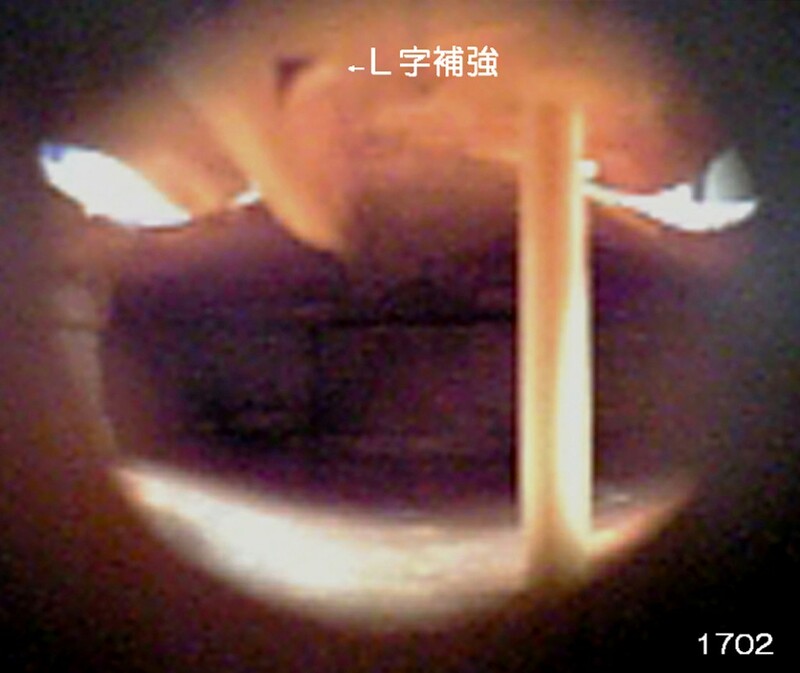 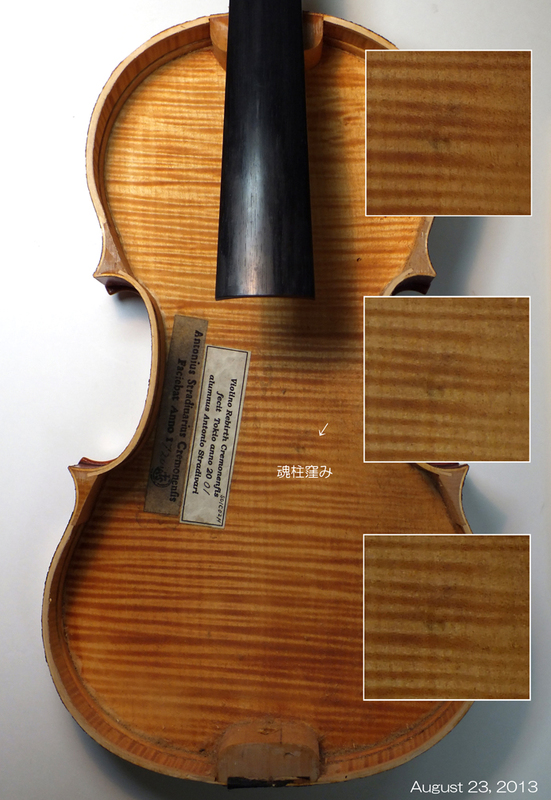 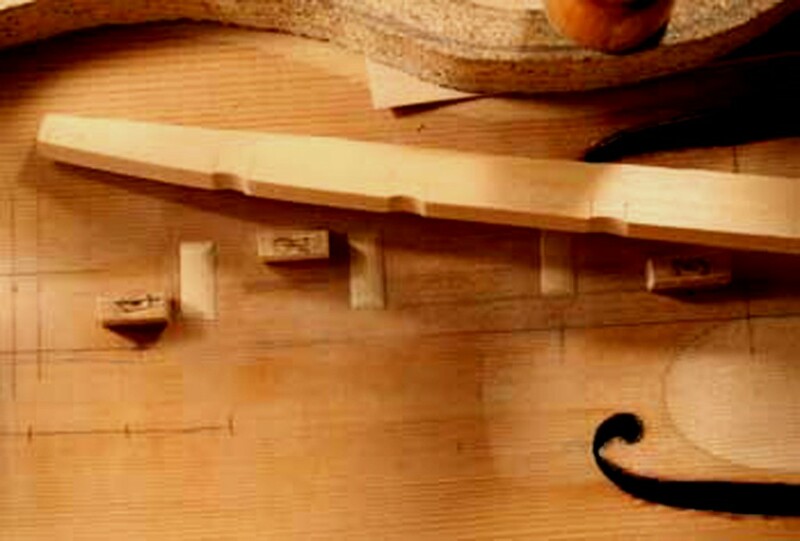 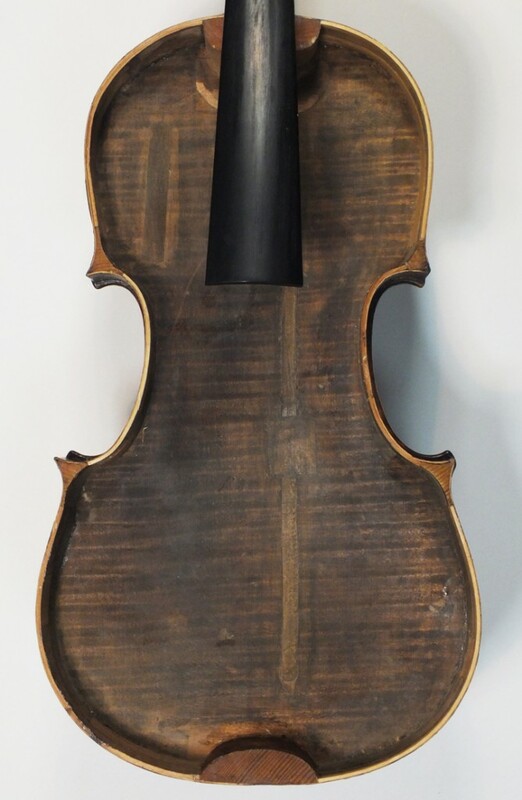 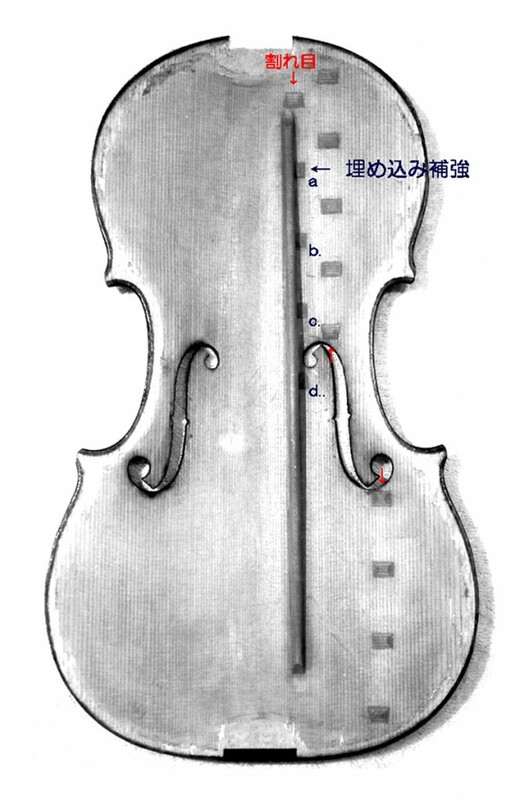 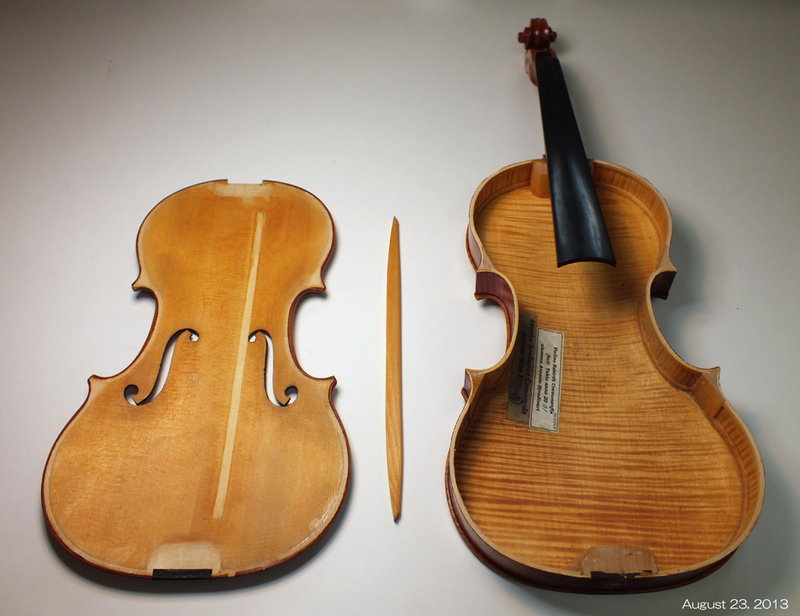 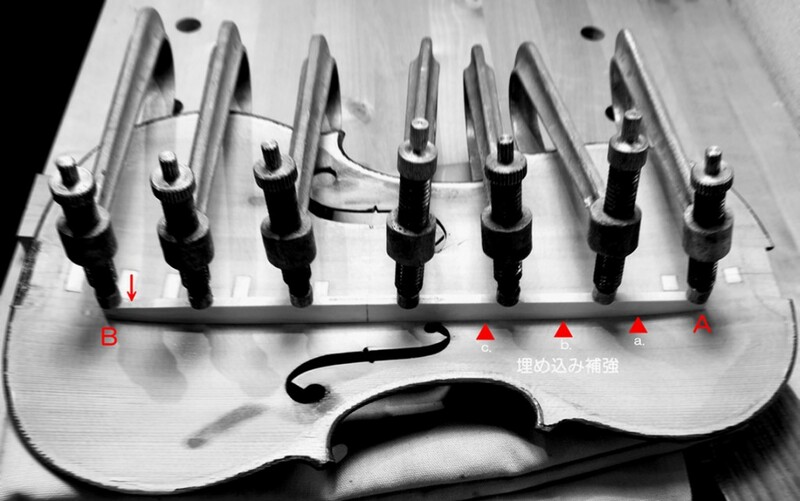 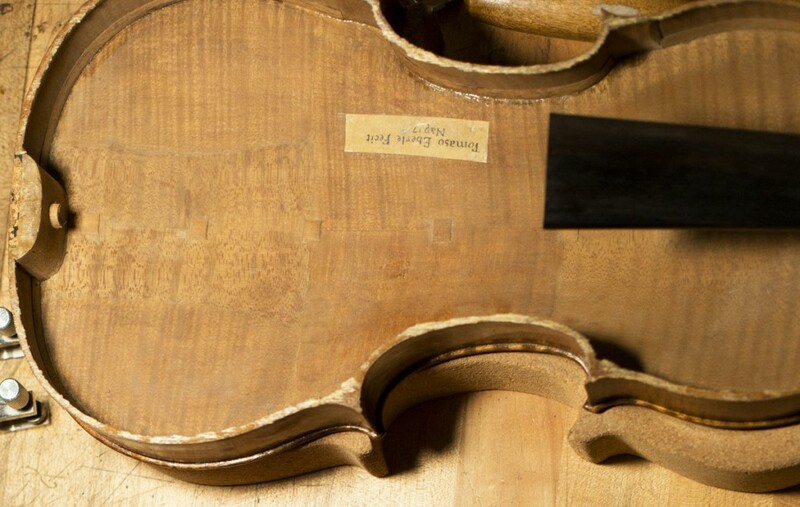 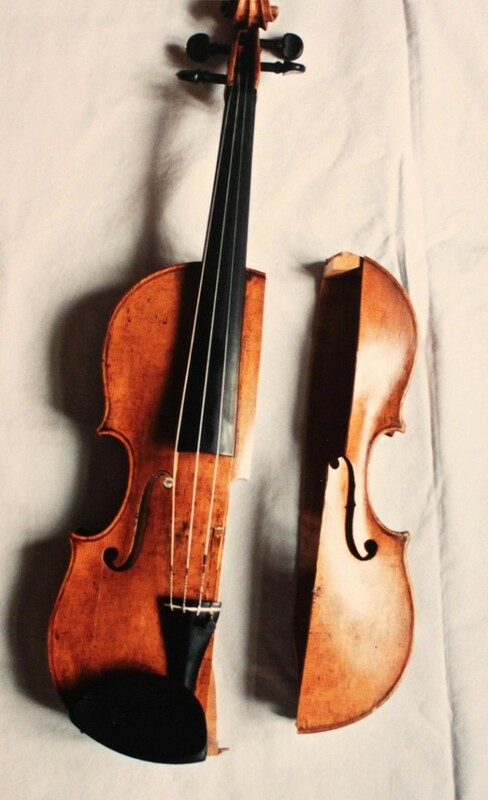 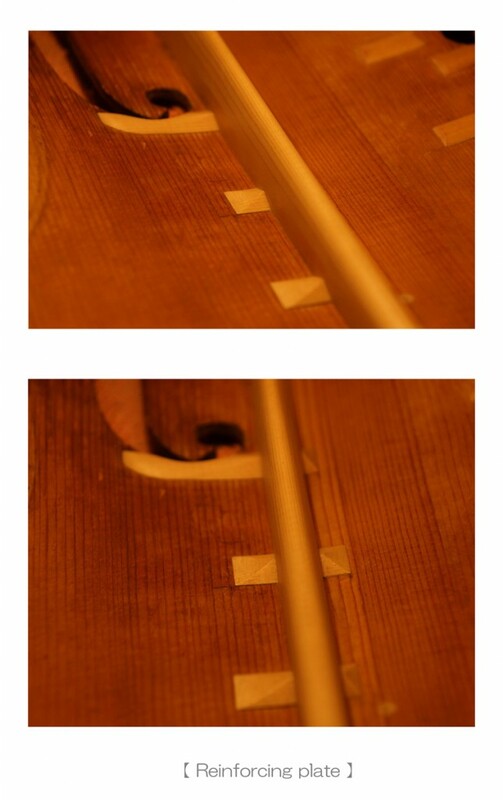 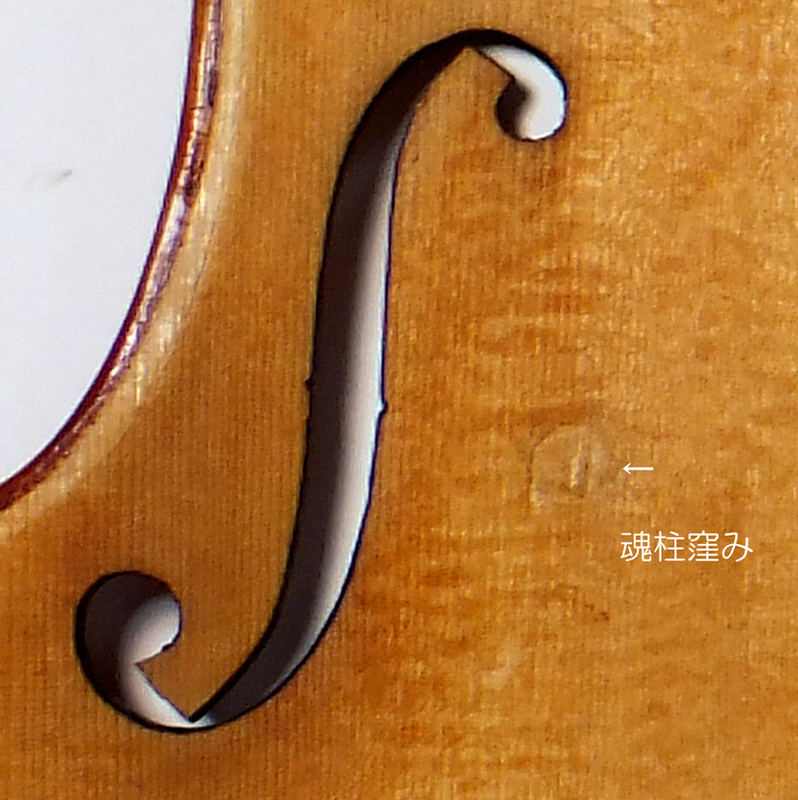 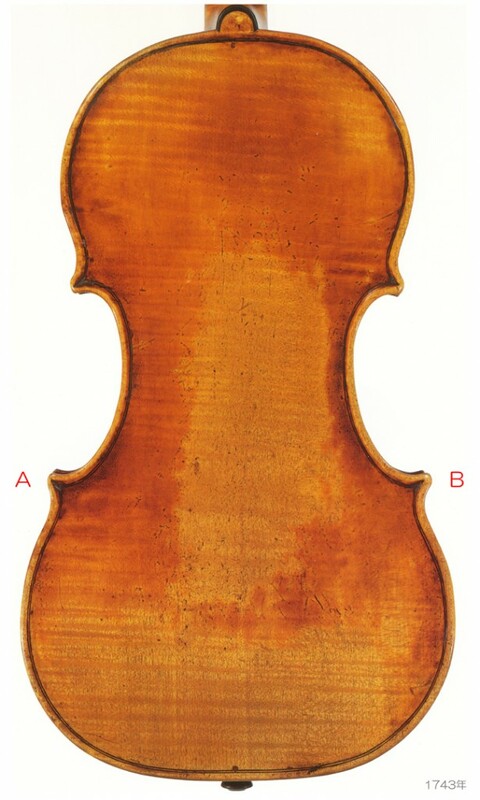 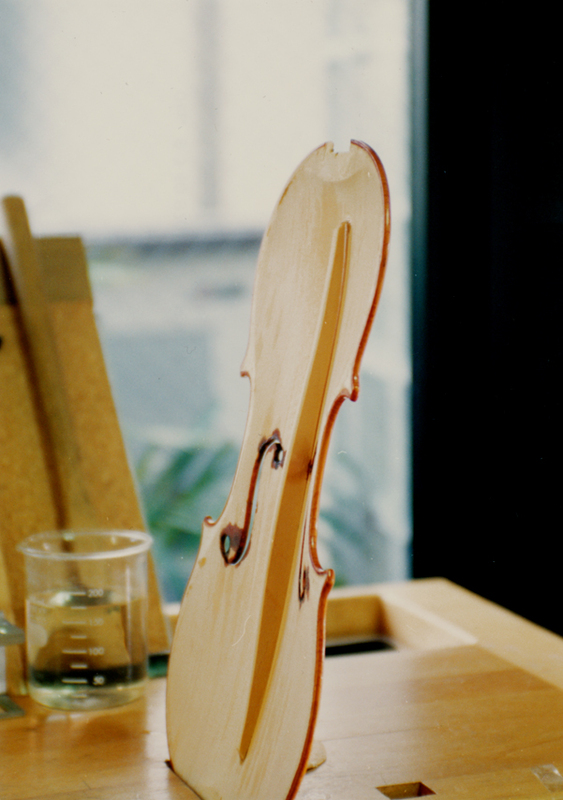 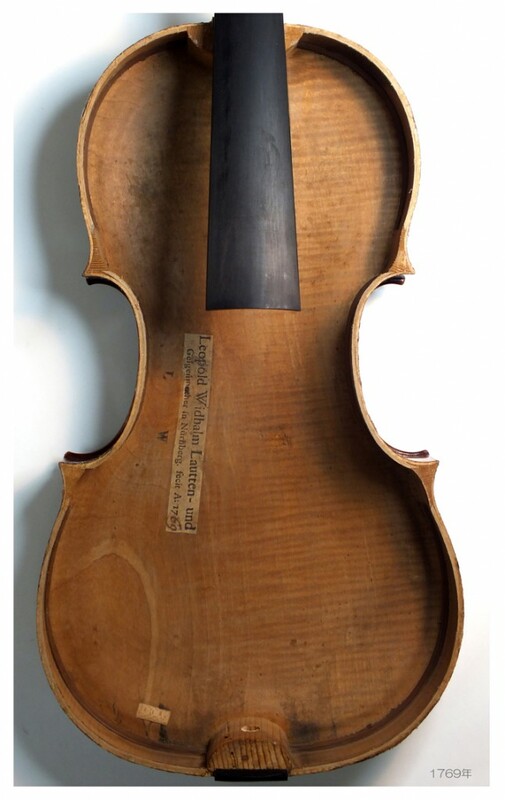 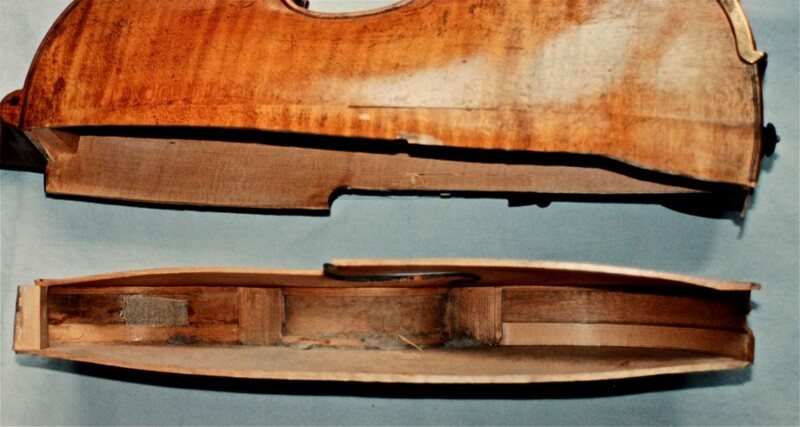 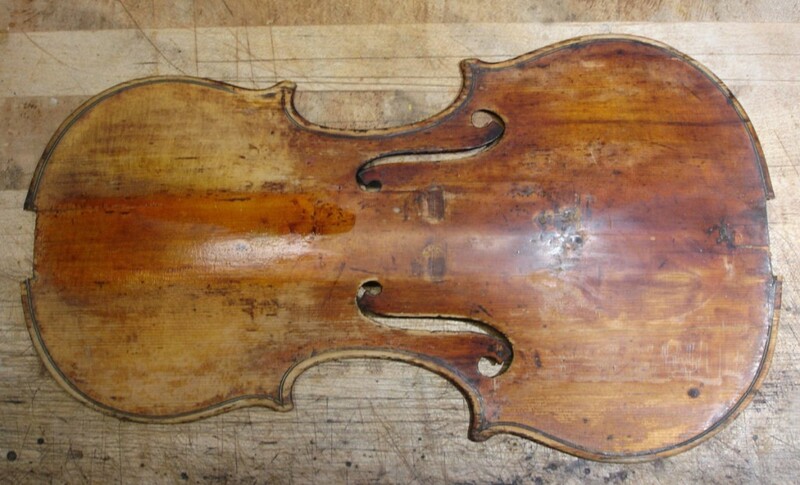 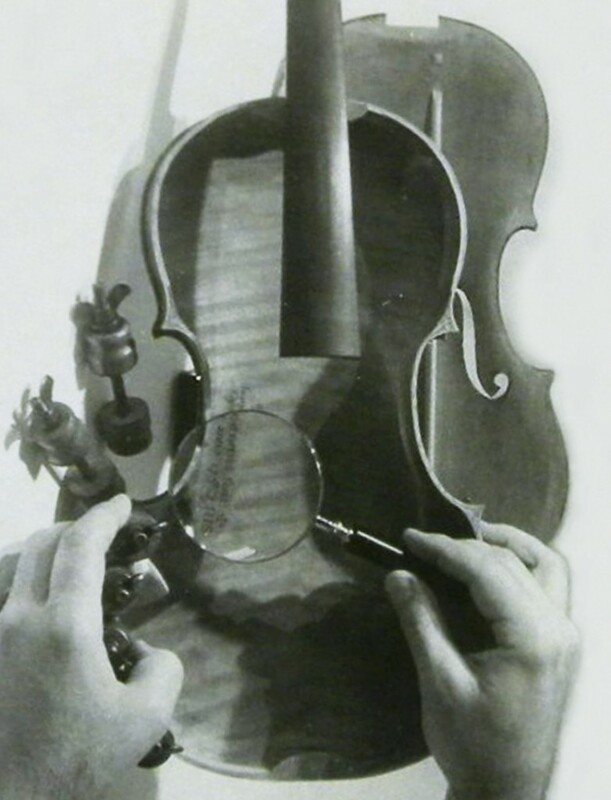 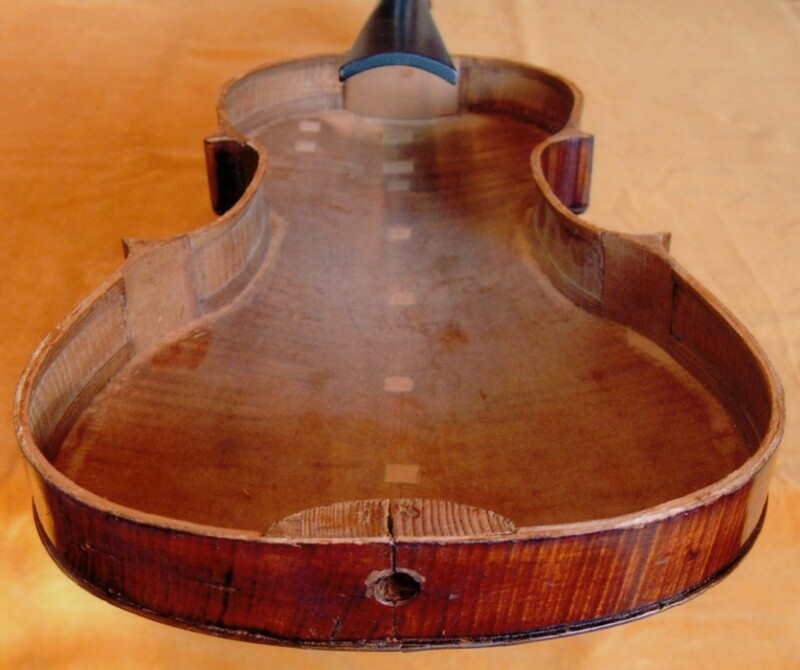 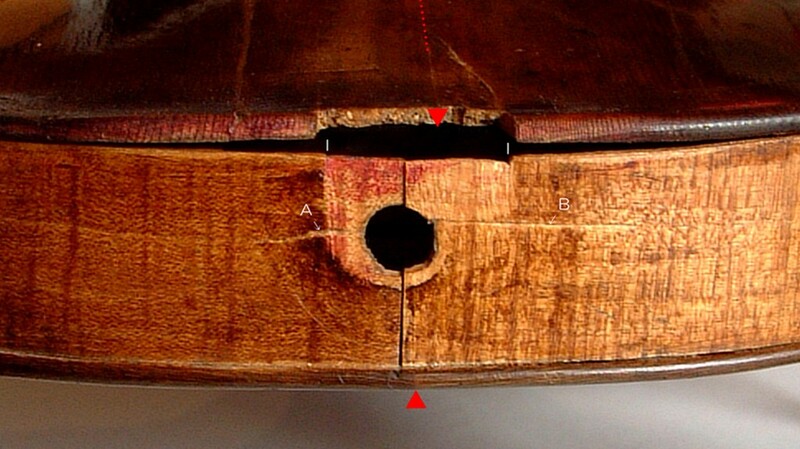 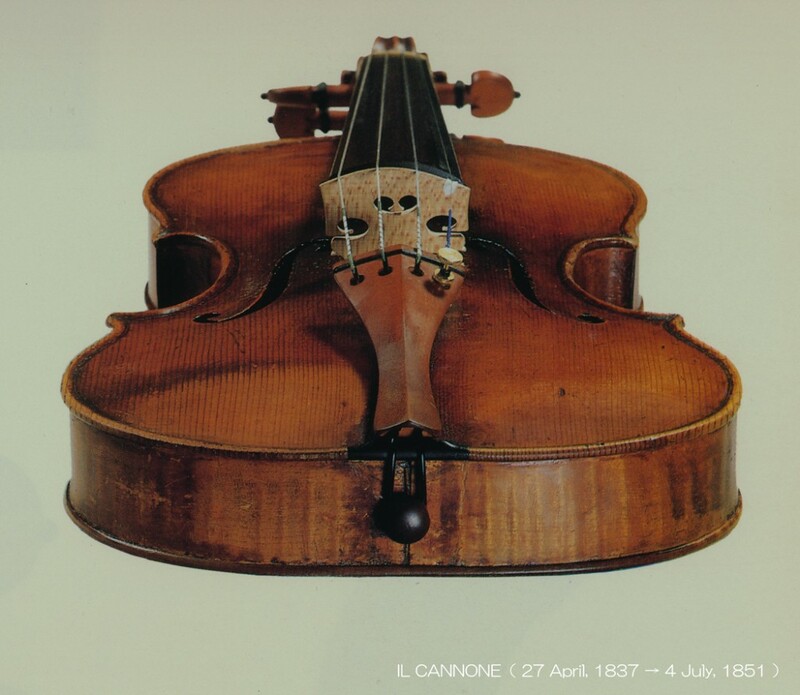 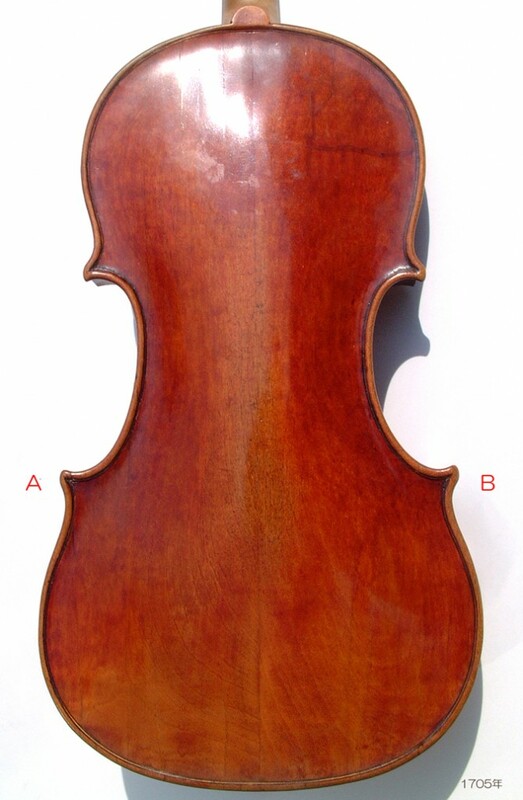 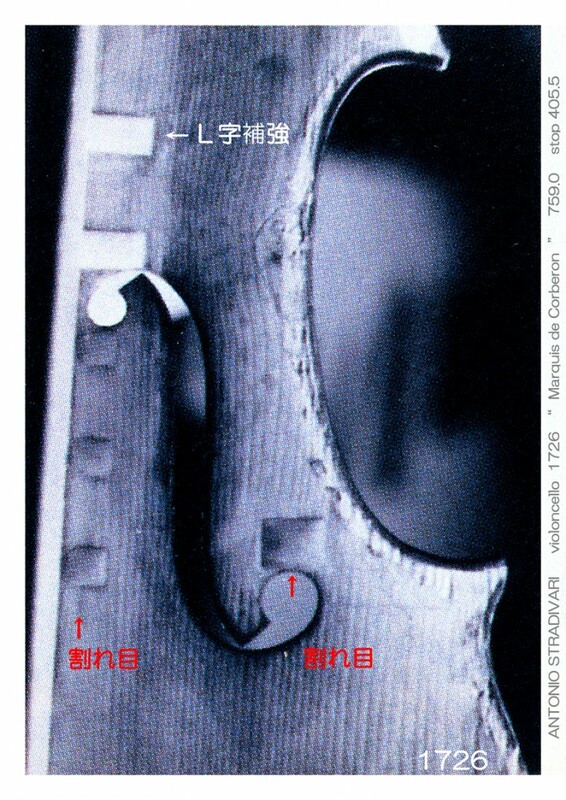 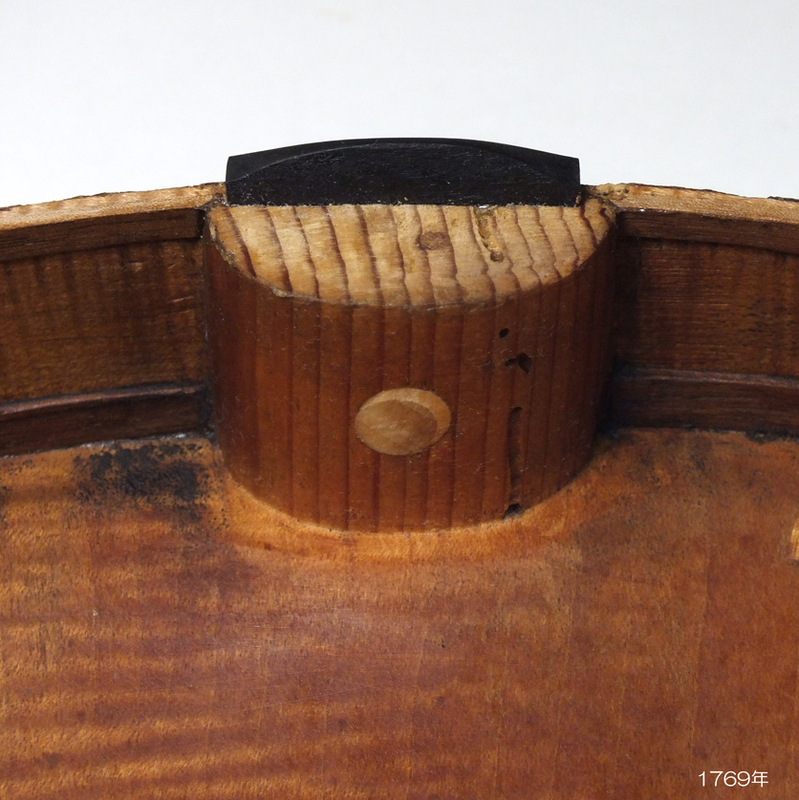 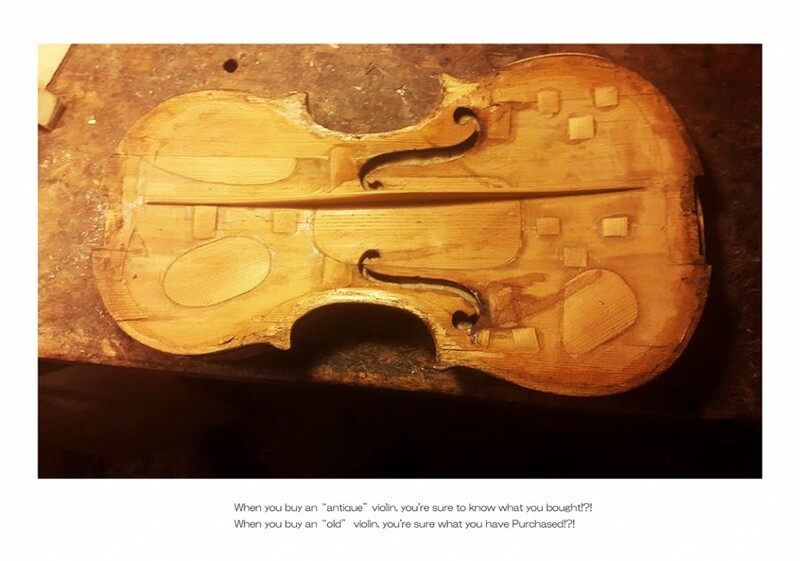 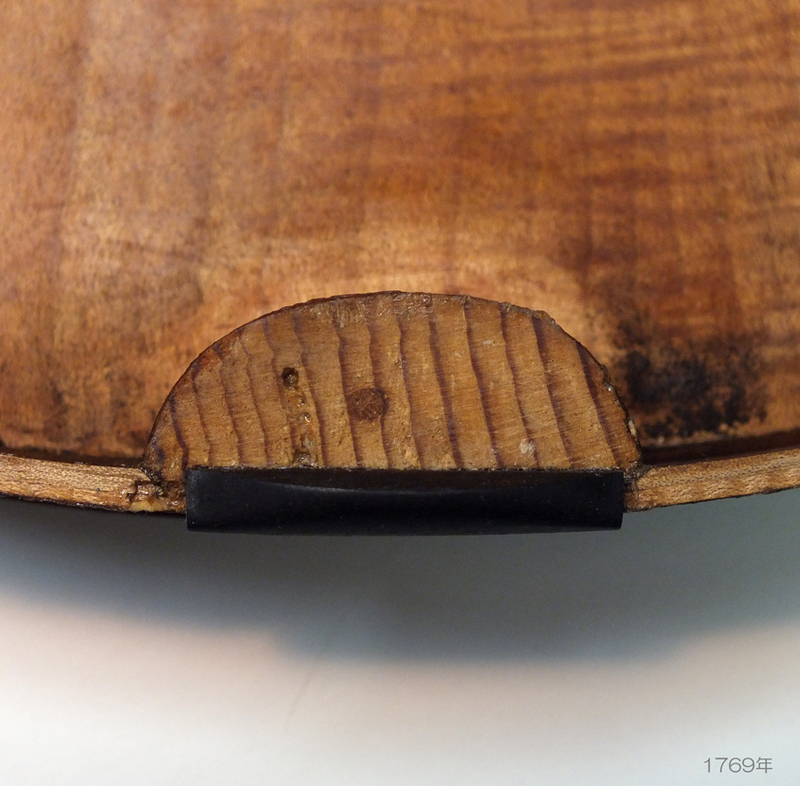 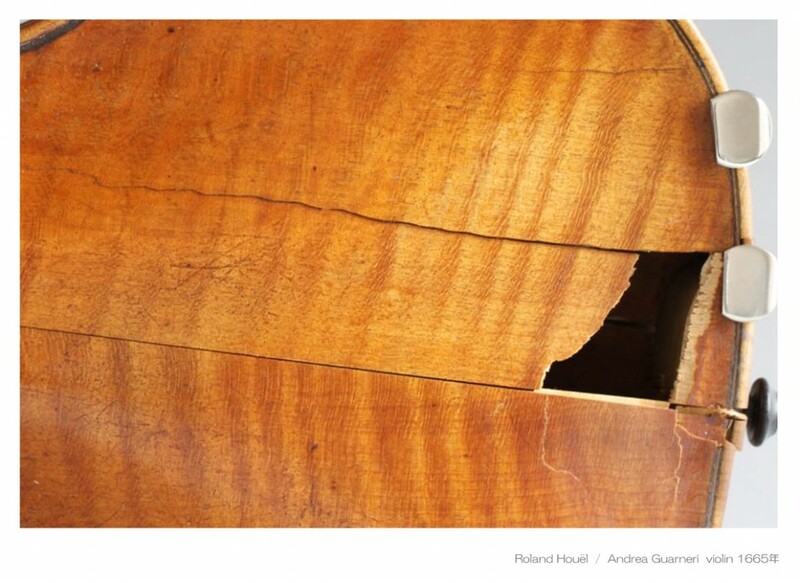 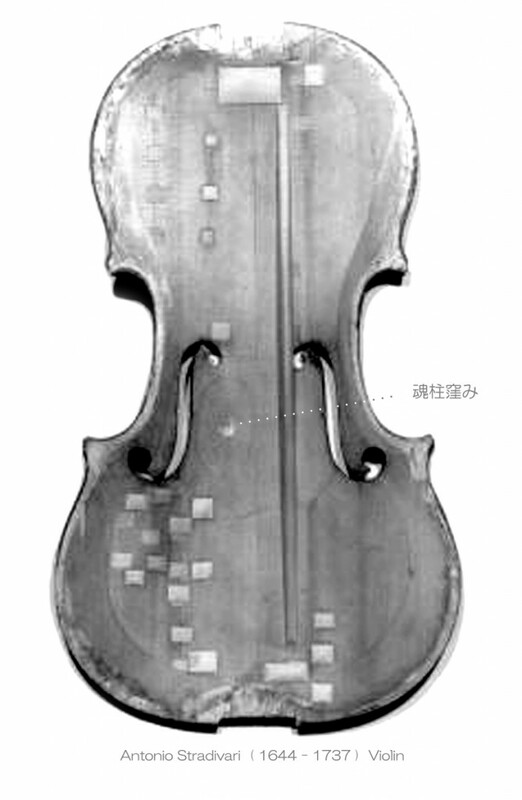 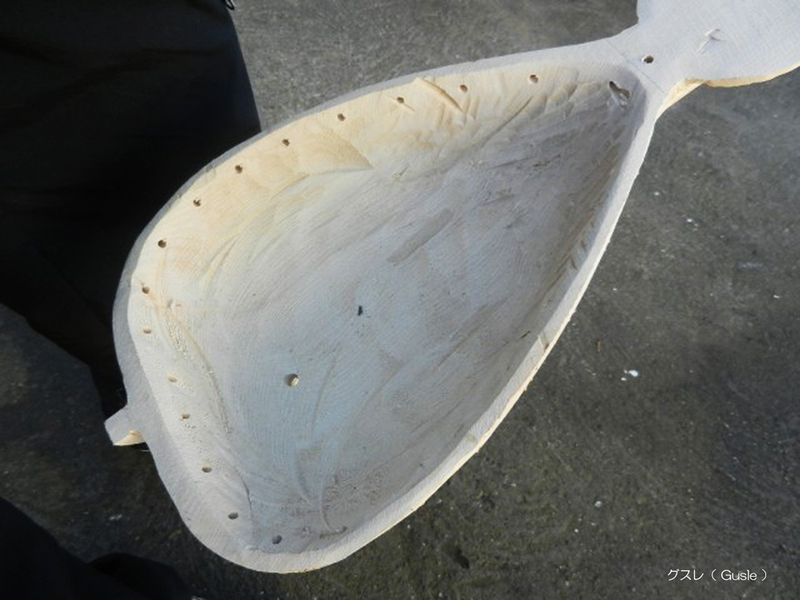 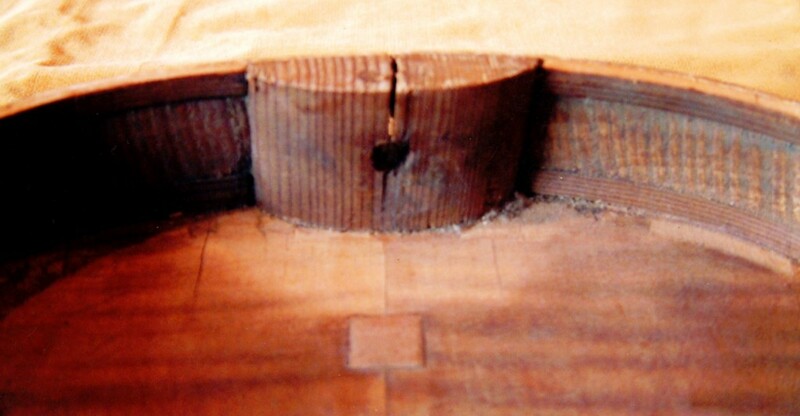 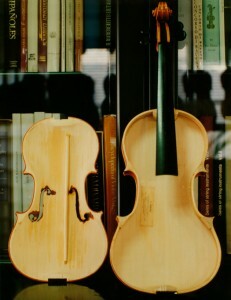 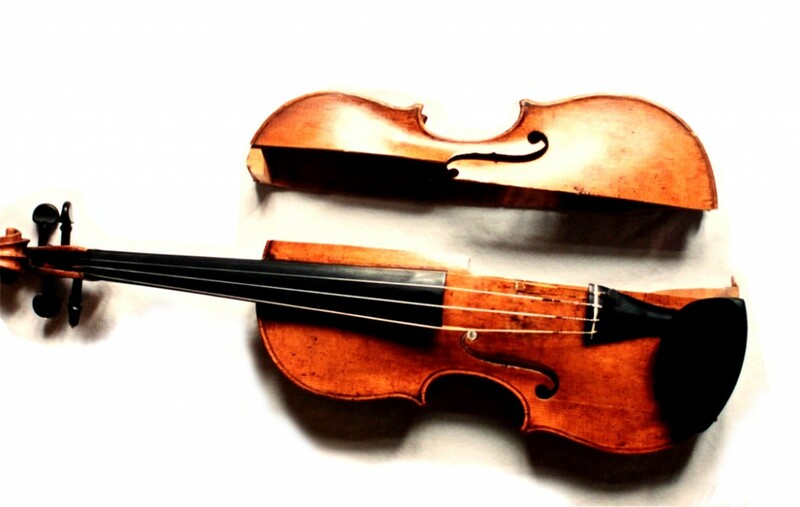 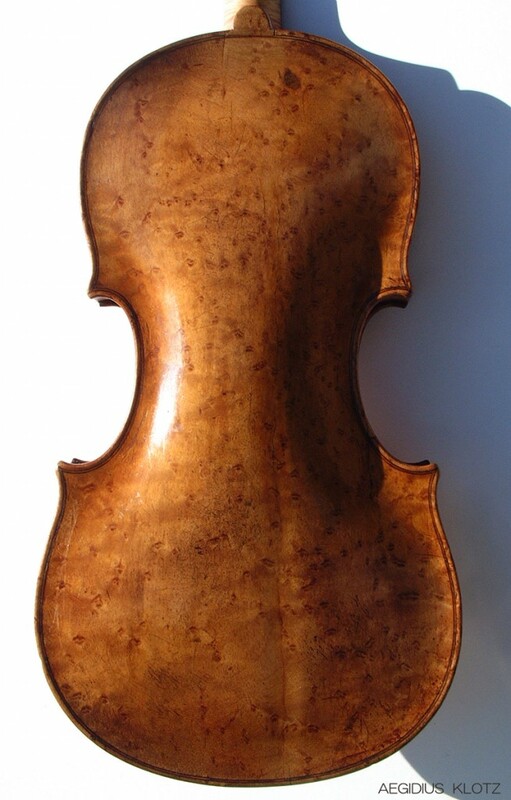 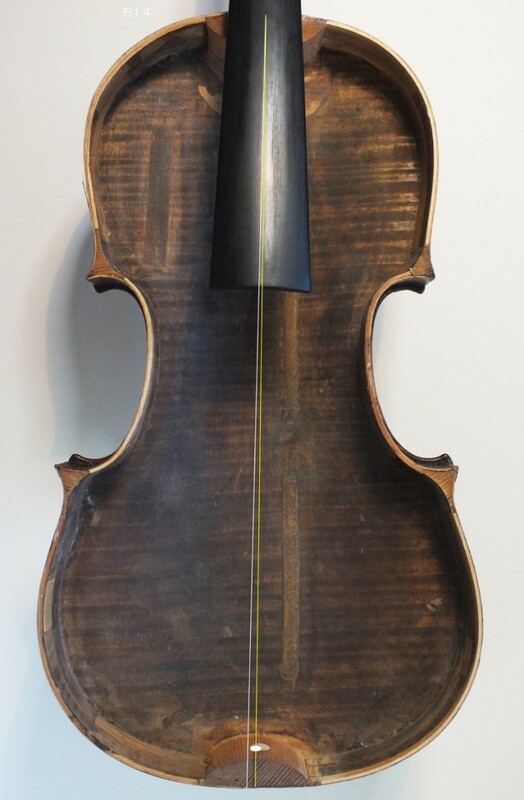 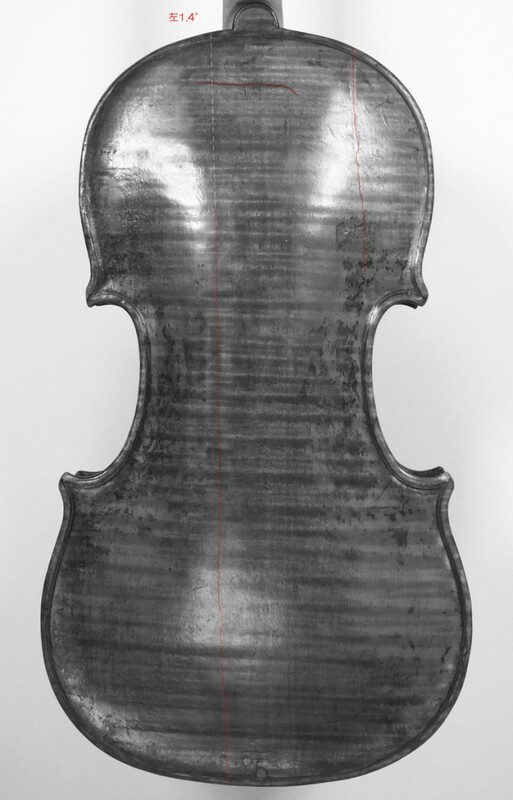 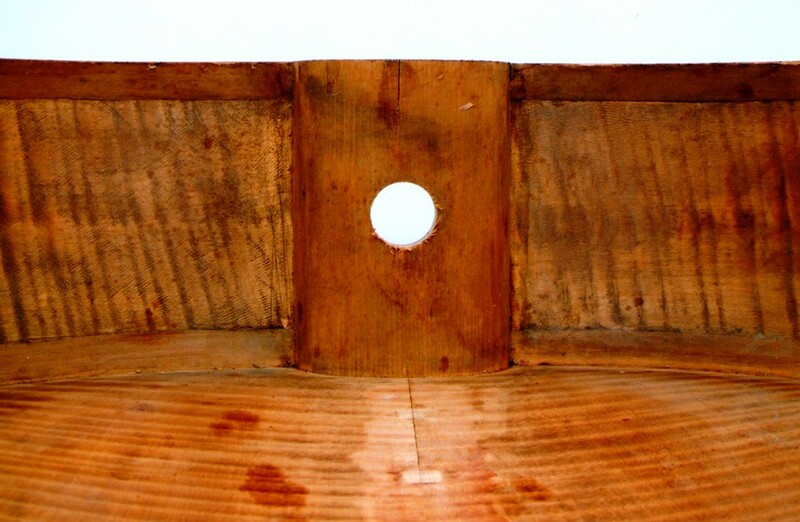 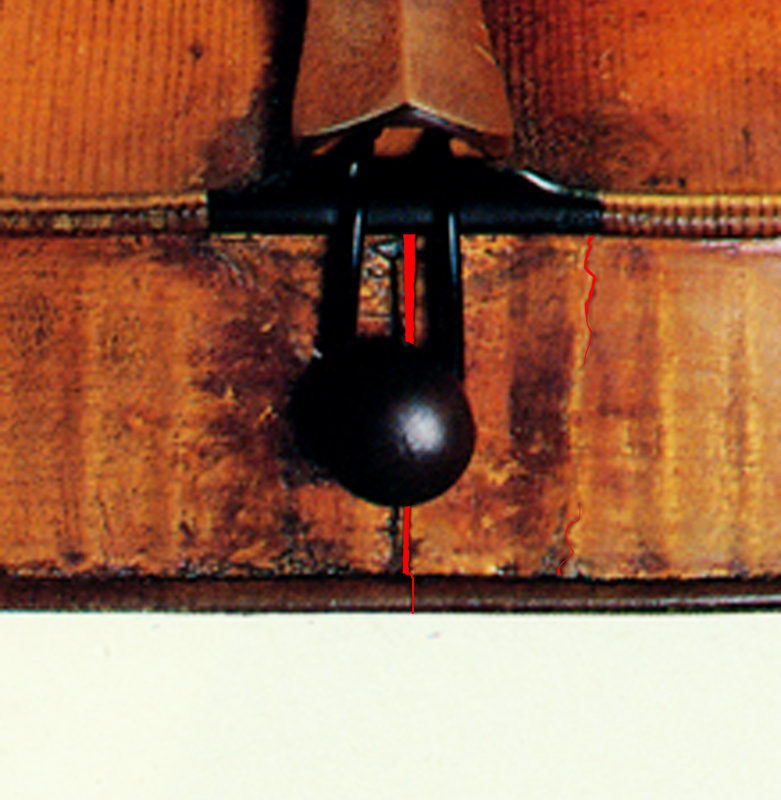 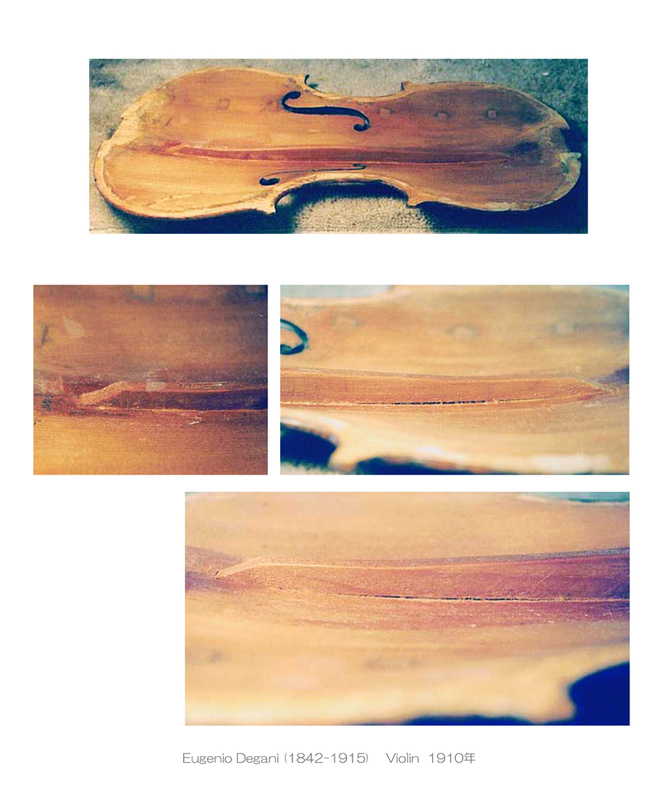 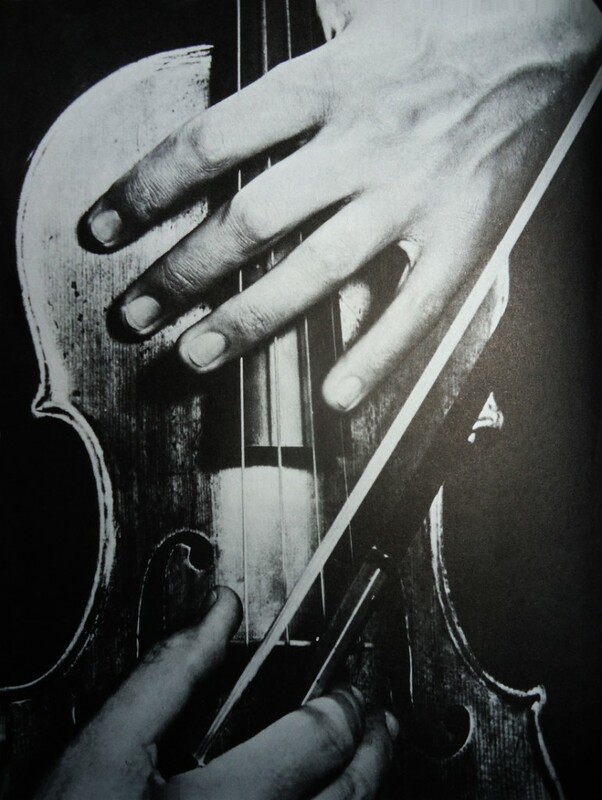 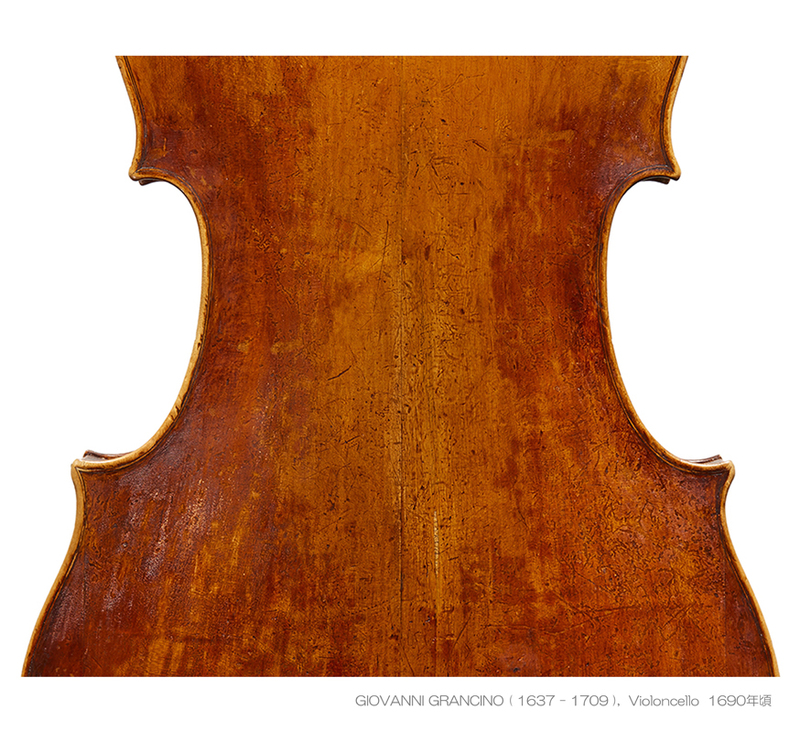 It is a violin “Il Cannone” which broke the block and cracked the side plate.